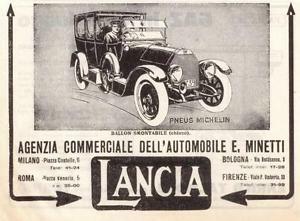 Lancia (Italian pronunciation: [ˈlantʃa]) is an Italian automobile manufacturer founded in 1906 by Vincenzo Lancia as Lancia & C.. 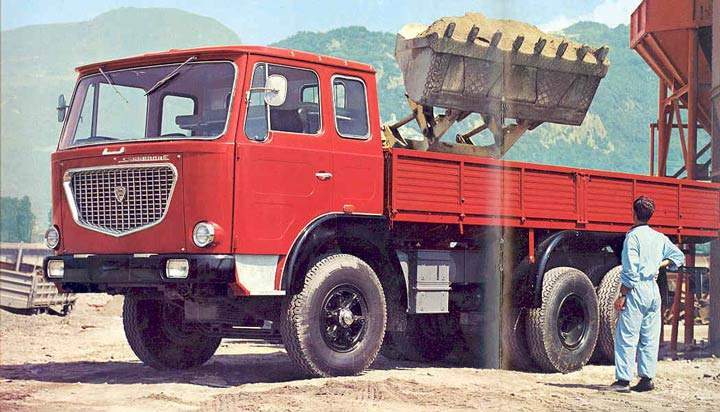 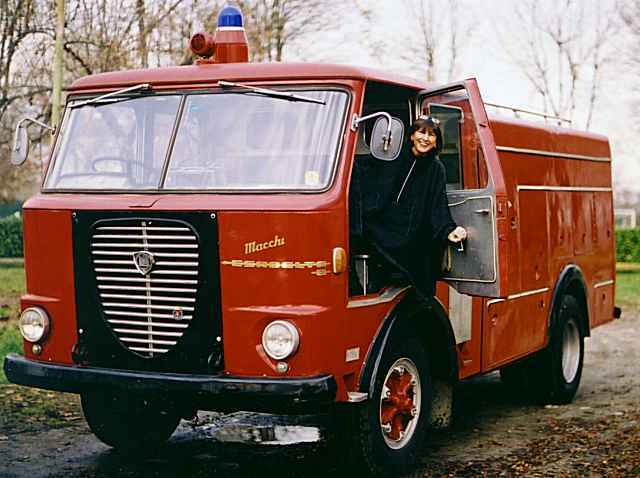 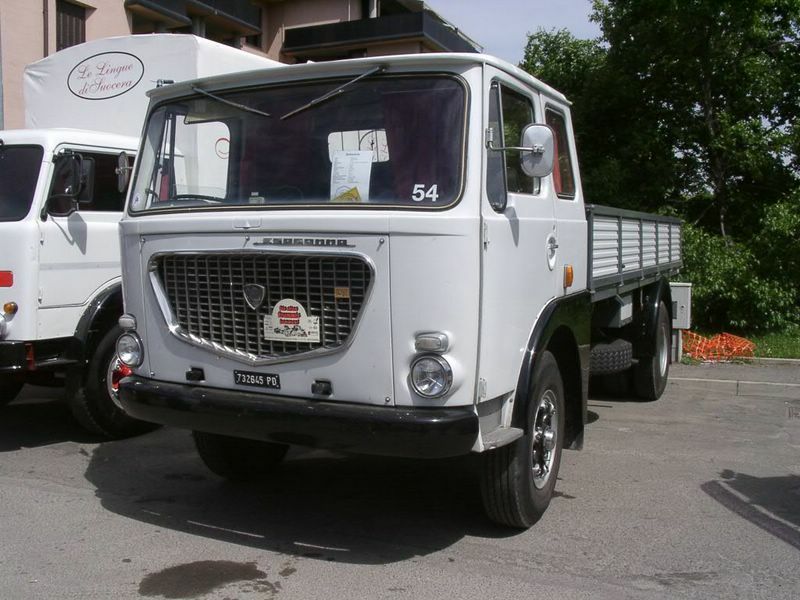 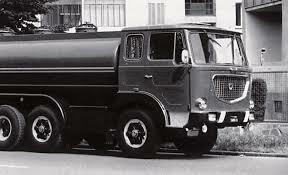 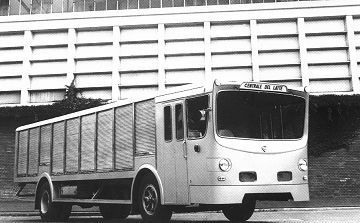 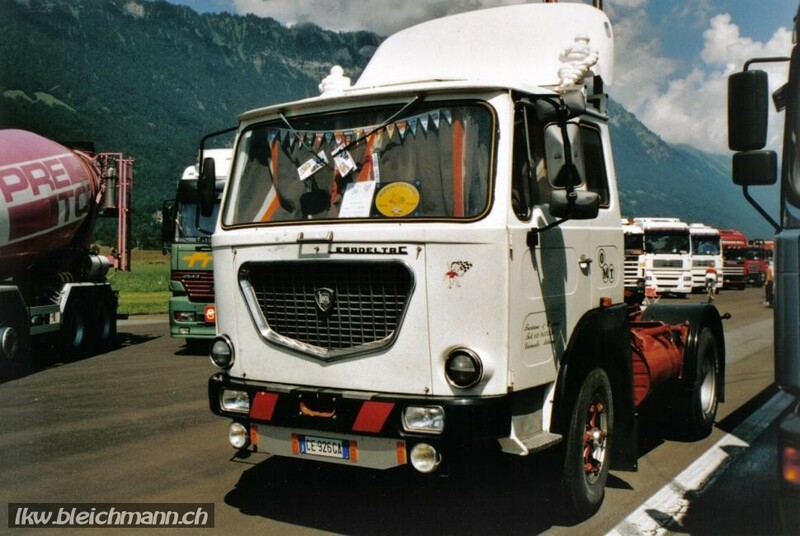 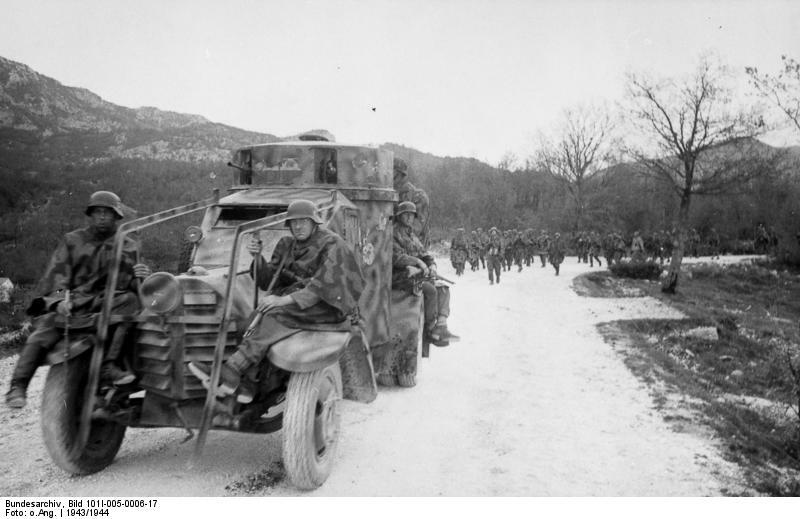 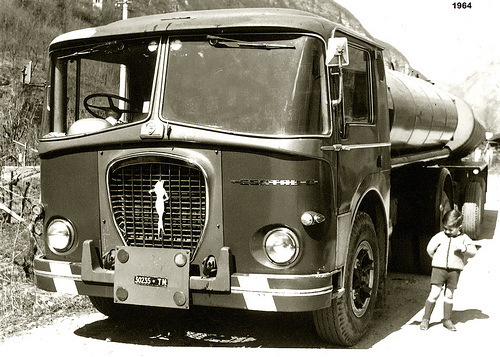 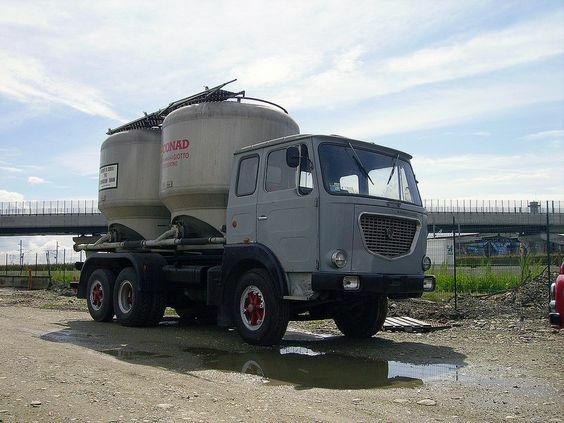 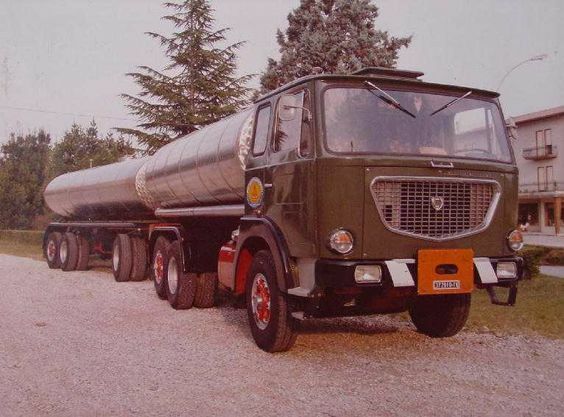 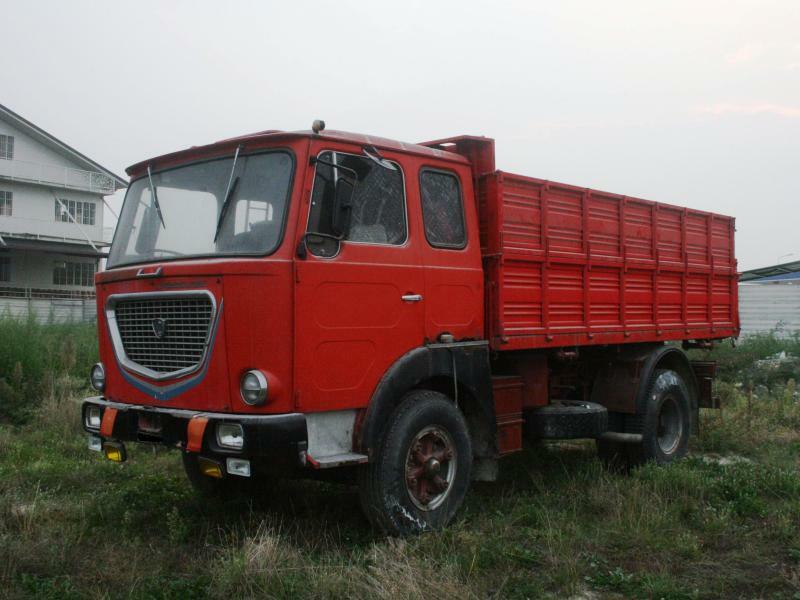 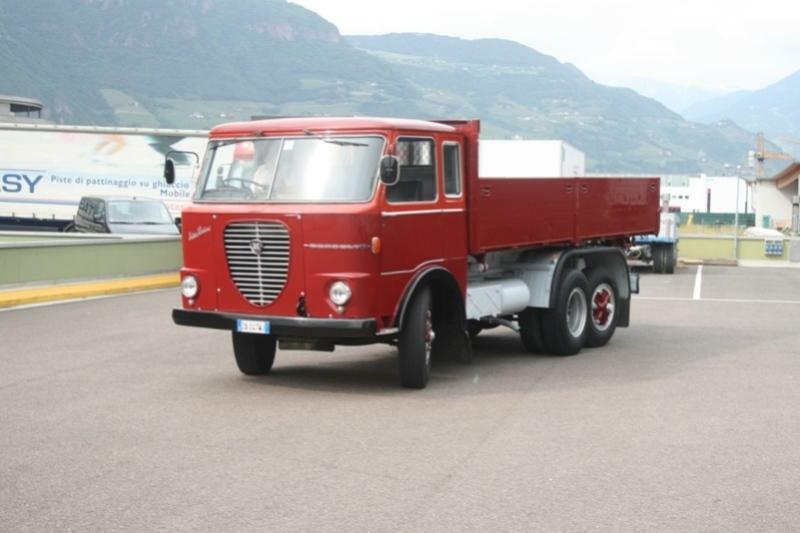 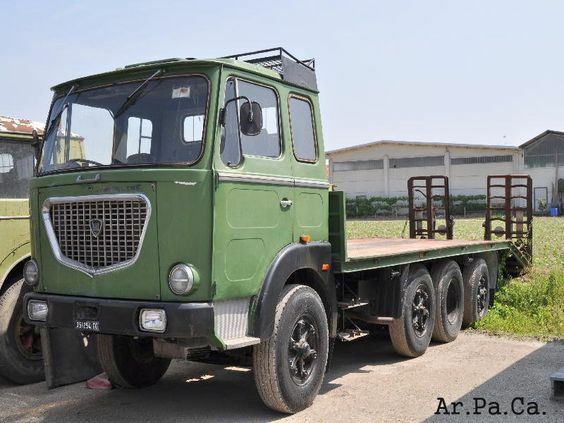 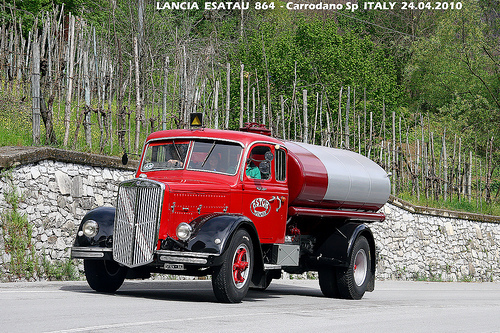 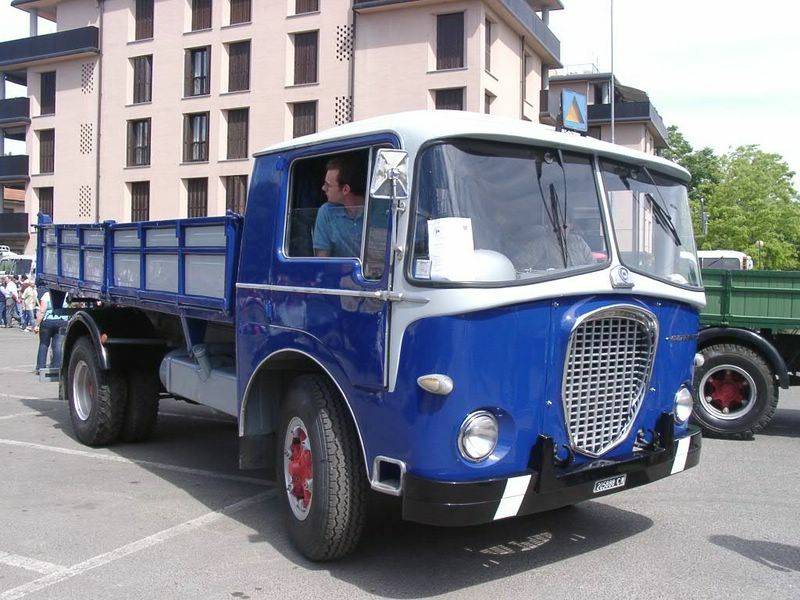 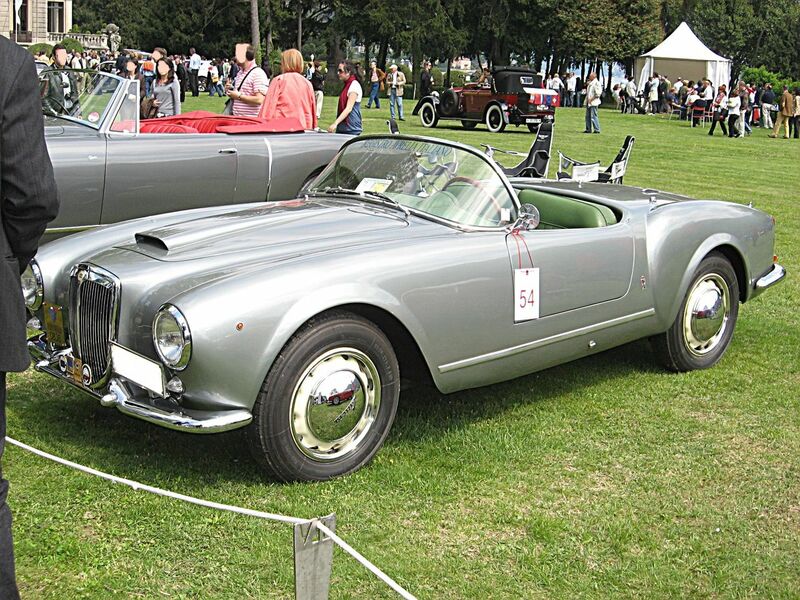 It became part of the Fiat Group in 1969; the current company, Lancia Automobiles S.p.A., was established in 2007. 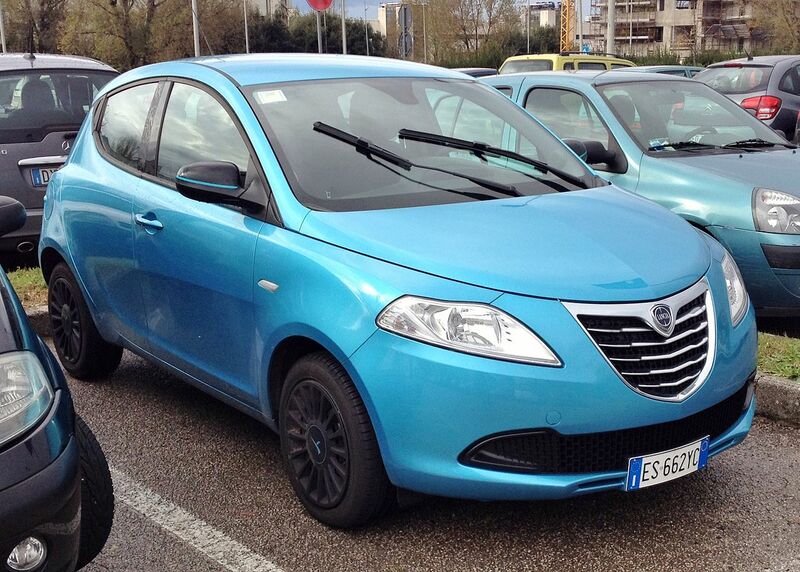 Lancia vehicles are no longer sold outside of Italy, and comprise only the Ypsilon supermini range, as Fiat CEO Sergio Marchionne foreshadowed in January 2014. 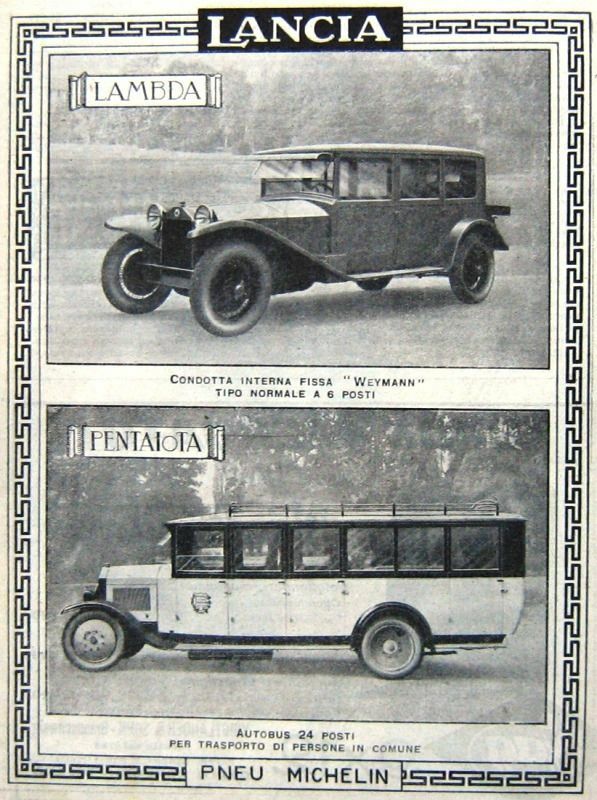 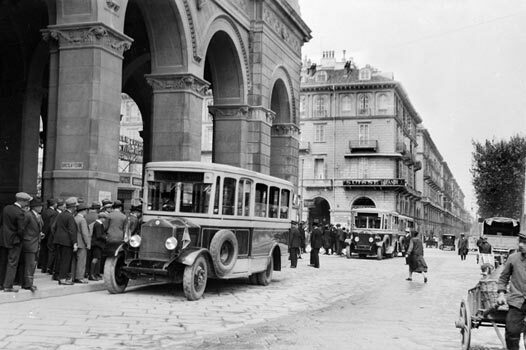 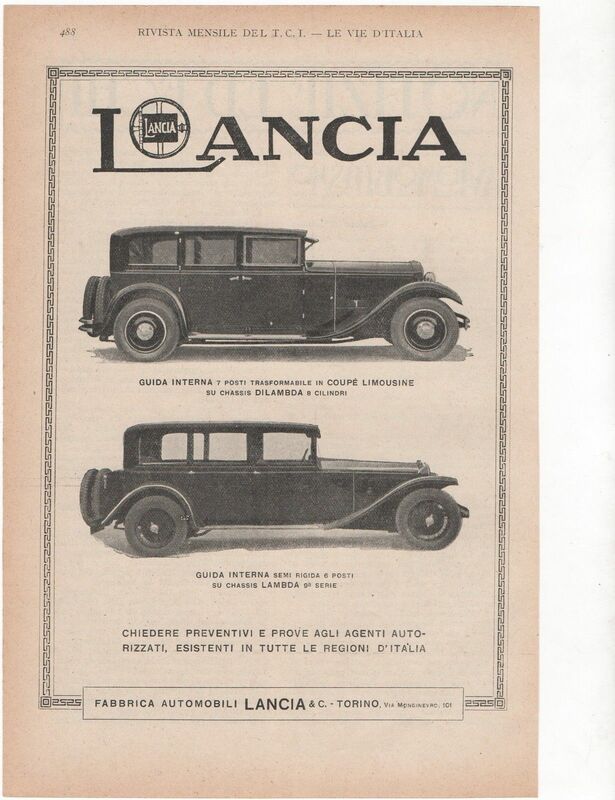 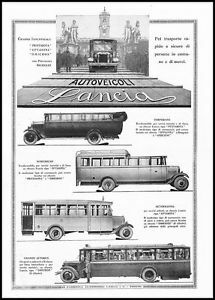 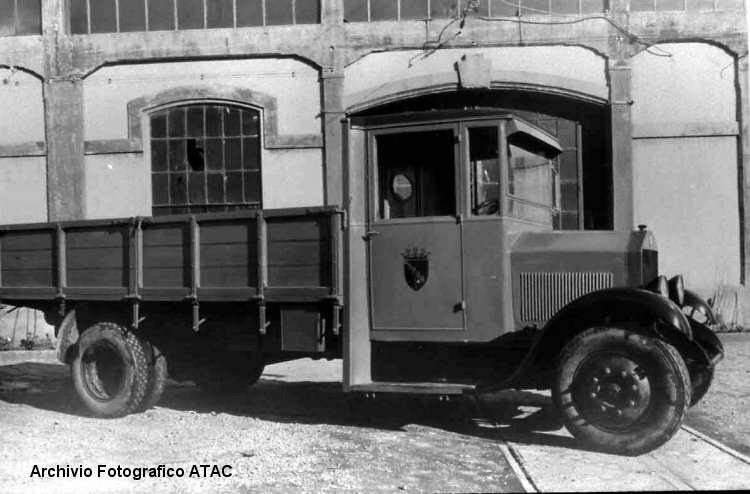 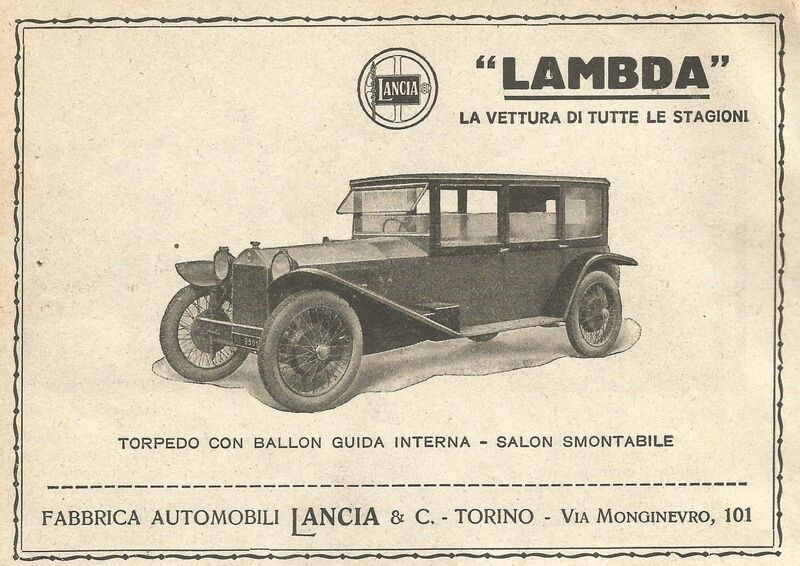 Lancia & C. Fabbrica Automobili was founded on 29 November 1906 in Turin by Fiat racing drivers, Vincenzo Lancia (1881-1937) and his friend, Claudio Fogolin (1872-1945). 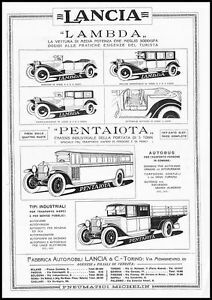 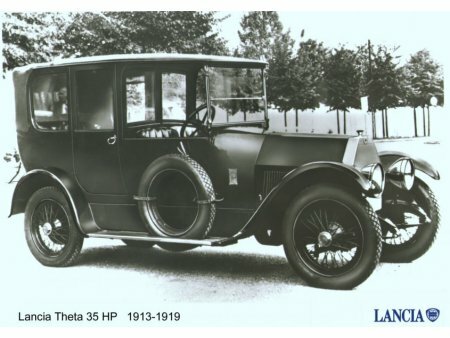 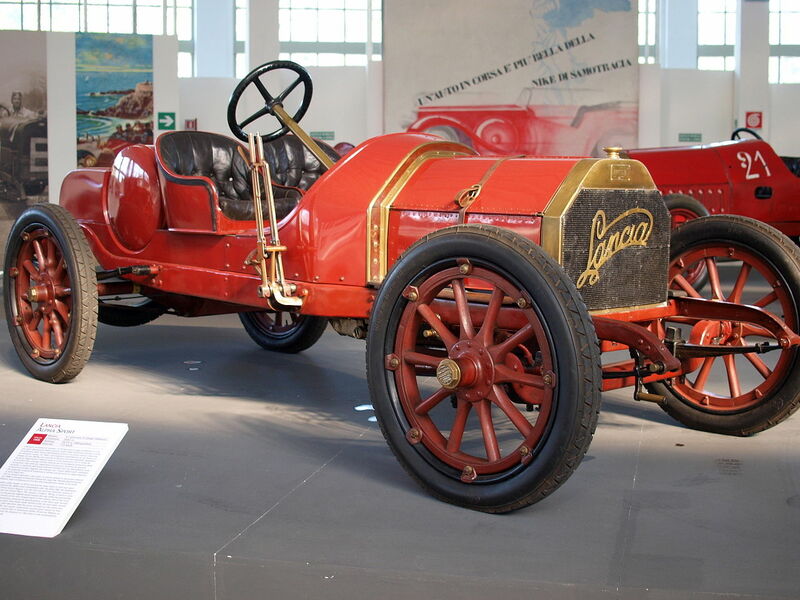 The first car manufactured by Lancia was the “Tipo 51” or “12 HP” (later called “Alfa”), which remained in production between from 1907 to 1908. 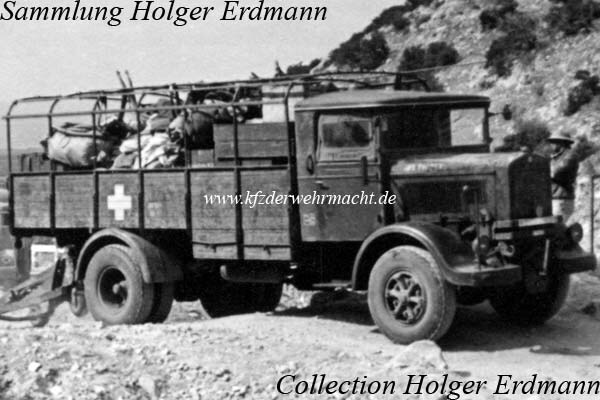 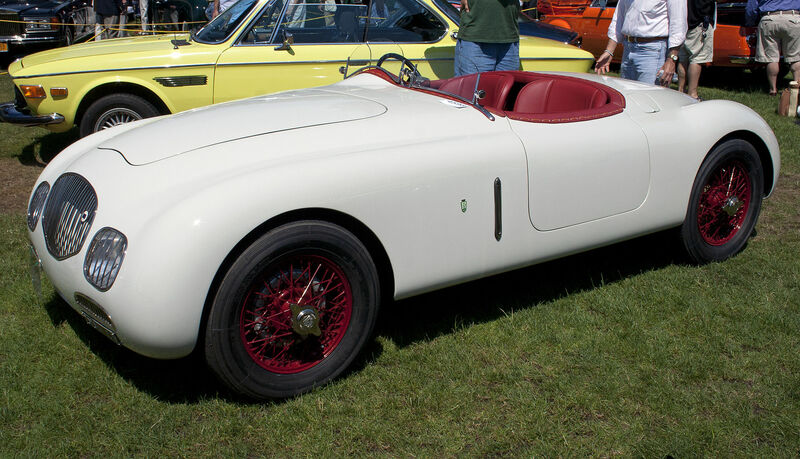 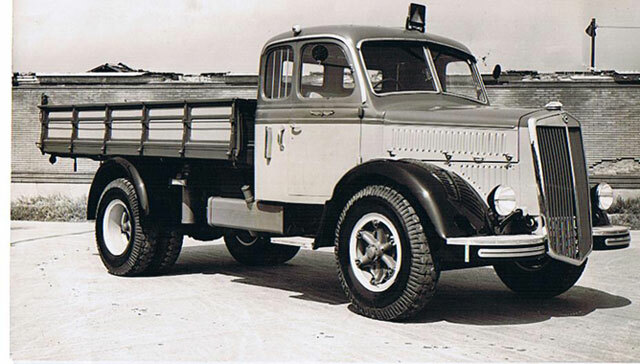 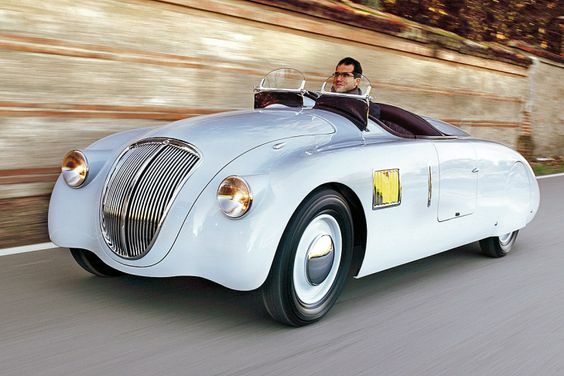 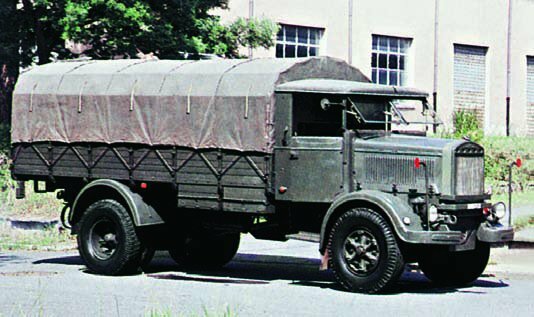 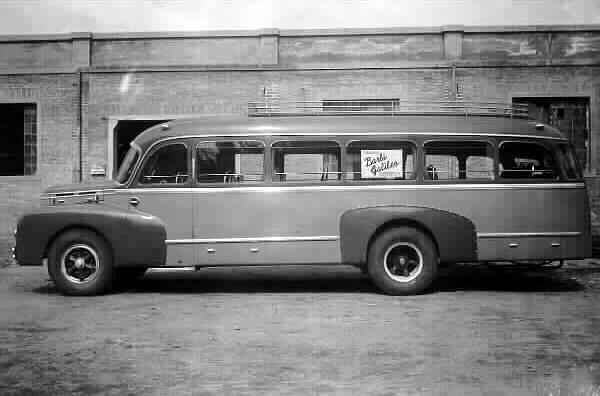 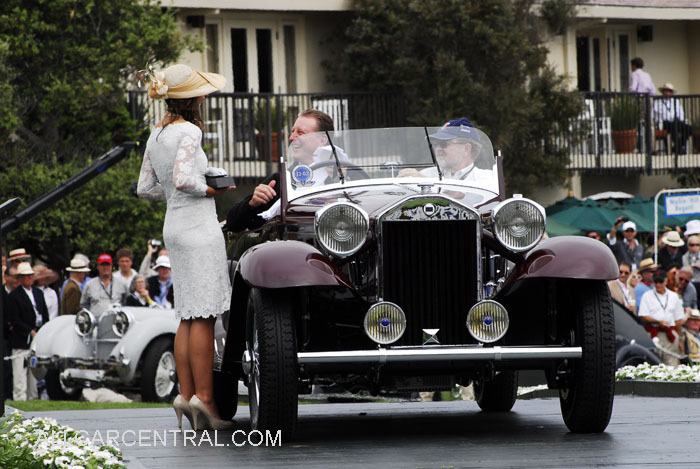 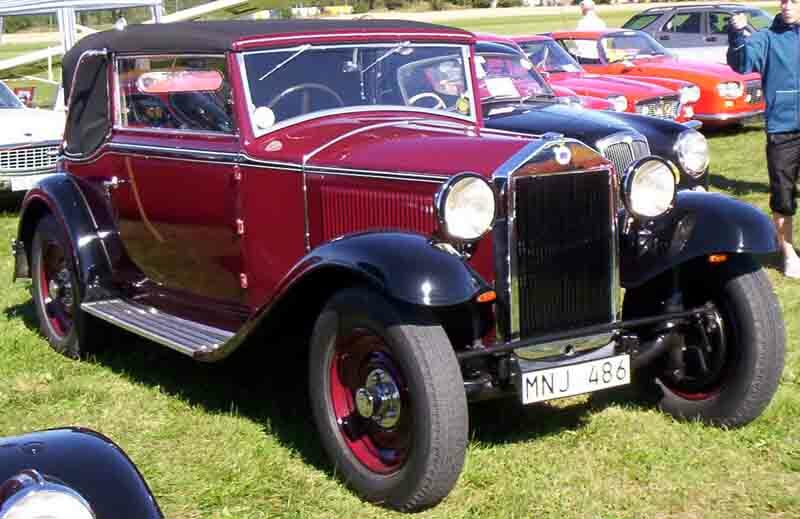 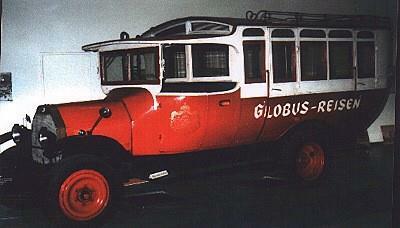 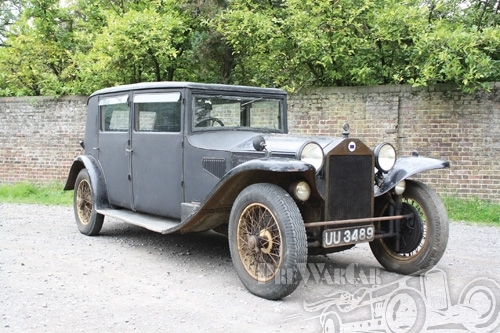 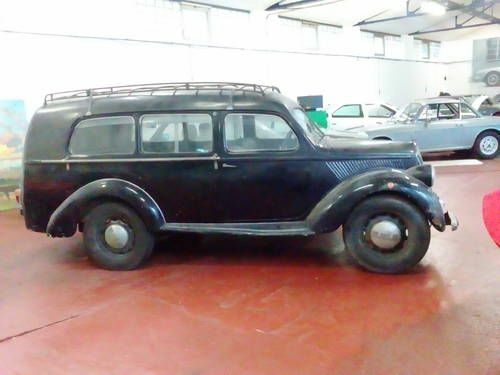 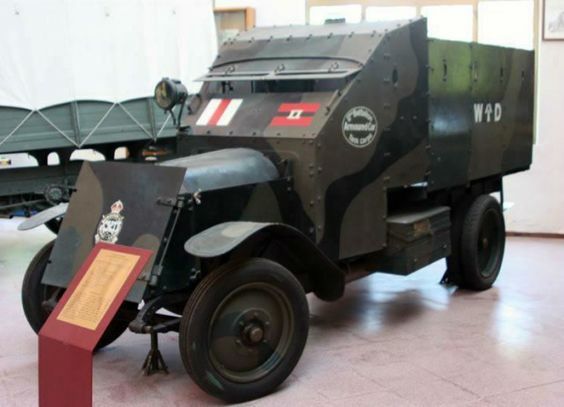 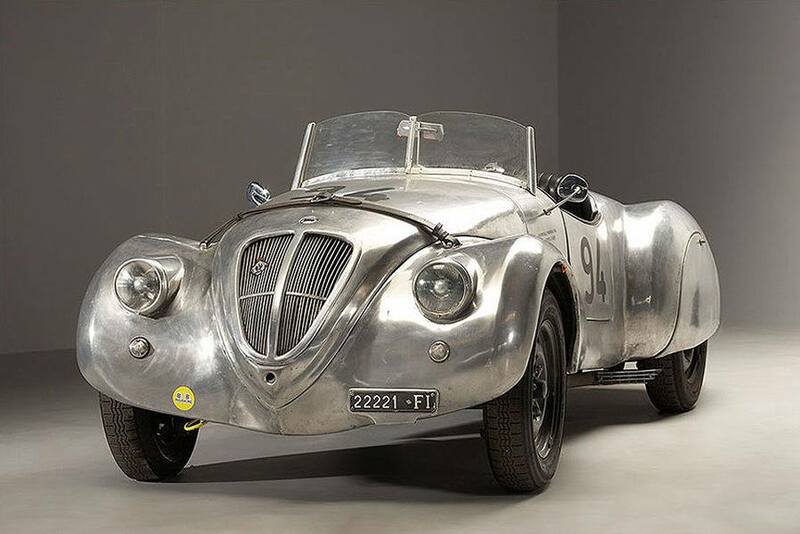 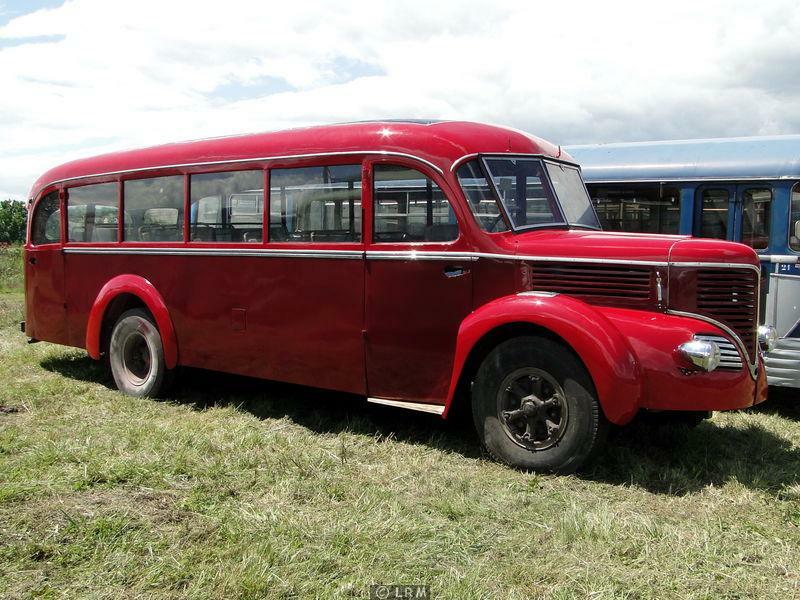 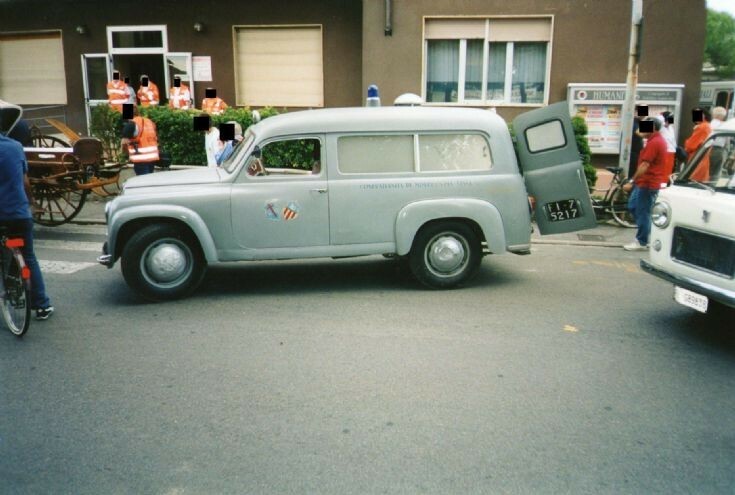 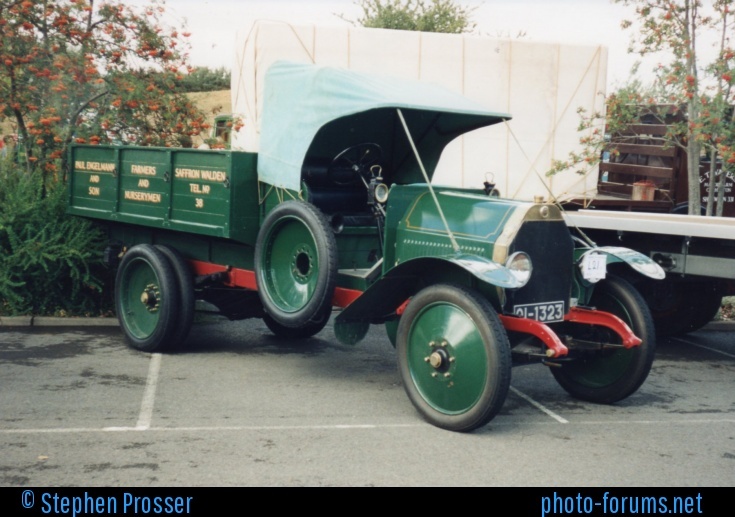 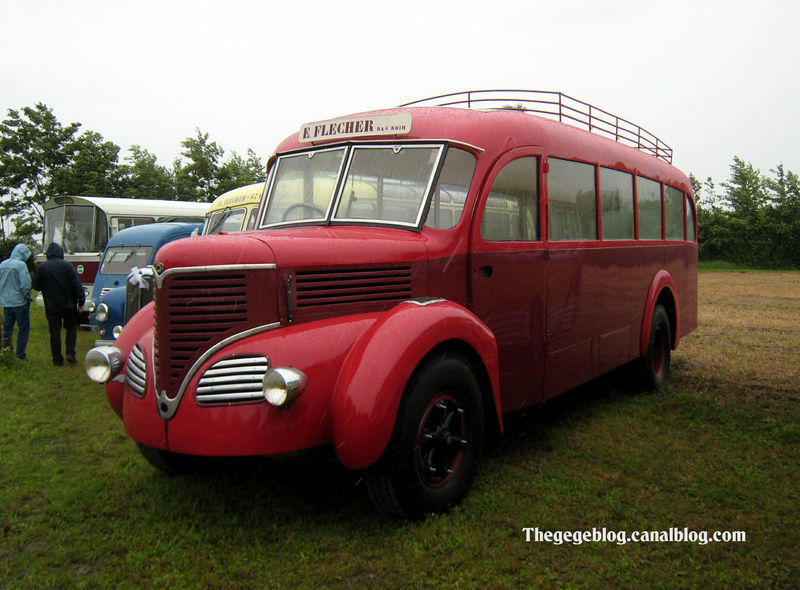 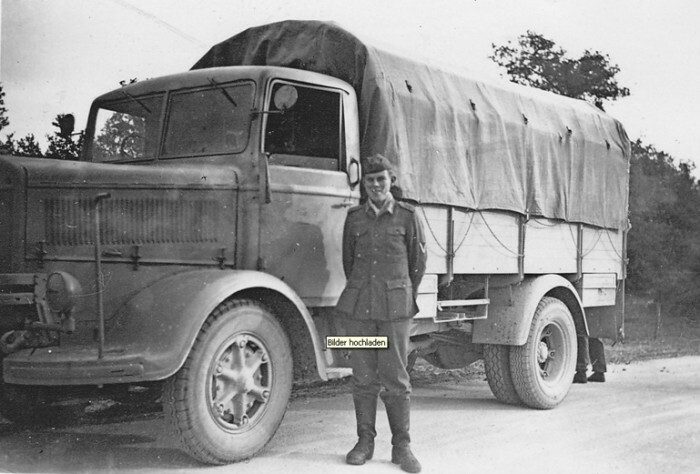 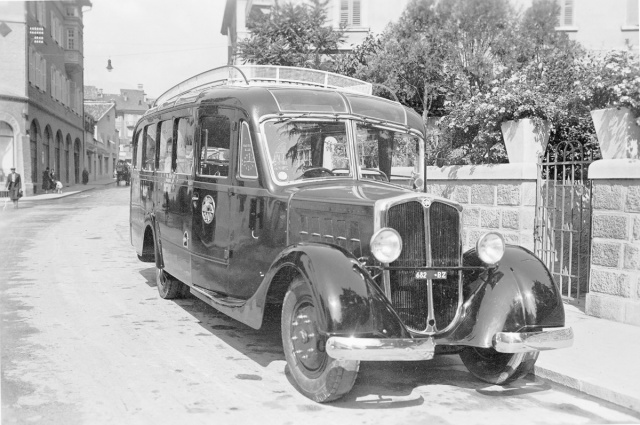 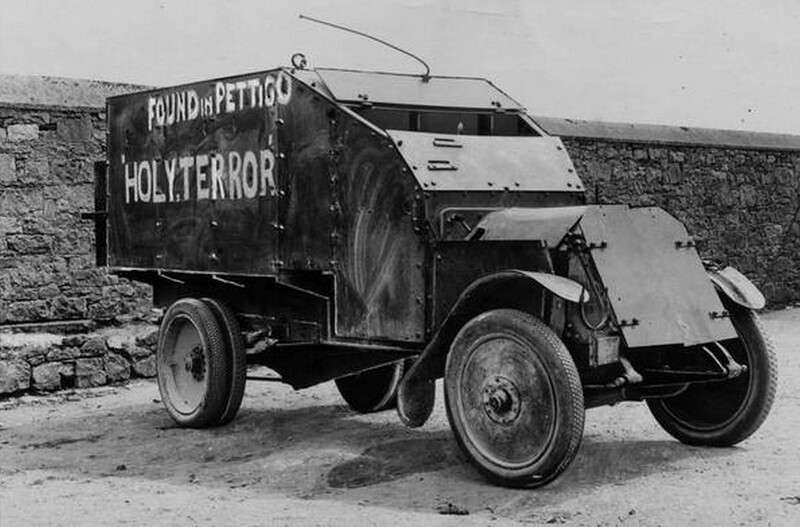 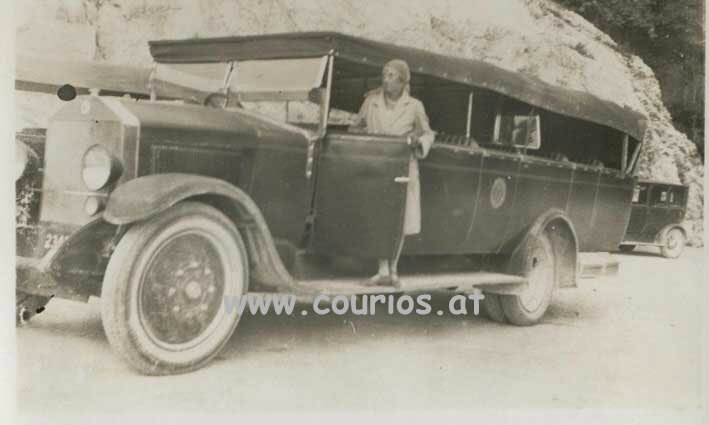 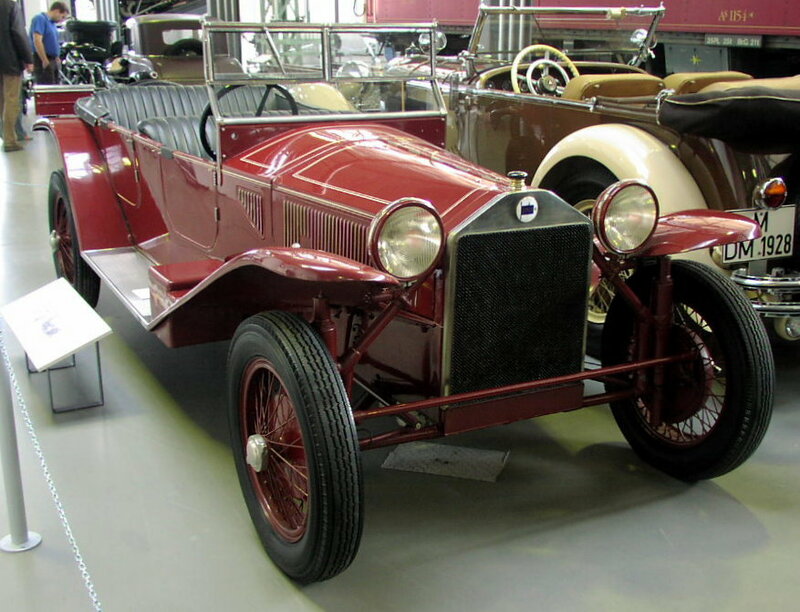 It had a small four-cylinder engine with a power output of 28 hp. 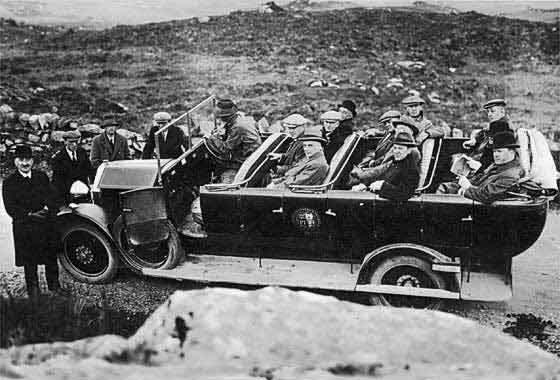 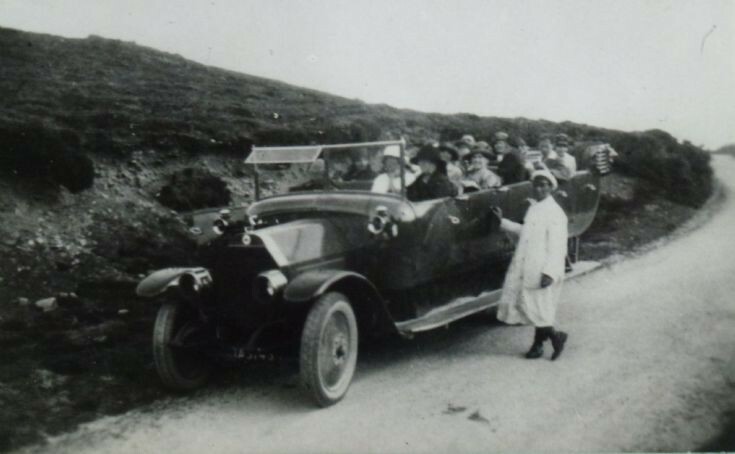 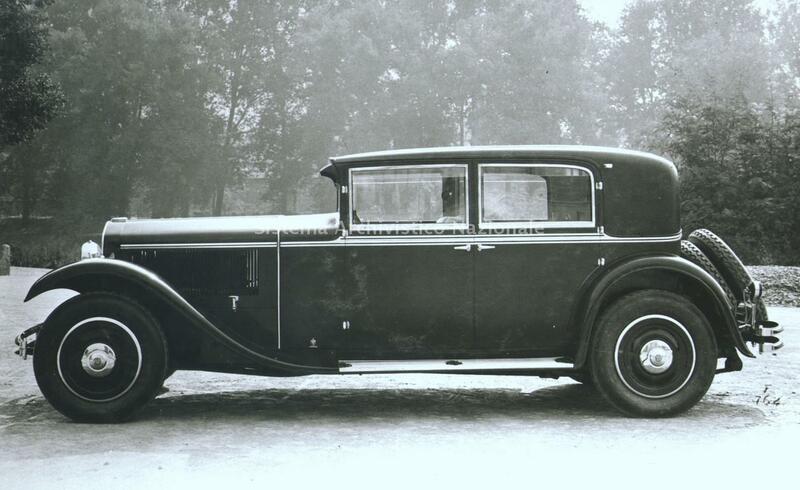 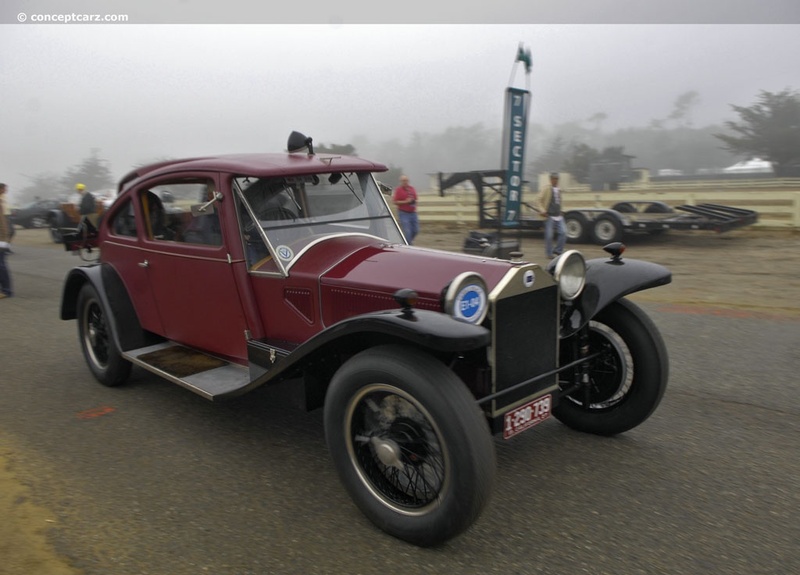 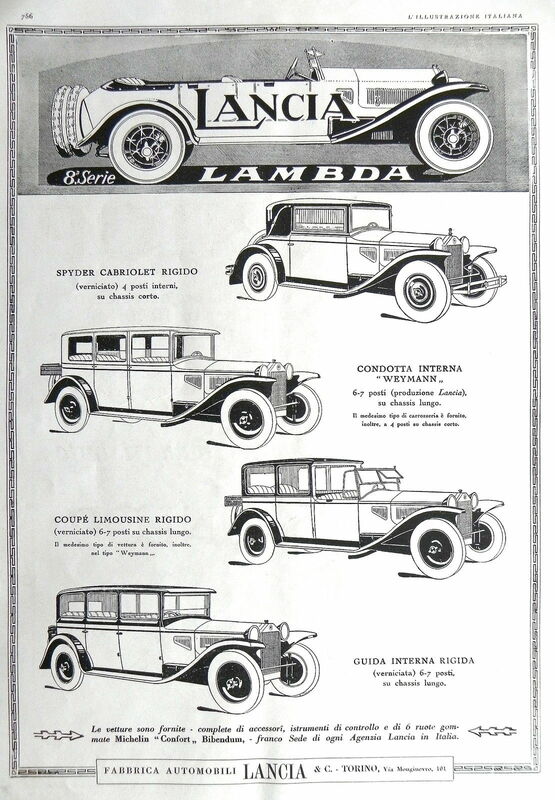 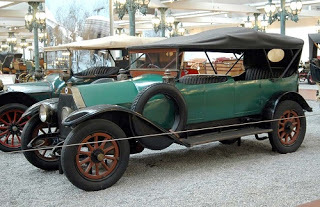 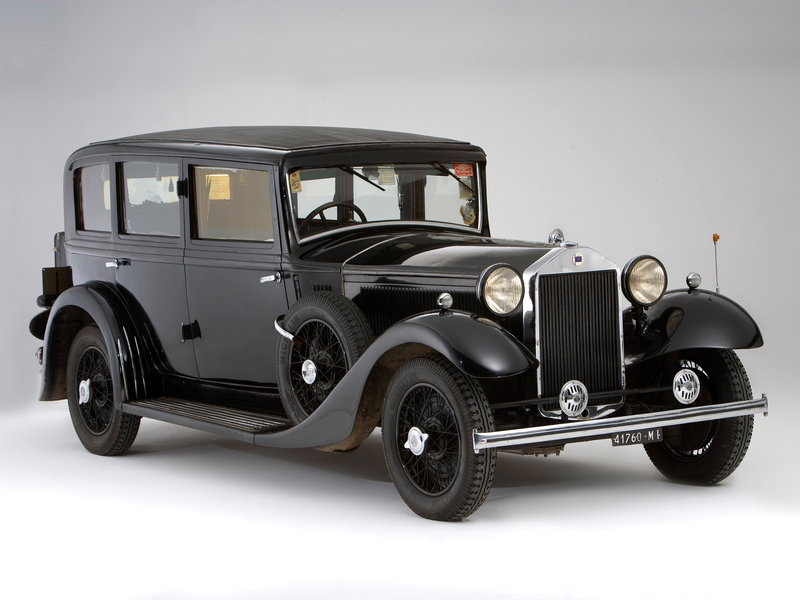 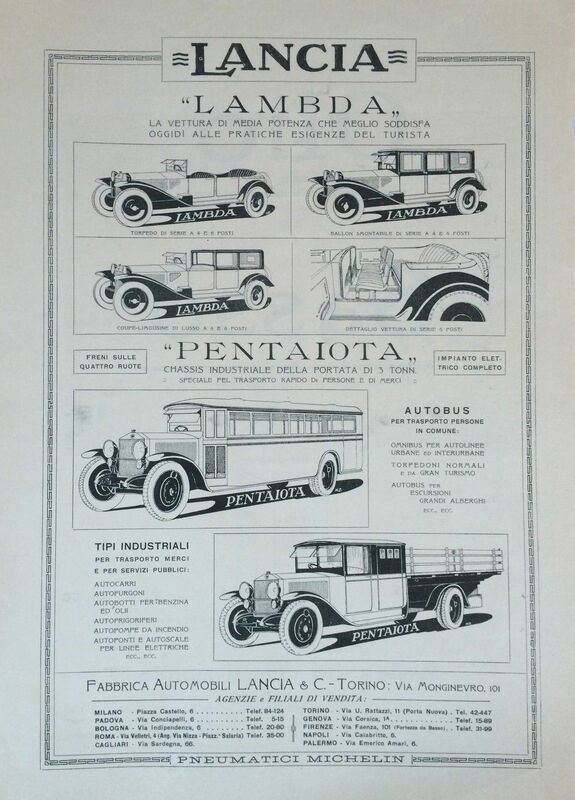 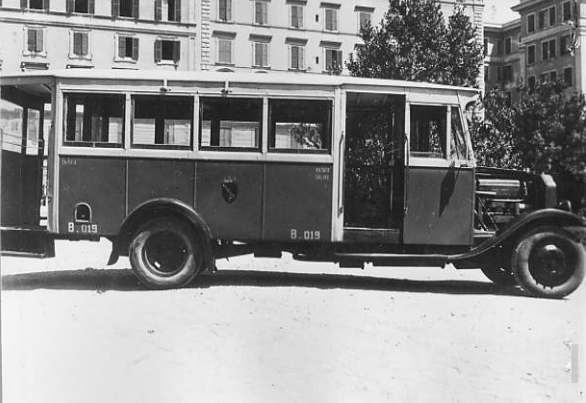 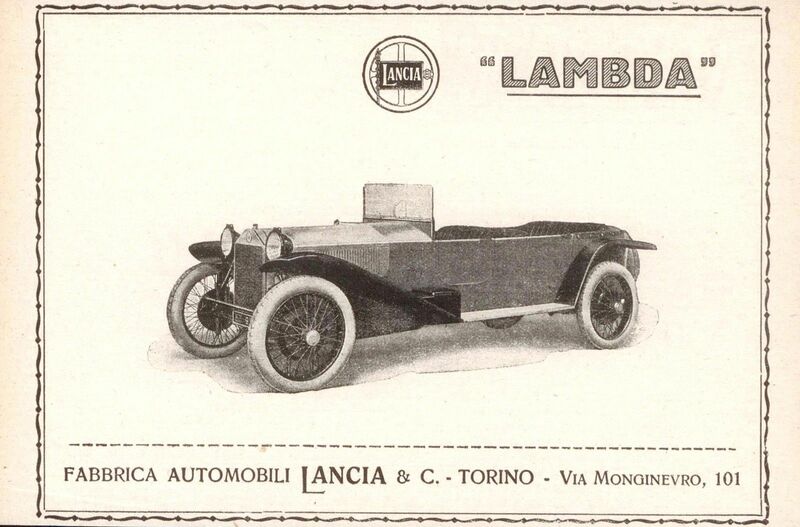 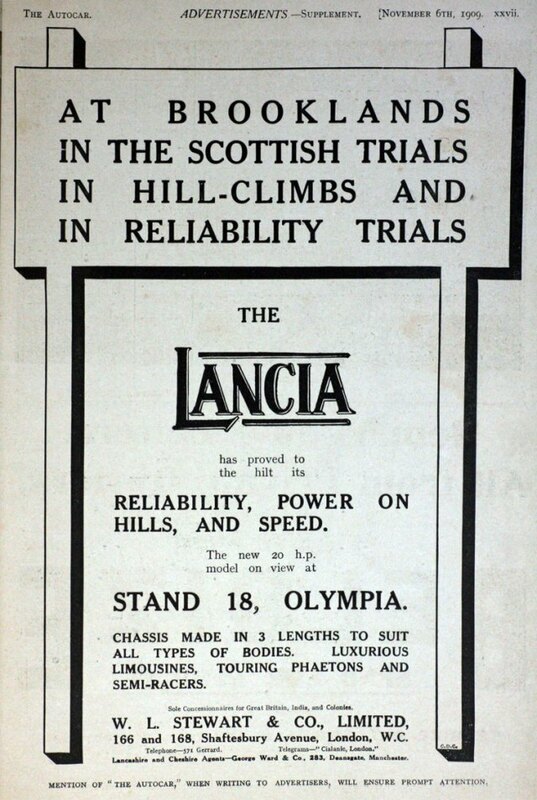 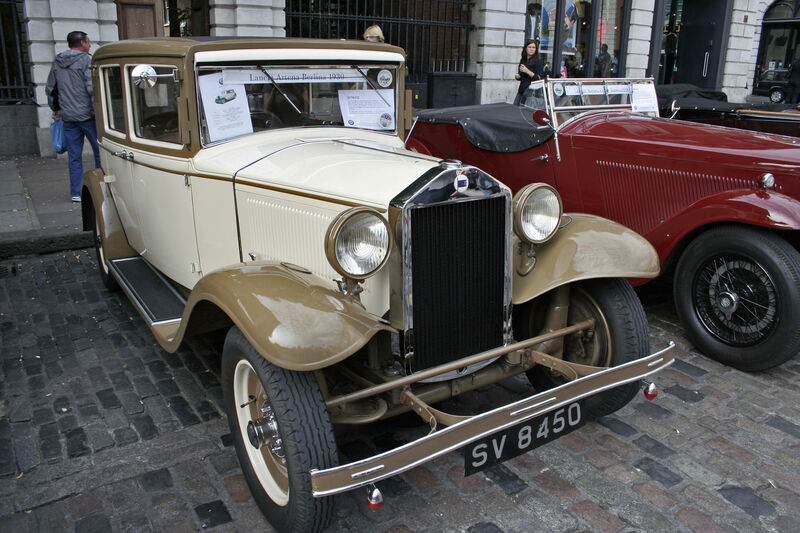 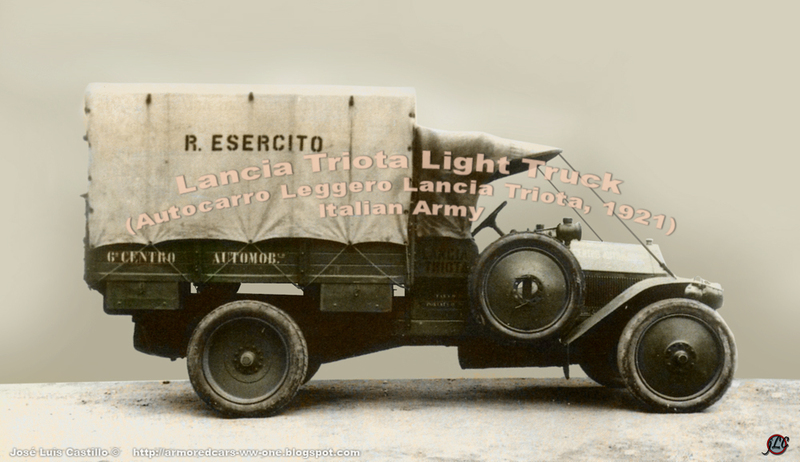 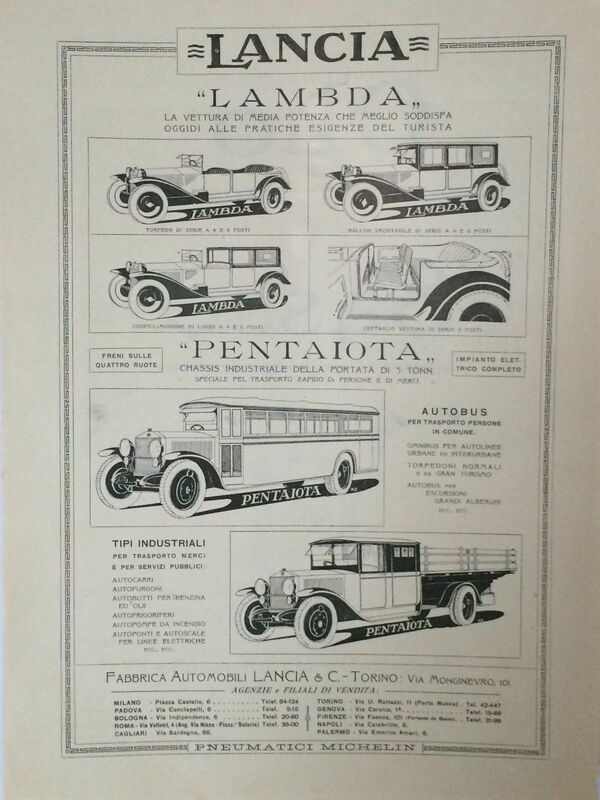 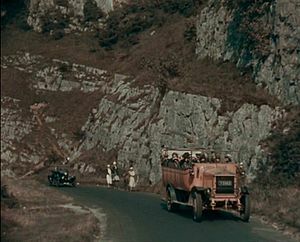 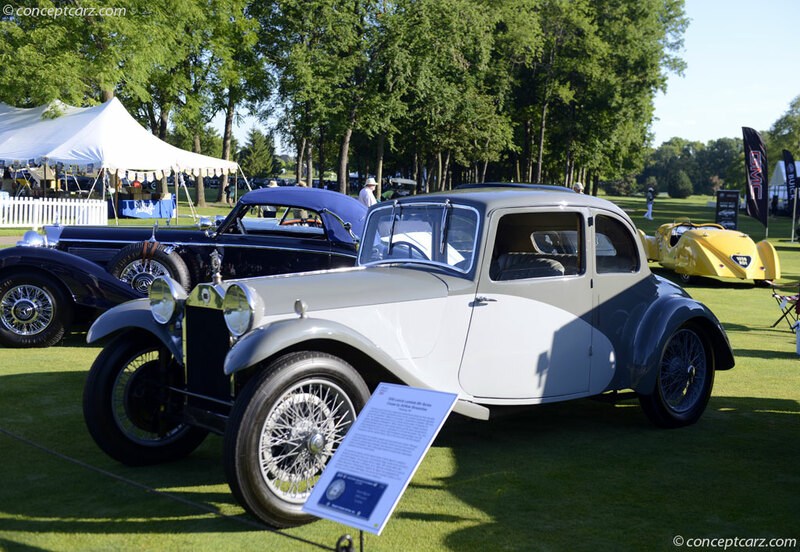 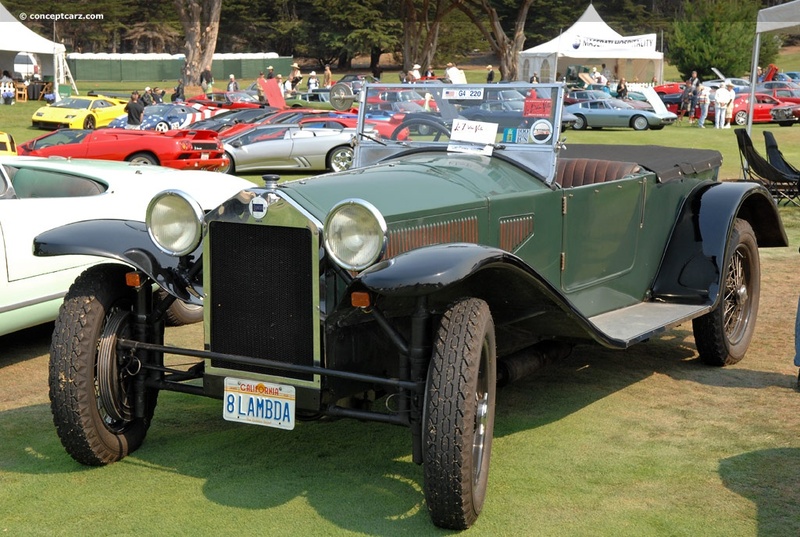 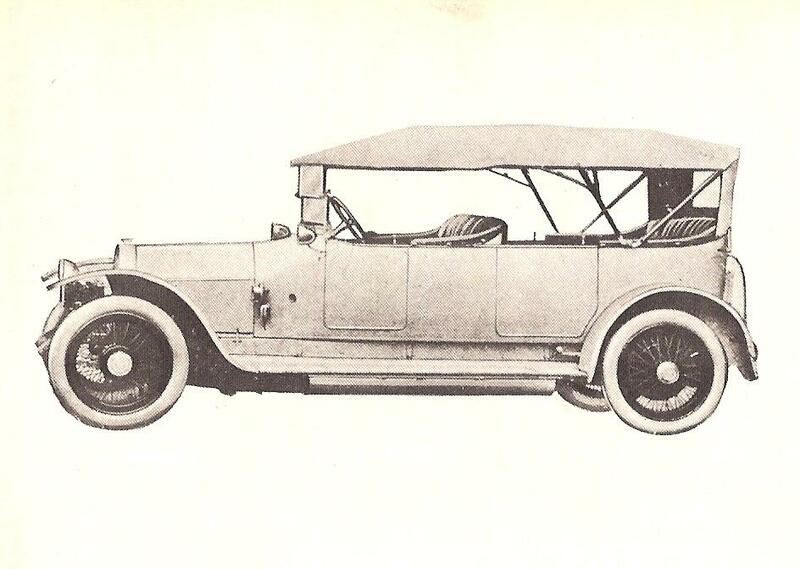 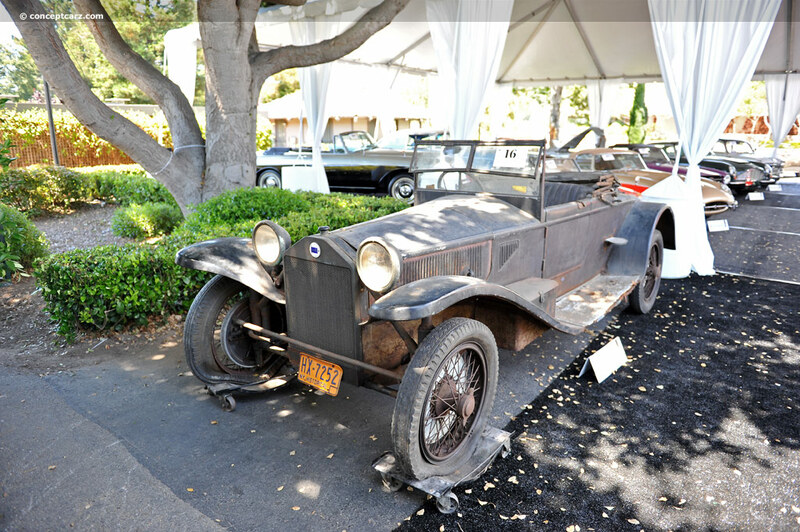 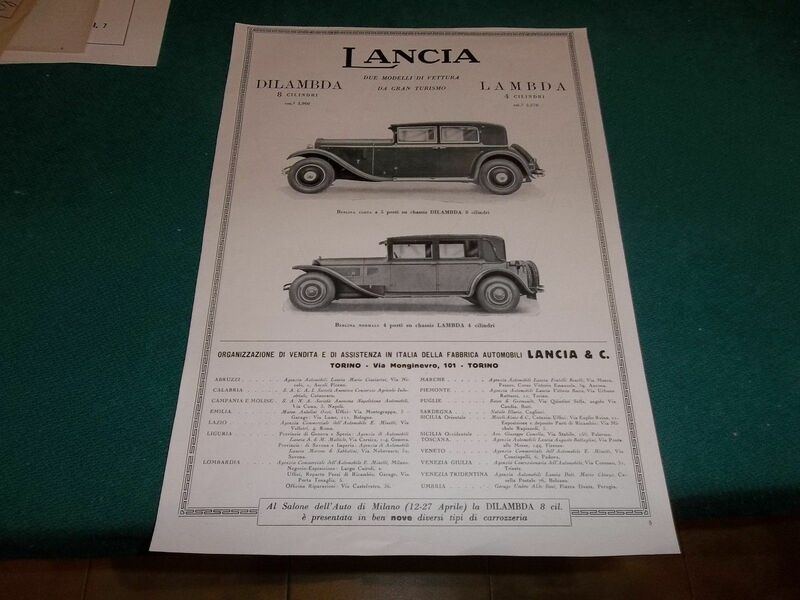 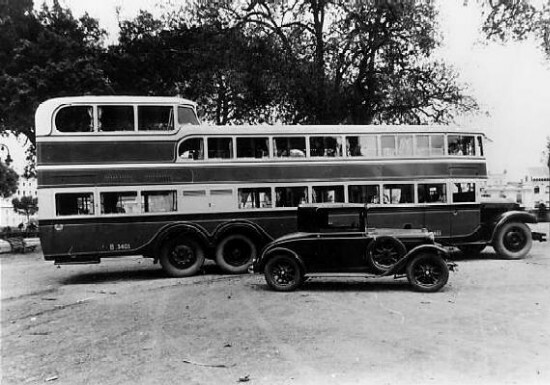 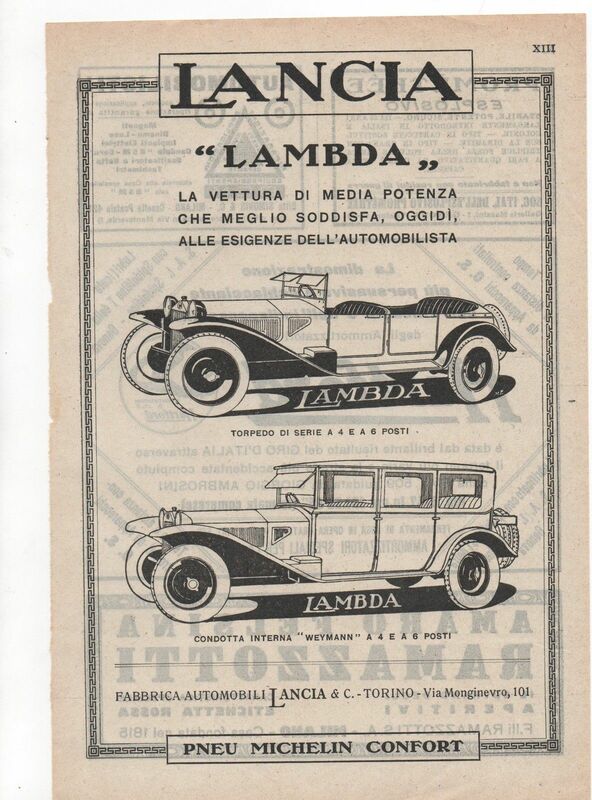 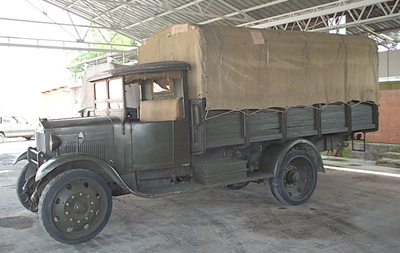 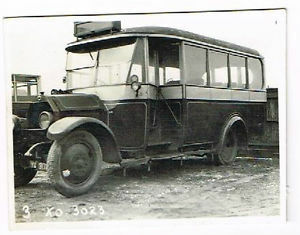 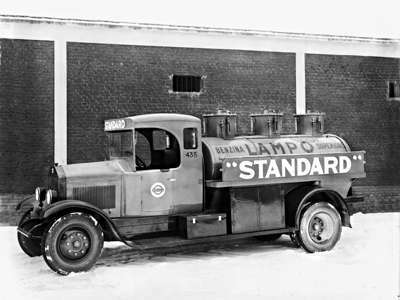 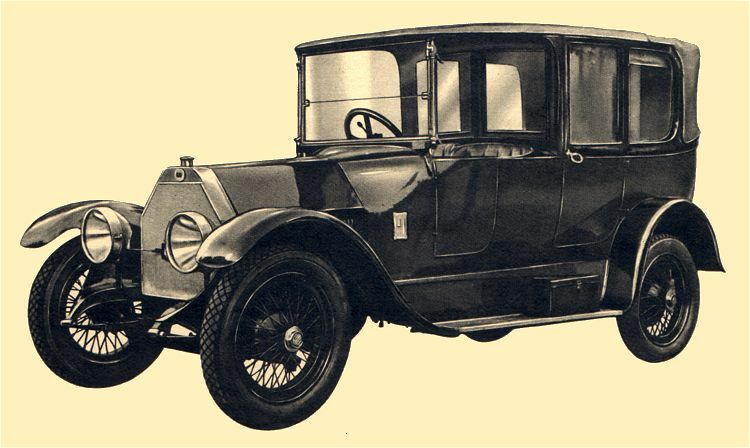 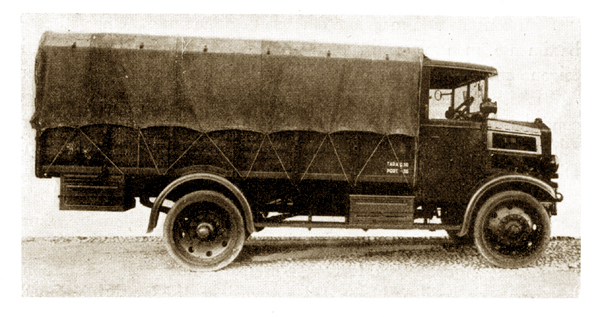 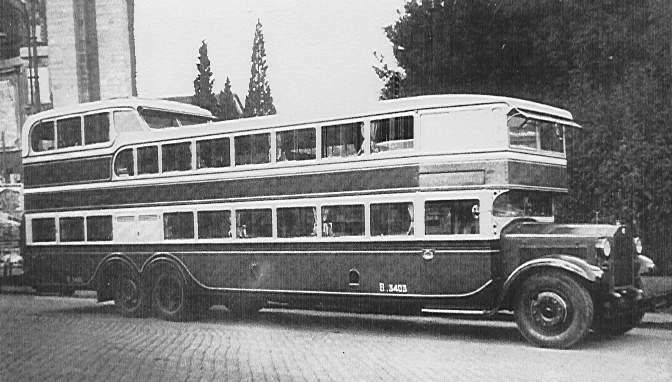 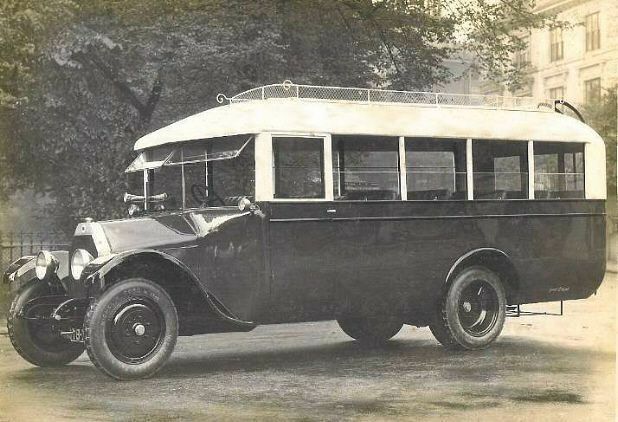 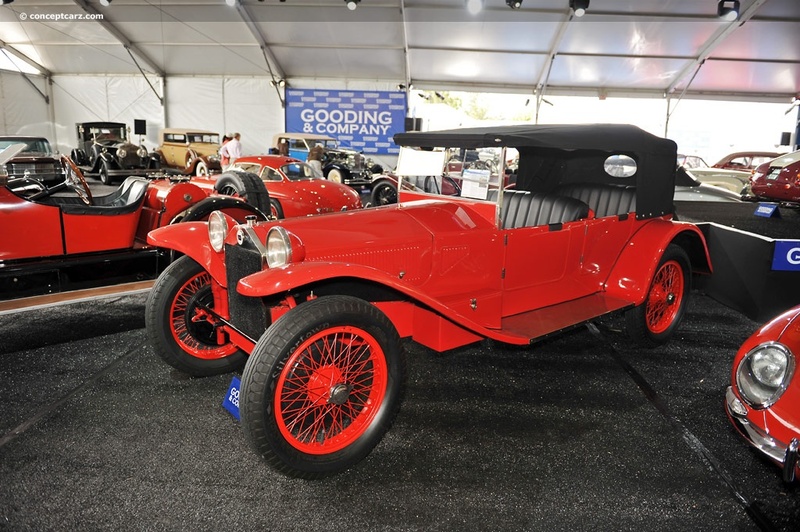 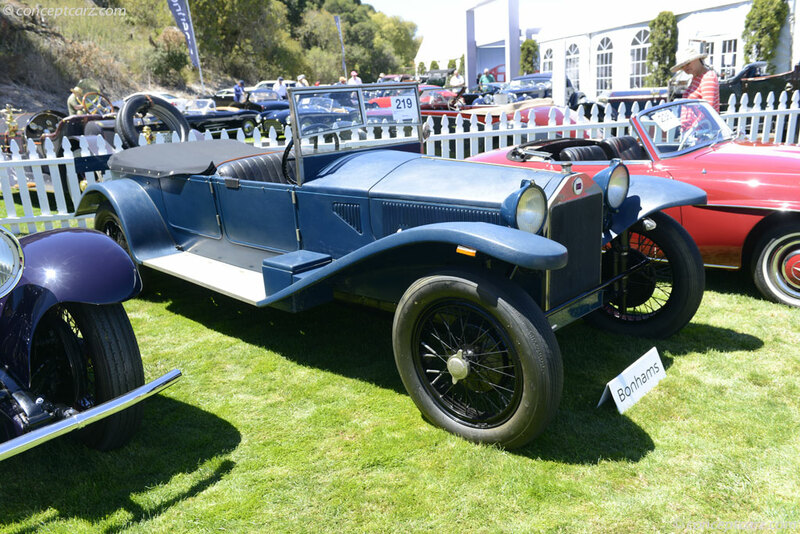 Lambda produced from 1922 to 1931 – featured ‘Sliding Pillar‘ independent front suspension that incorporated the spring and hydraulic damper into a single unit (a feature that would be employed in subsequent Lancia’s, up to the Appia that was replaced in 1963). 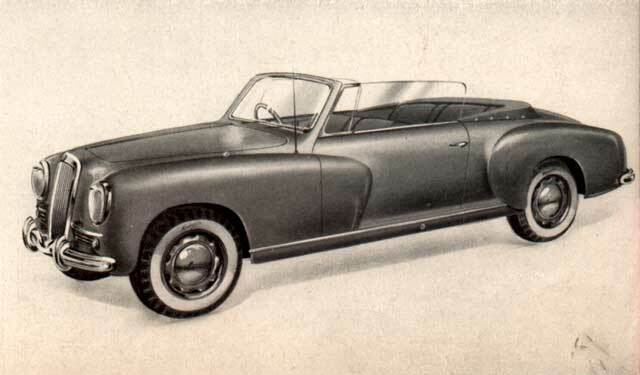 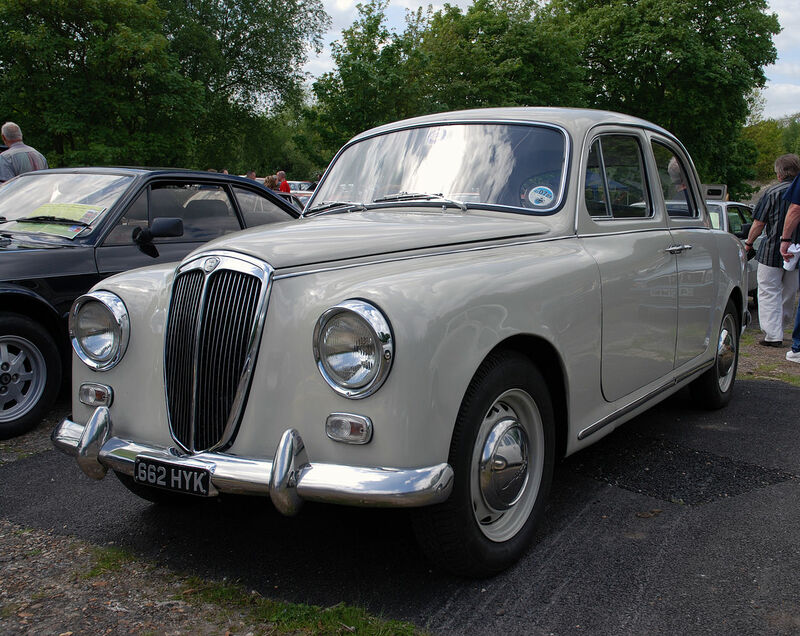 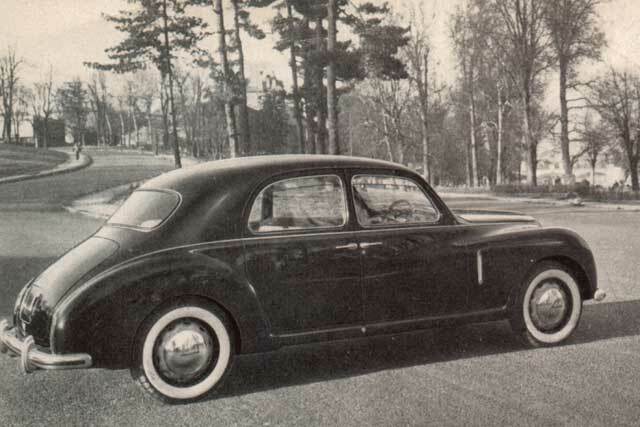 1948 saw the first 5 speed gearbox to be fitted to a production car (Series 3 Ardea). 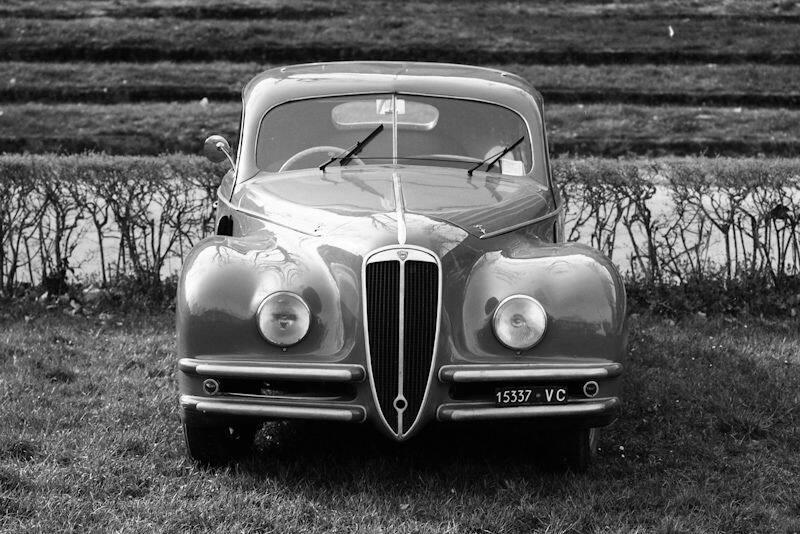 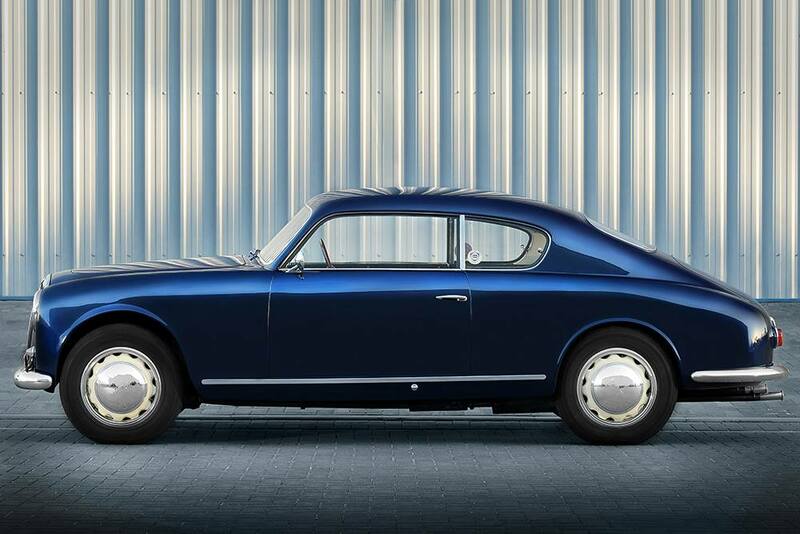 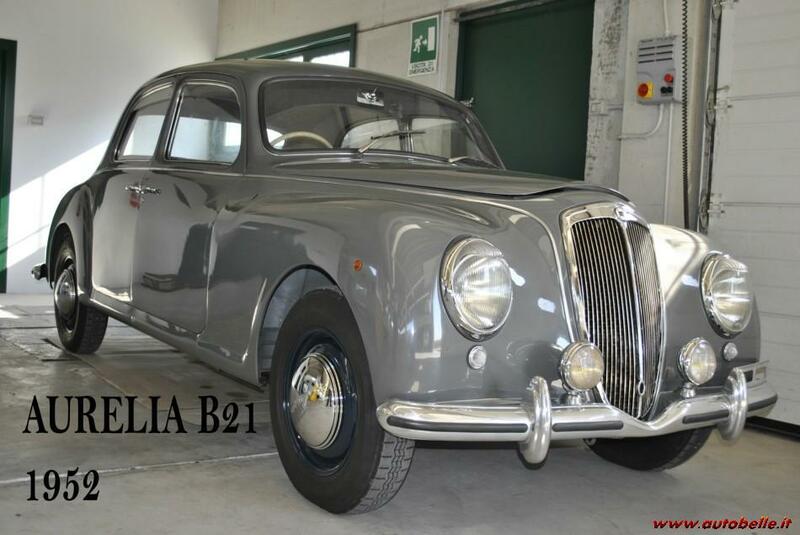 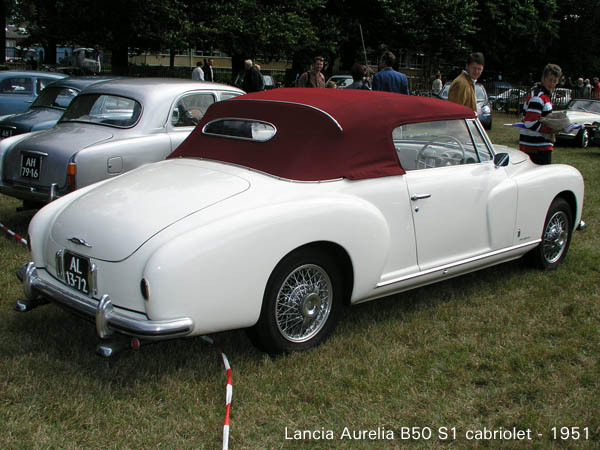 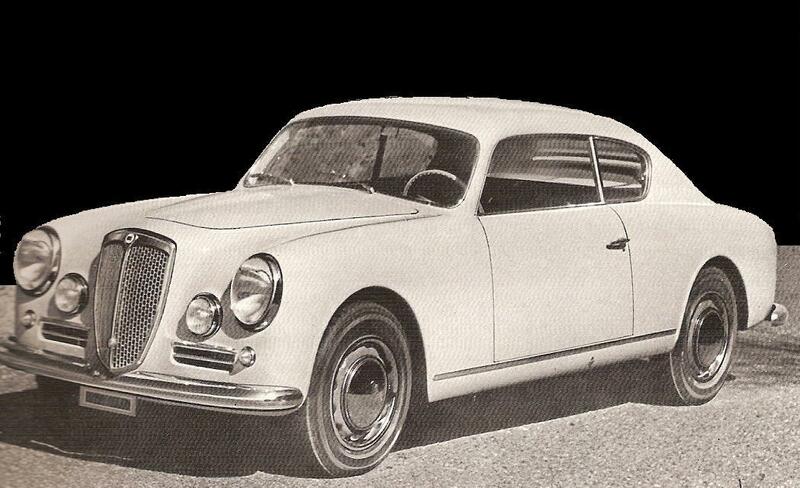 Lancia premiered the first full-production V6 engine, in the 1950 Aurelia, after earlier industry-leading experiments with V8 and V12 engine configurations. 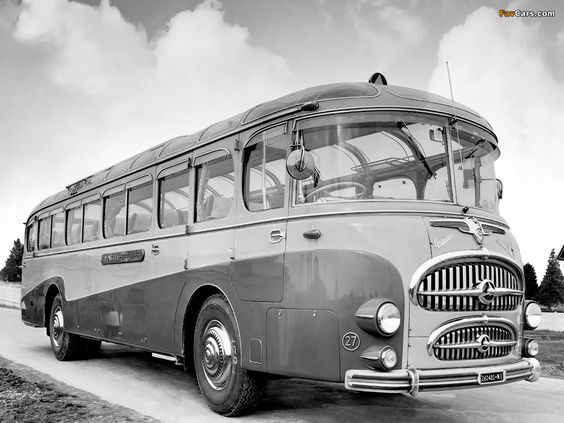 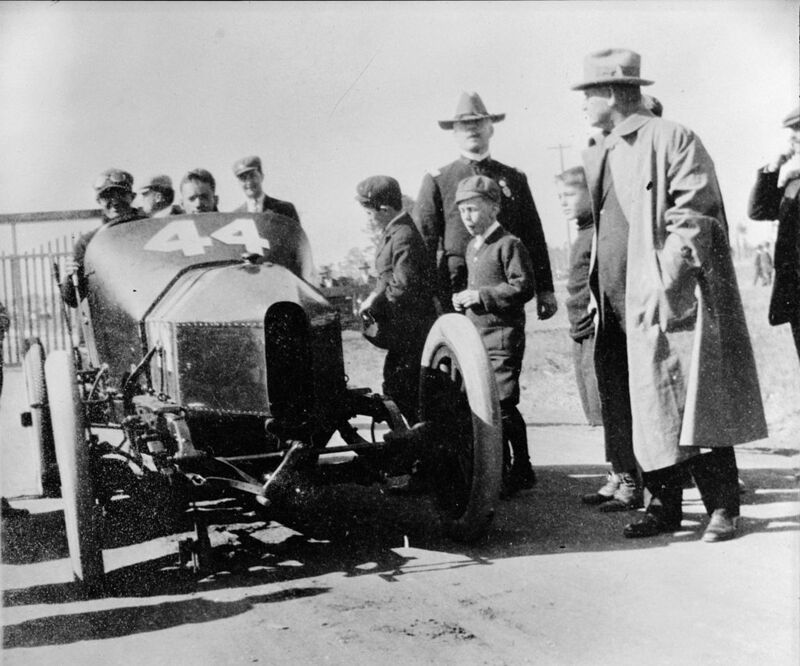 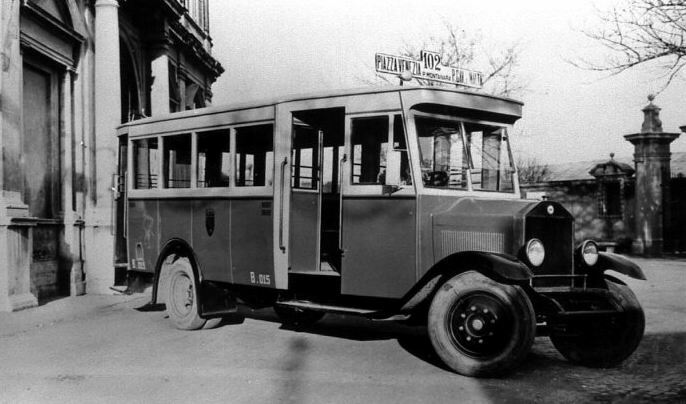 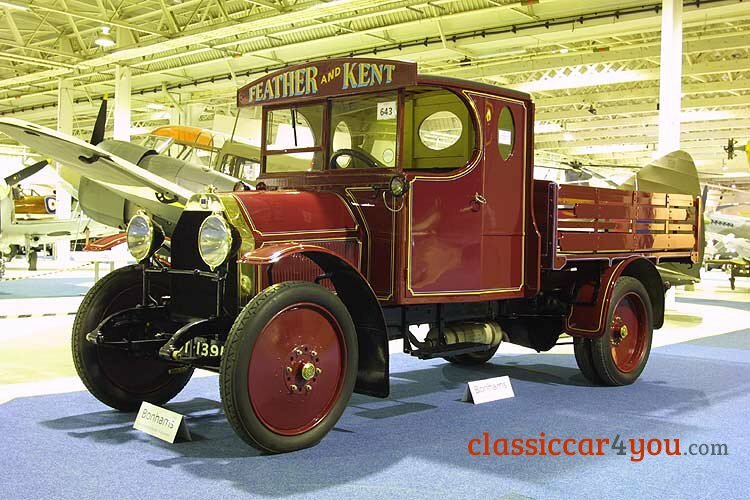 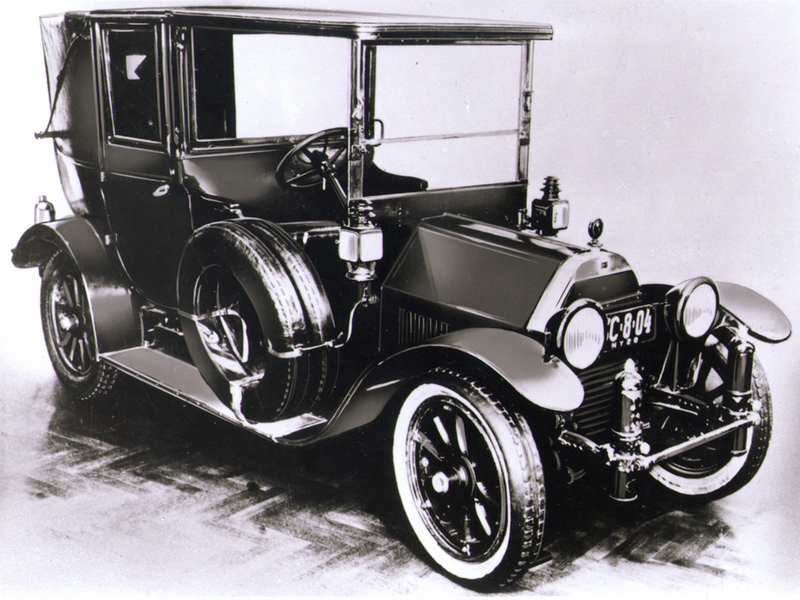 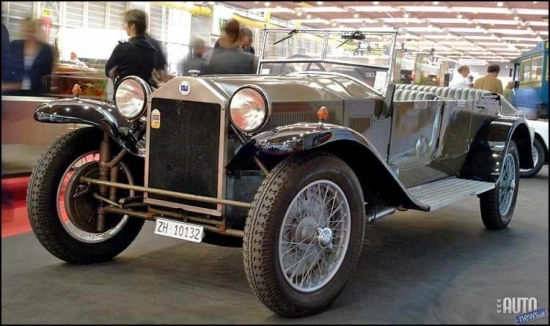 It was also the first manufacturer to produce a V4 engine. 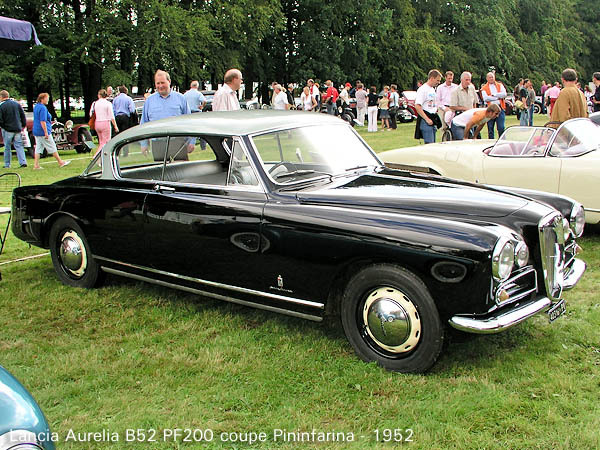 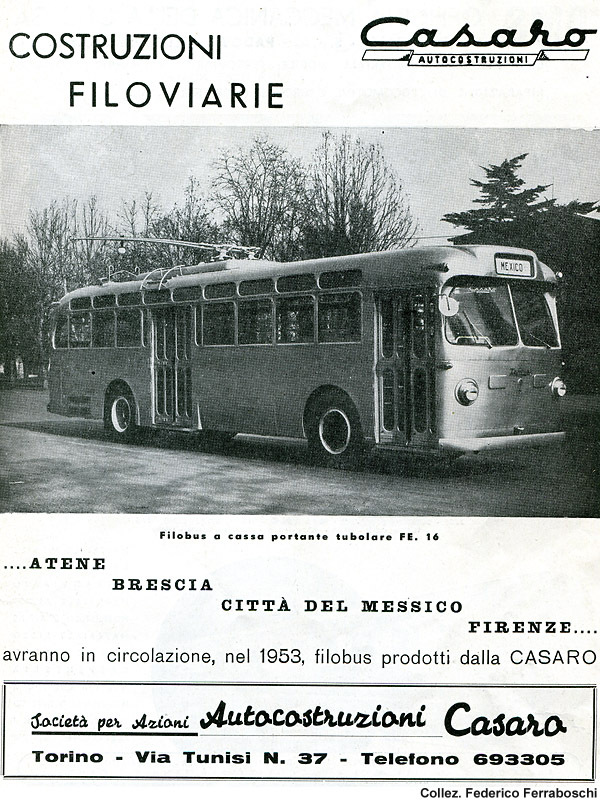 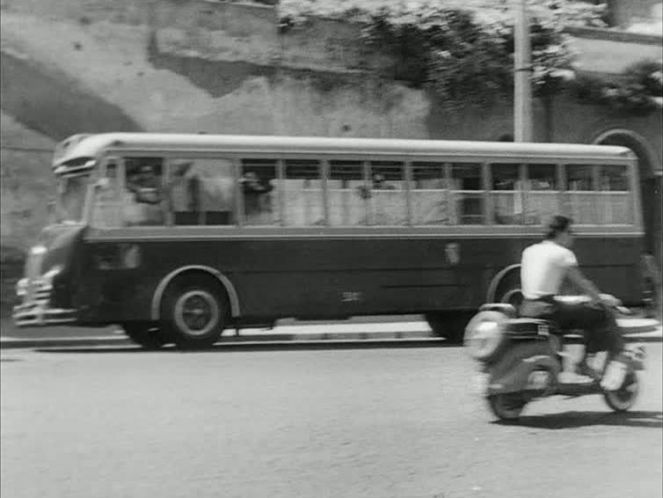 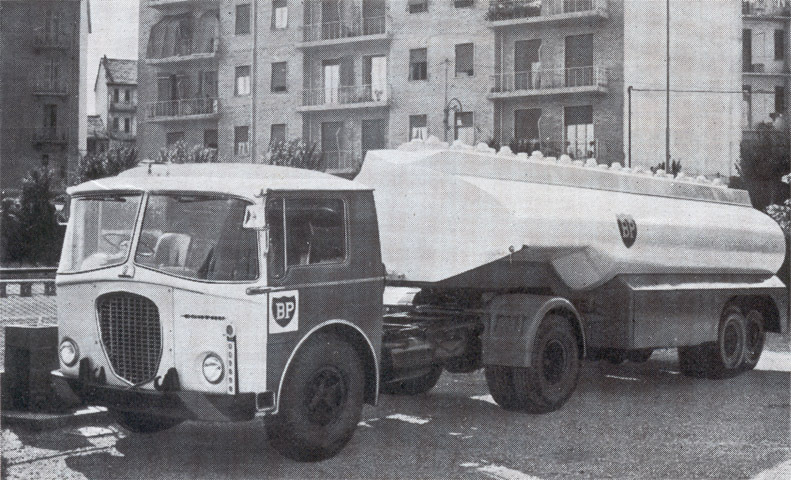 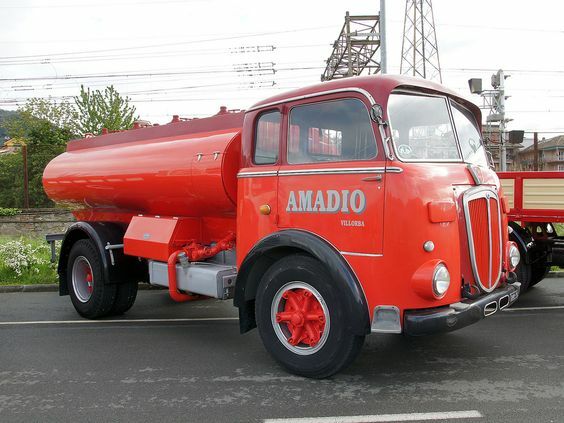 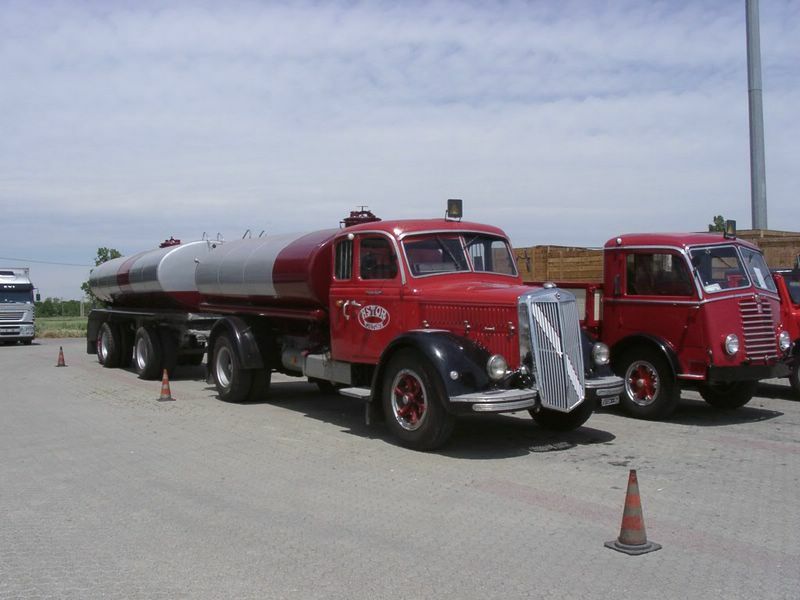 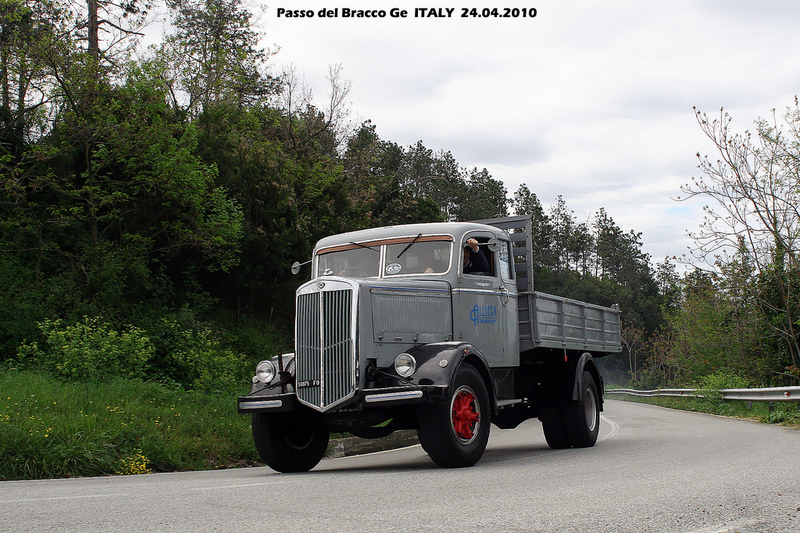 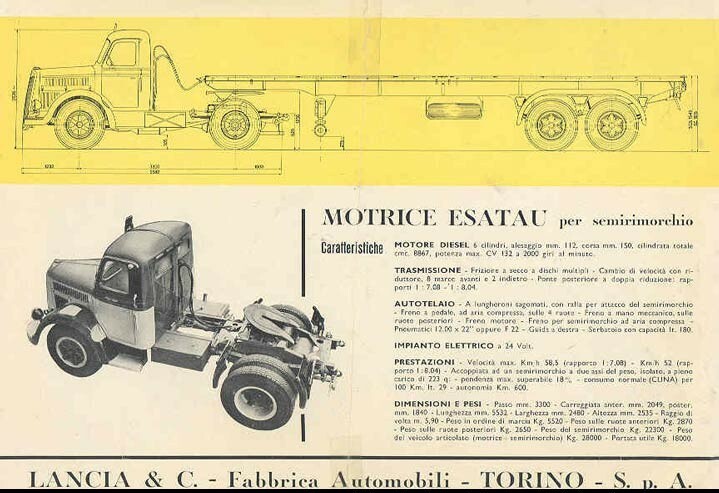 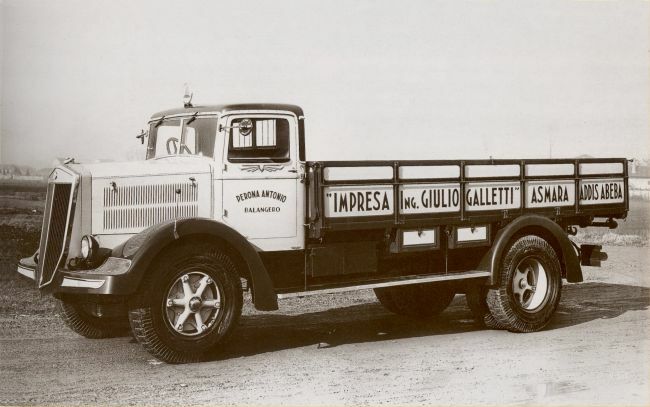 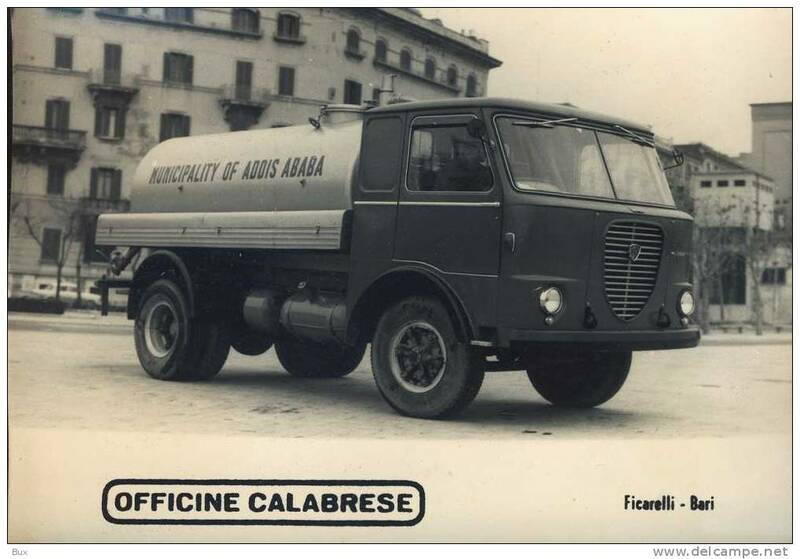 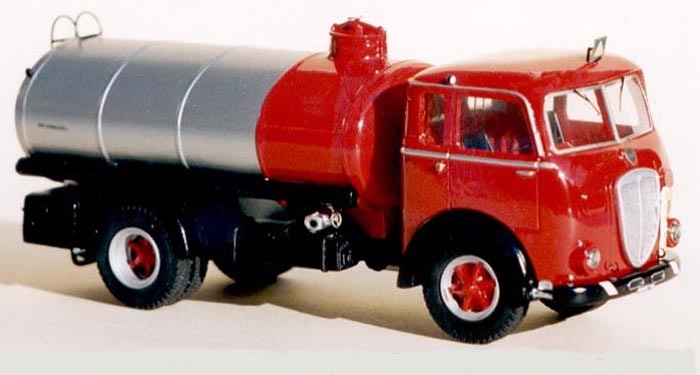 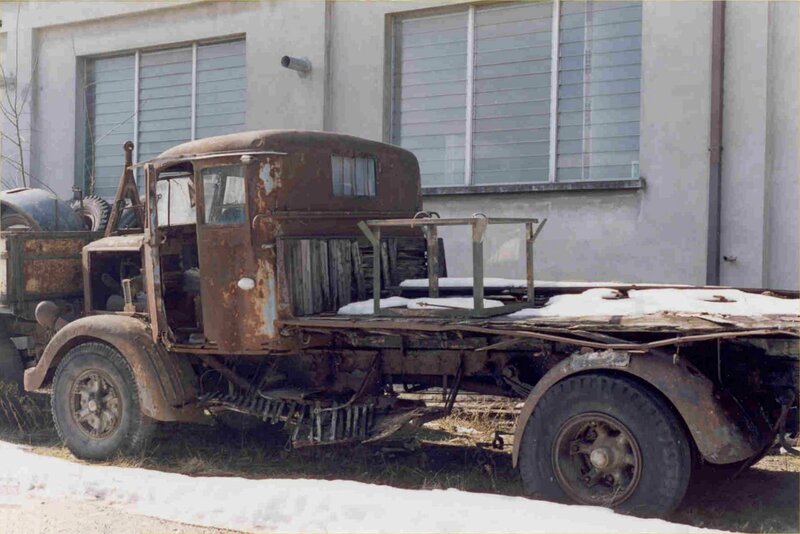 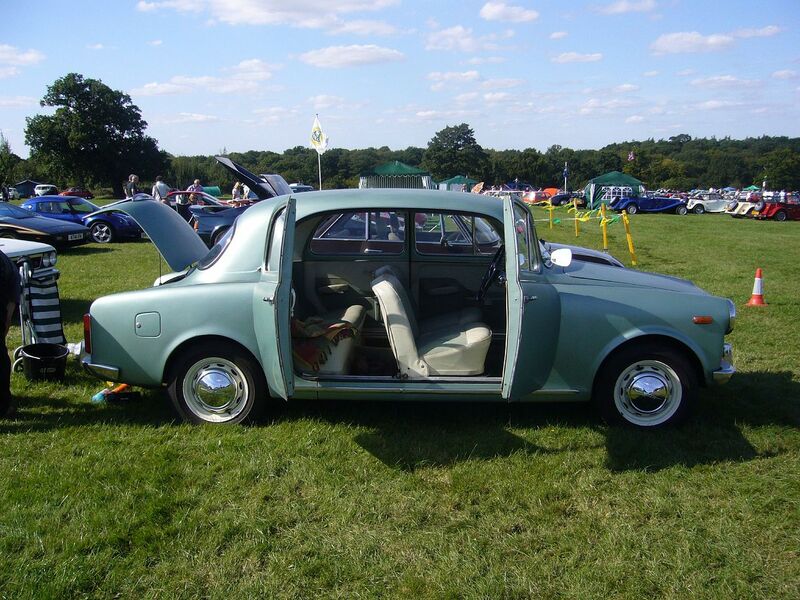 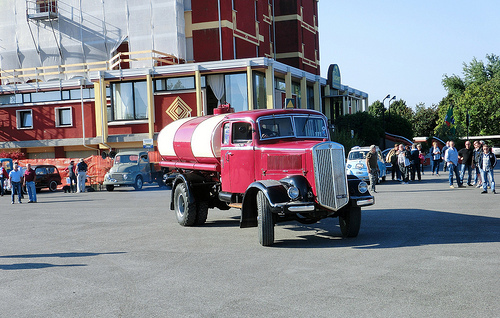 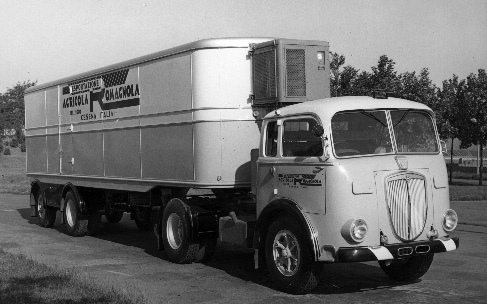 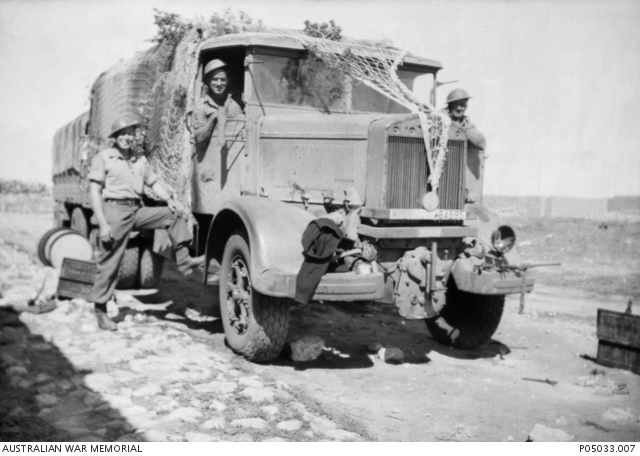 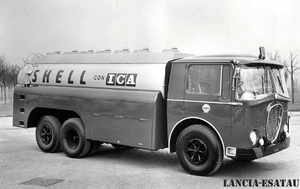 Other innovations involved the use of independent suspension in production cars (in an era where live axles where common practice for both the front and rear axles of a car) and rear transaxles, which were first fitted to the Aurelia and Flaminia range. 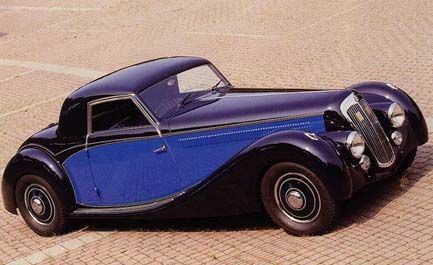 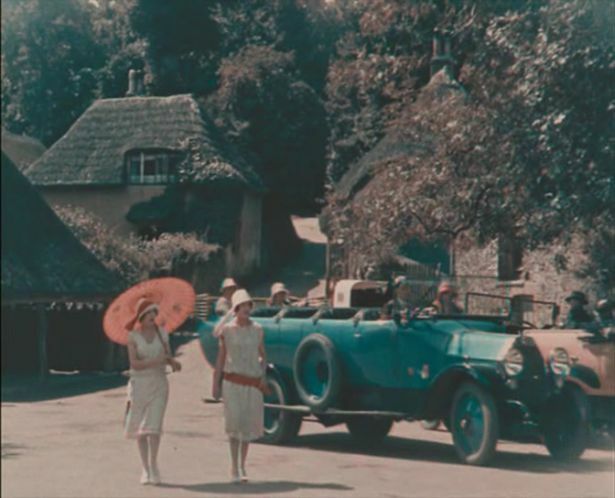 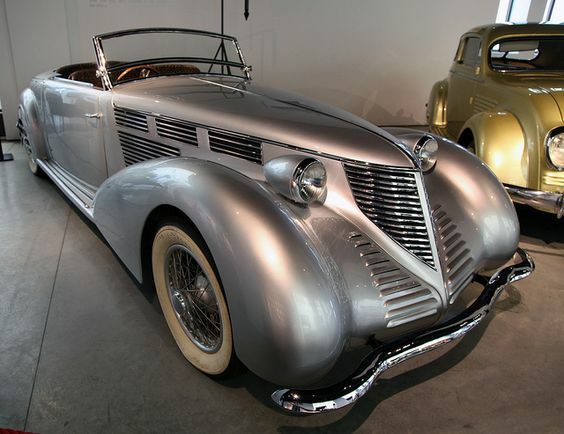 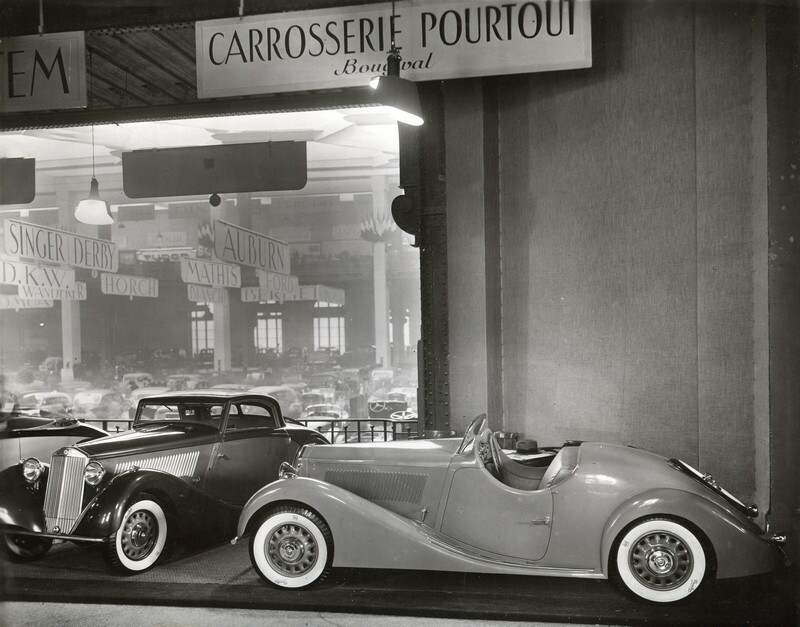 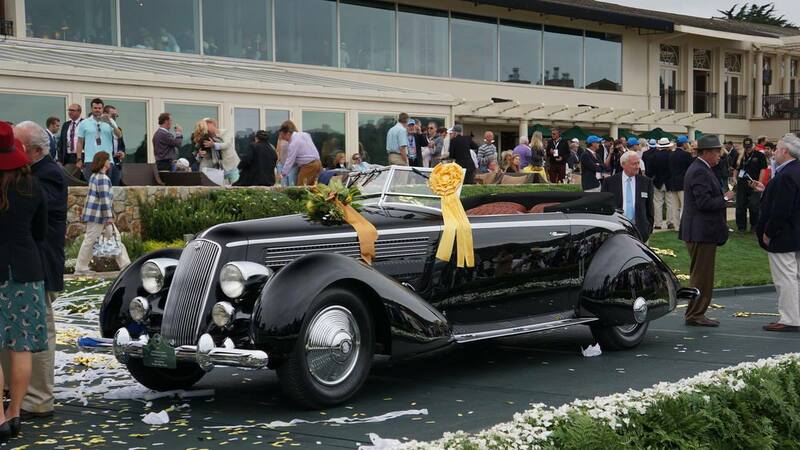 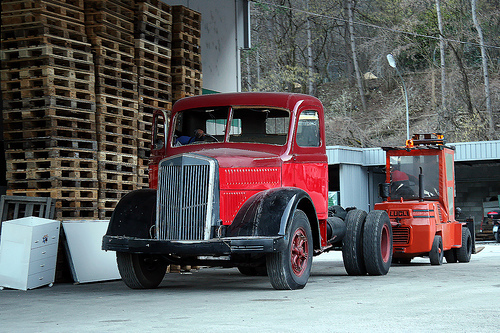 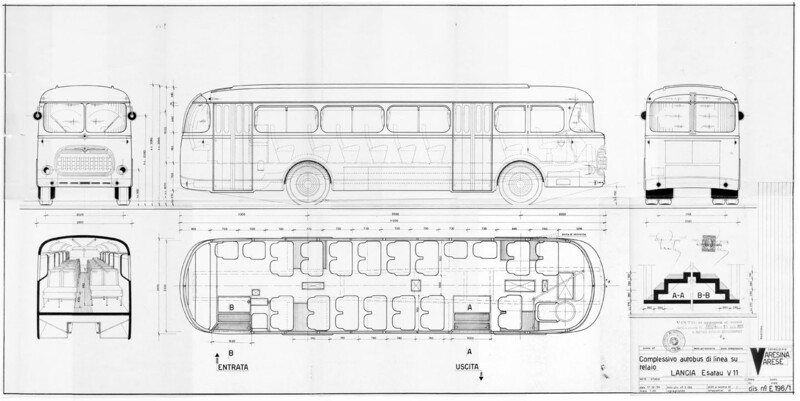 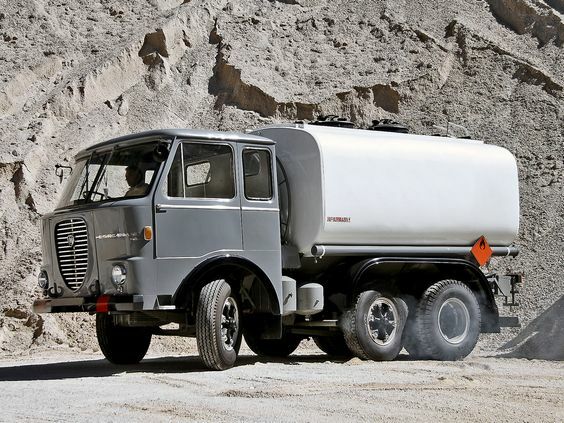 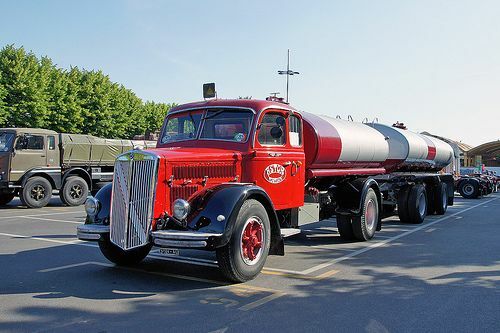 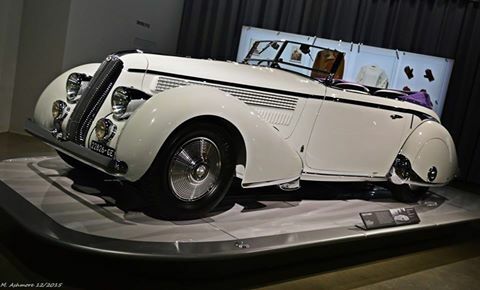 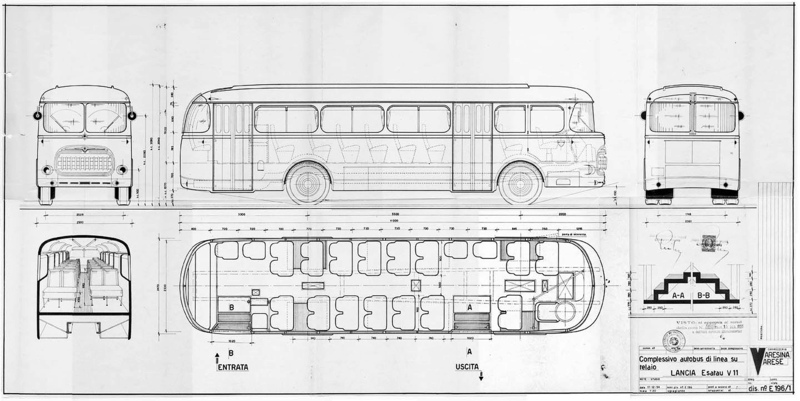 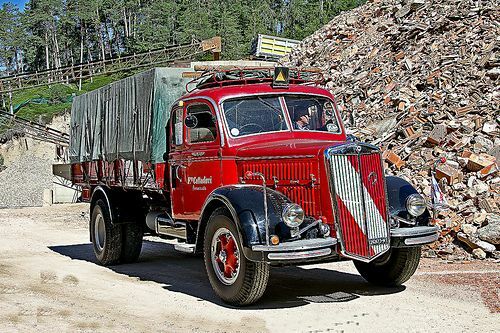 This drive for innovation, constant quest for excellence, fixation of quality, complex construction processes and antiqued production machinery meant that all cars essentially had to be hand-made. 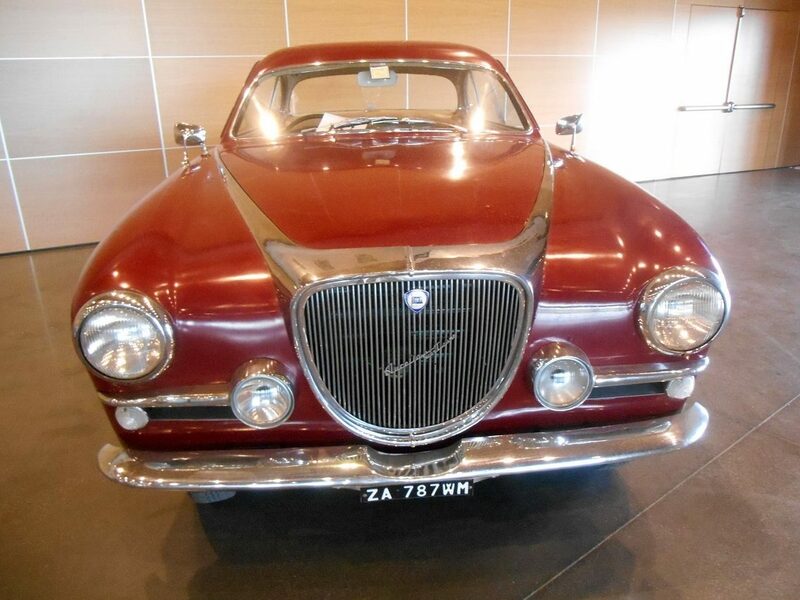 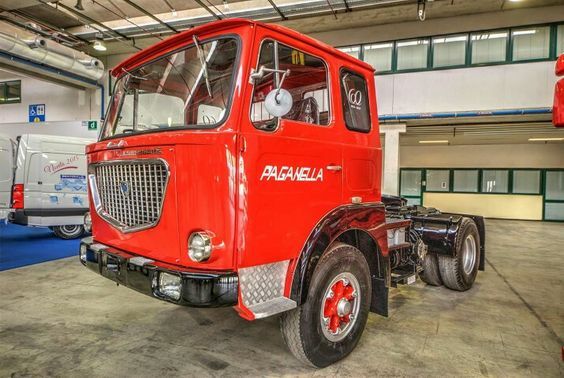 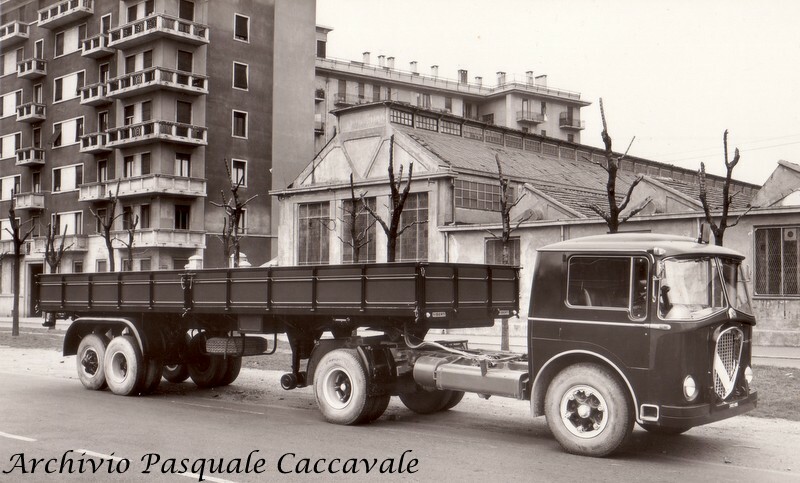 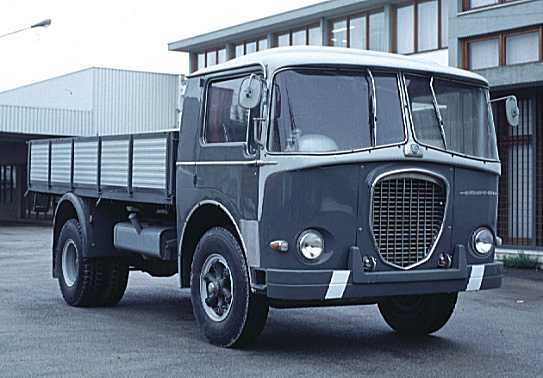 With little commonality between the various models, the cost of production continued to increase extensively, while demand did not eventually affecting Lancia’s viability. 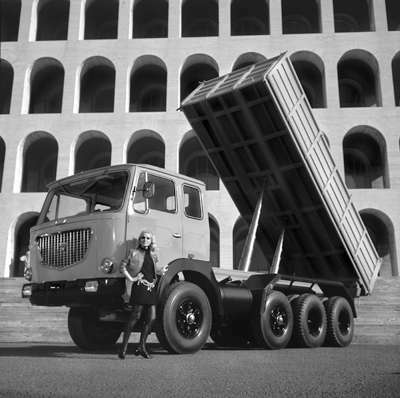 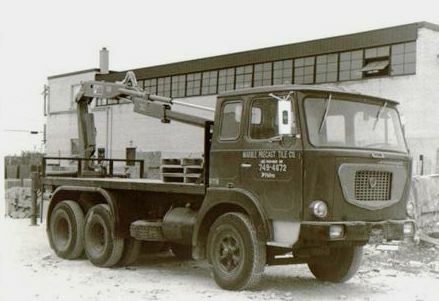 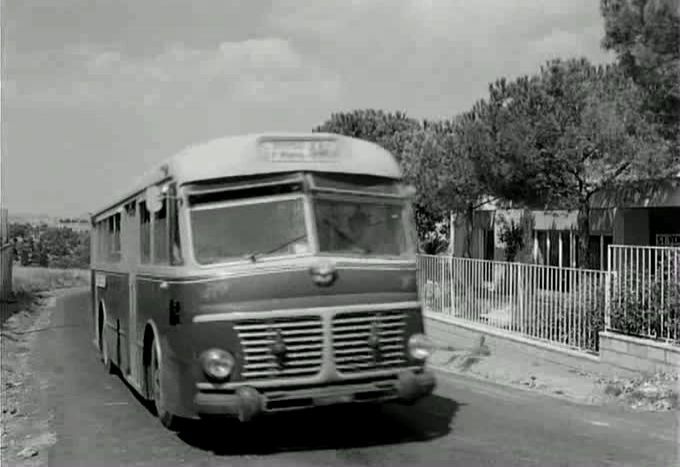 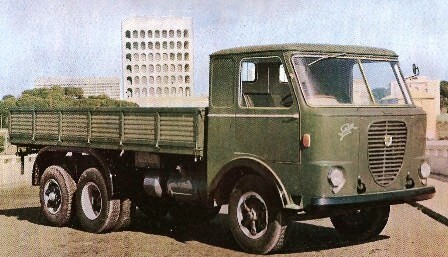 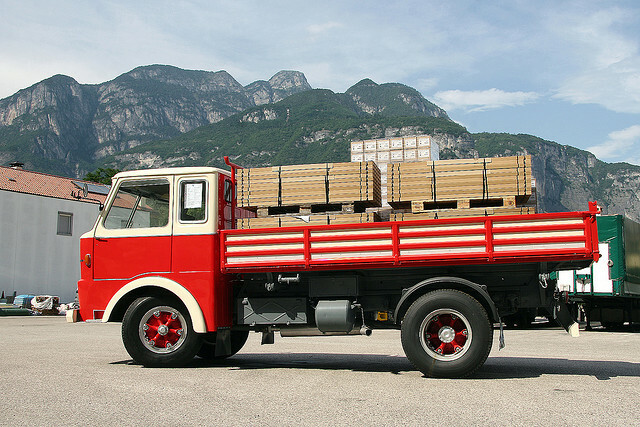 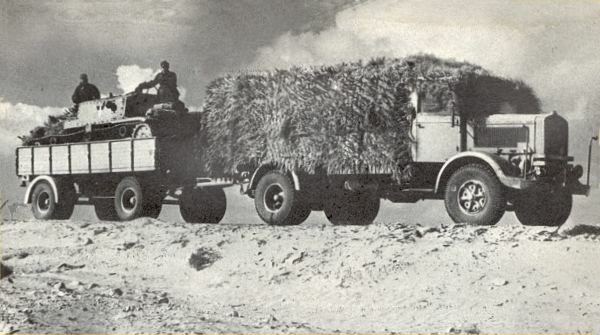 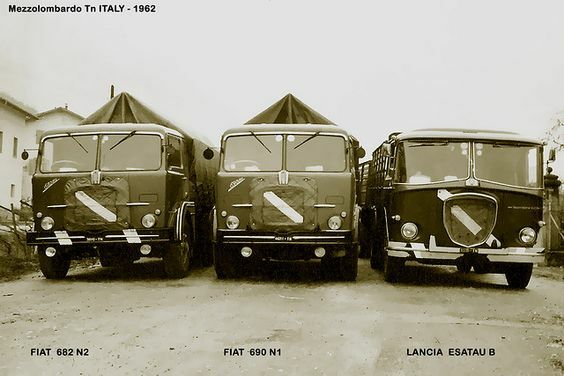 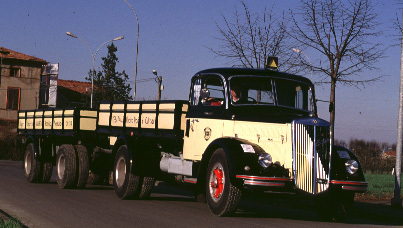 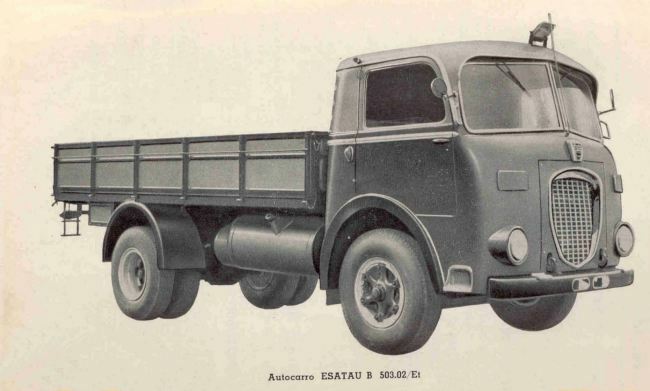 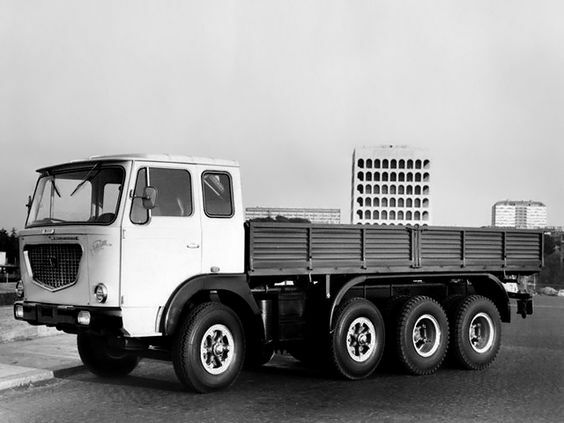 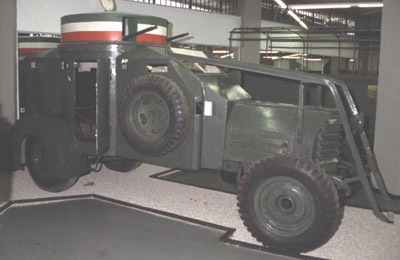 Starting from 1 February 2007, Fiat’s automotive operations were reorganised. 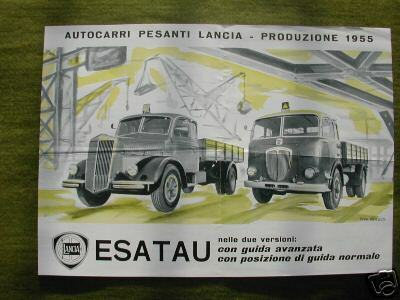 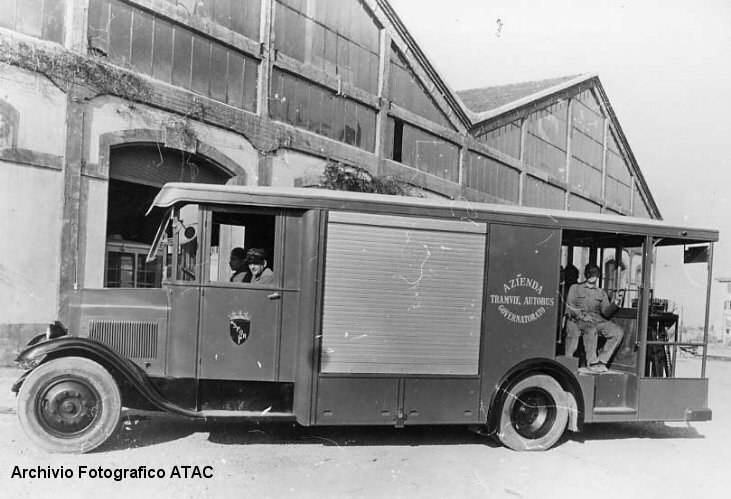 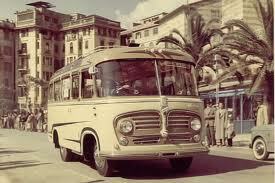 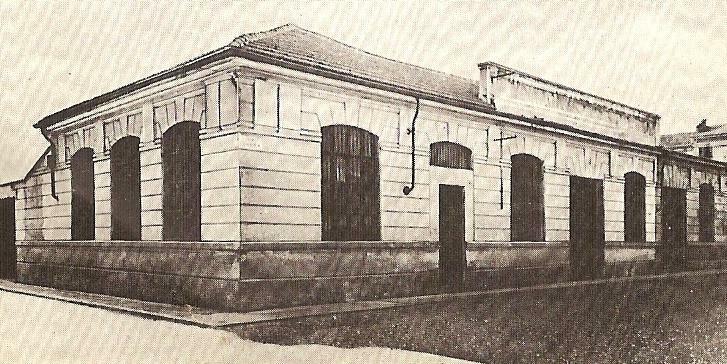 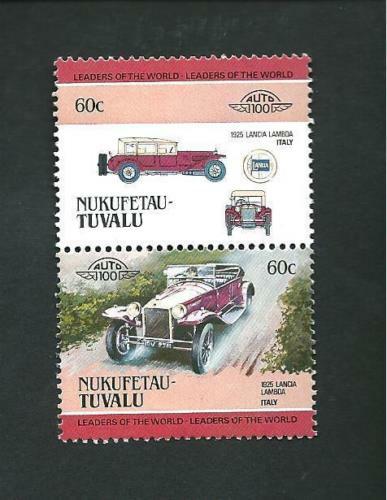 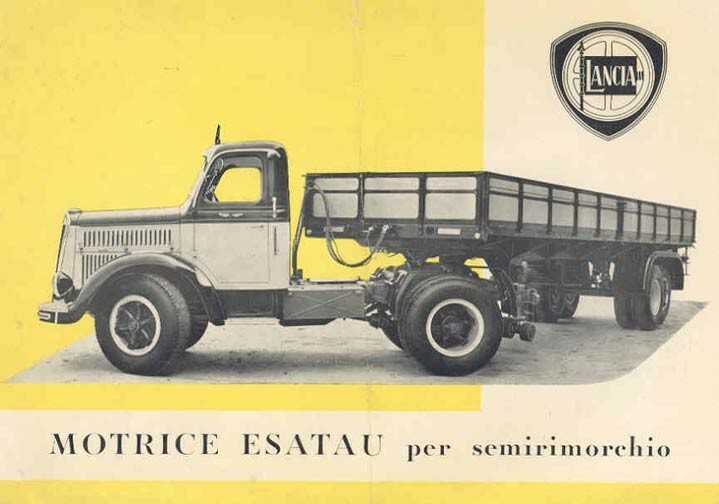 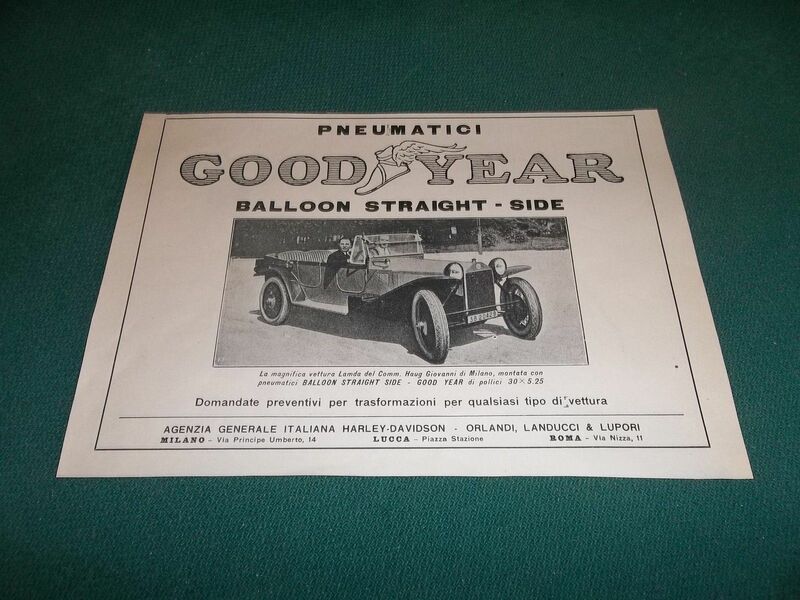 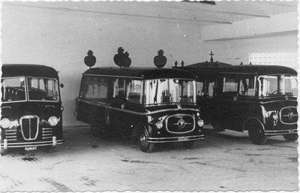 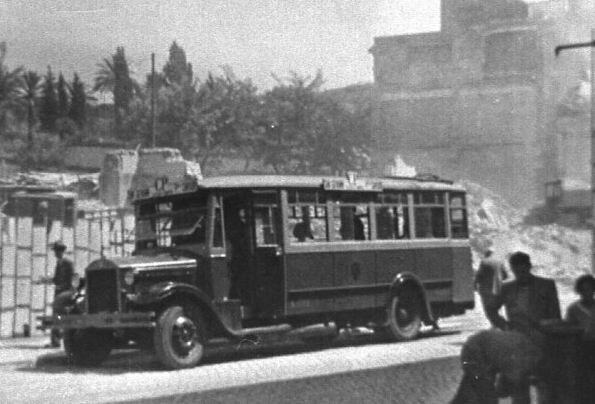 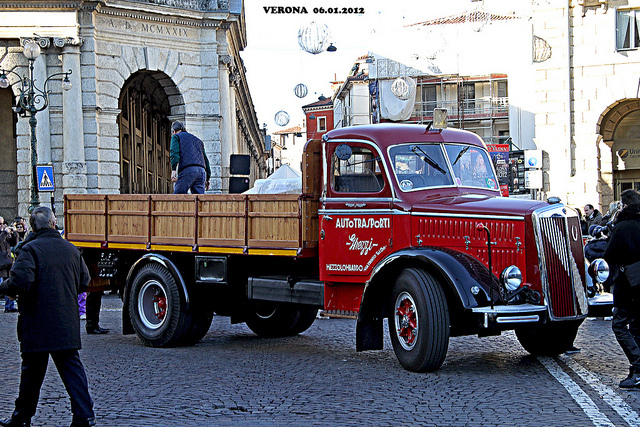 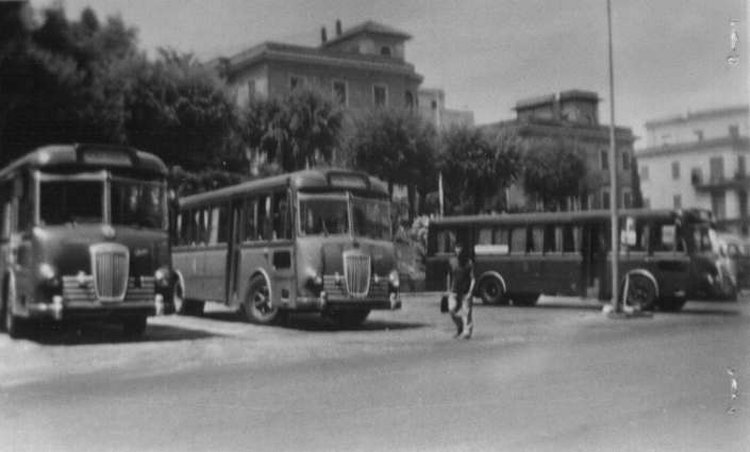 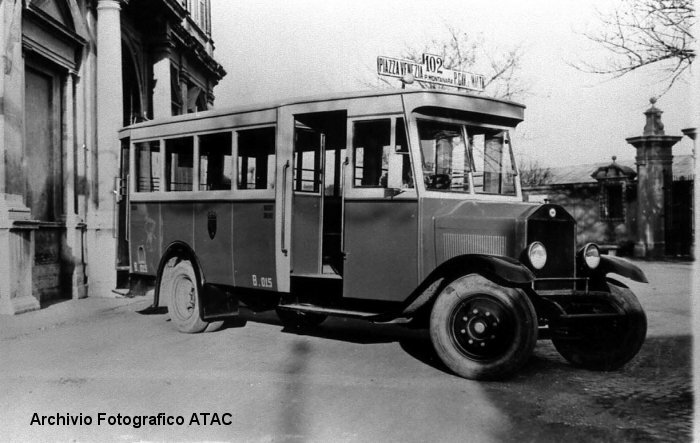 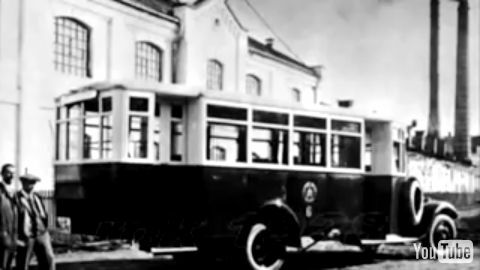 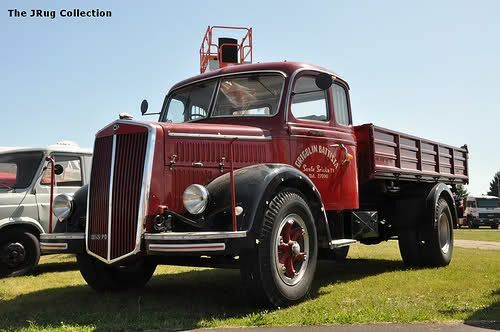 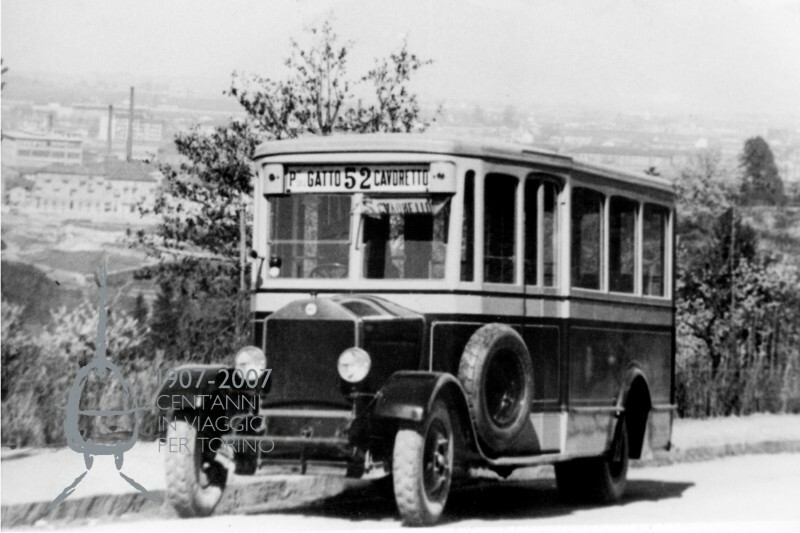 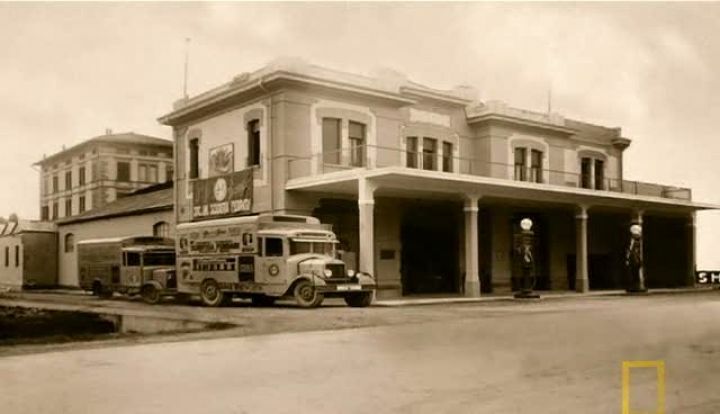 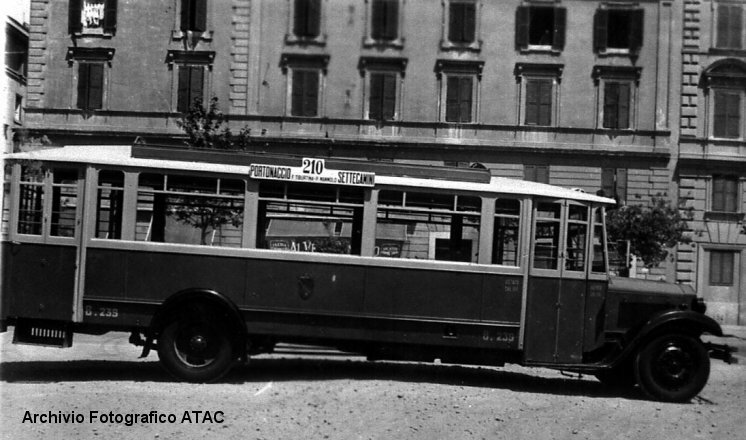 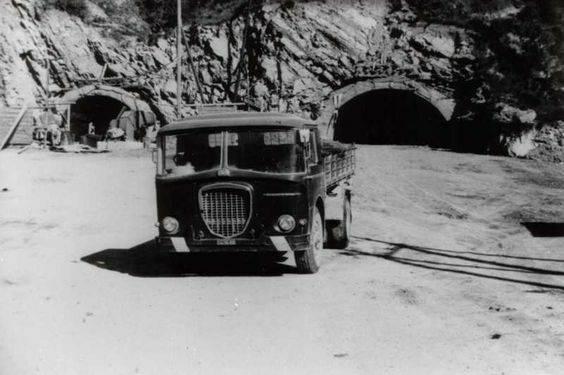 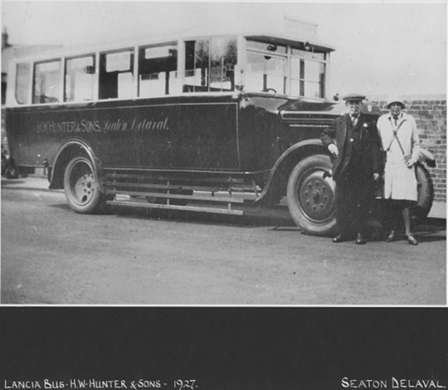 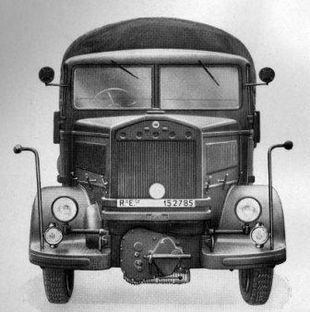 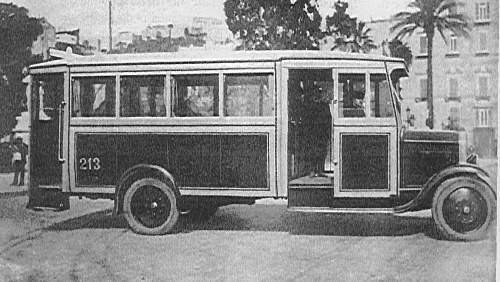 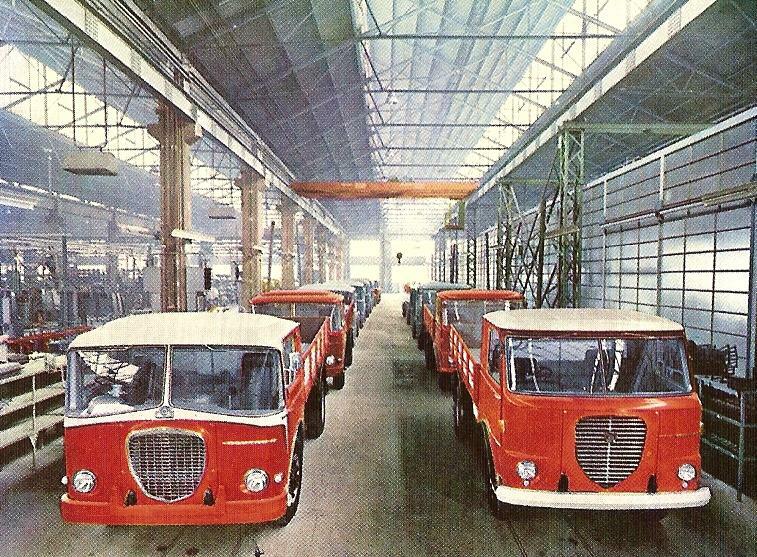 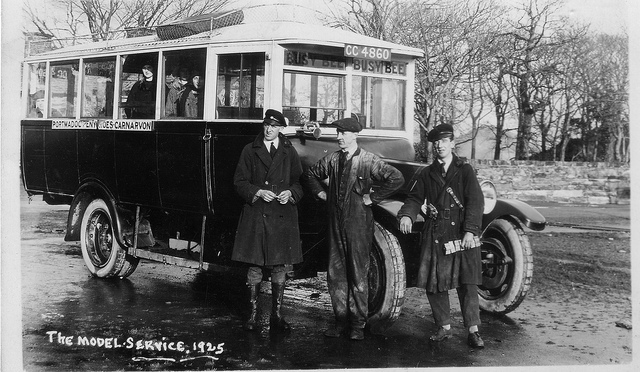 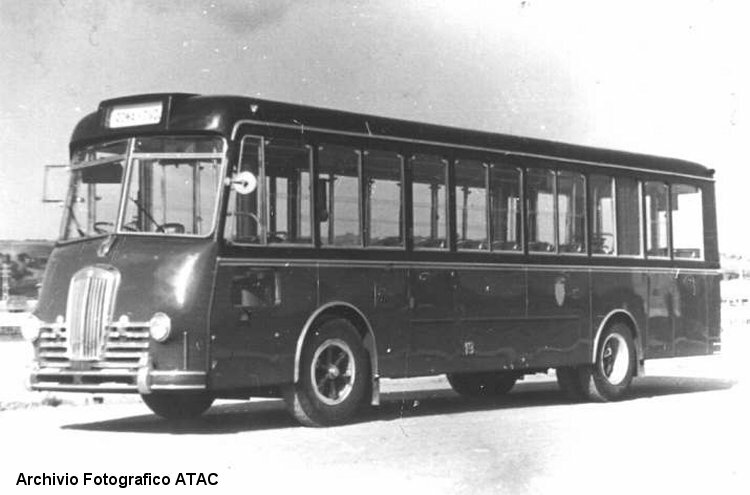 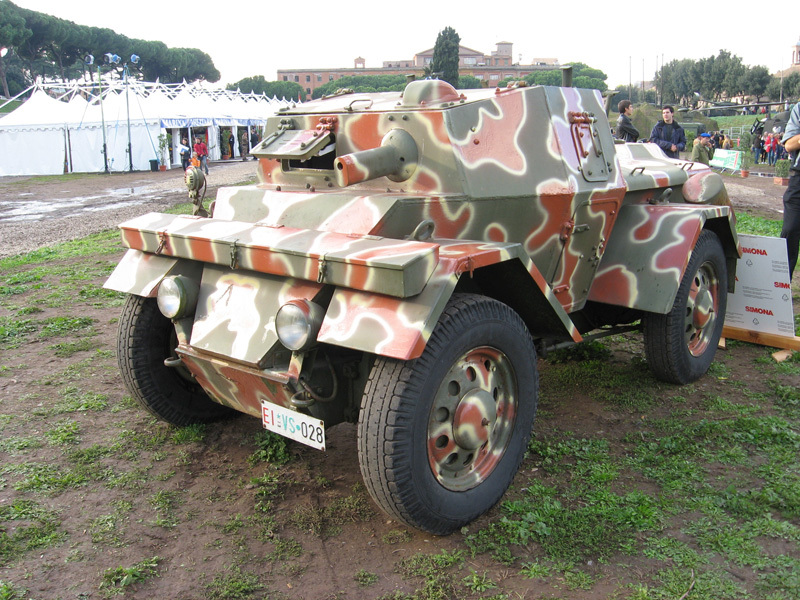 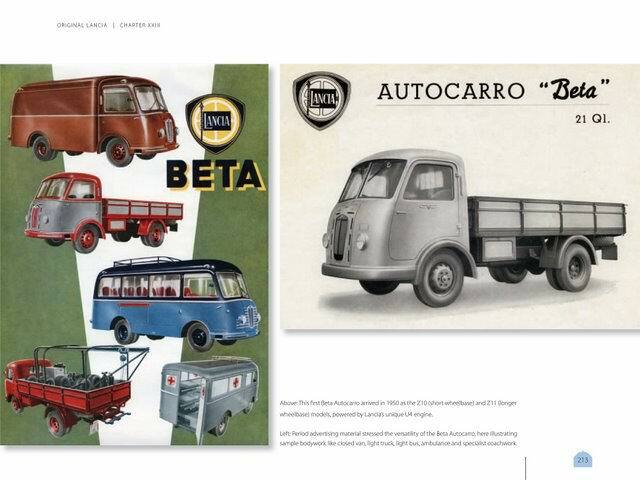 Fiat Auto became Fiat Group Automobiles S.p.A., Fiat S.p.A.‘s branch handling mainstream automotive production. 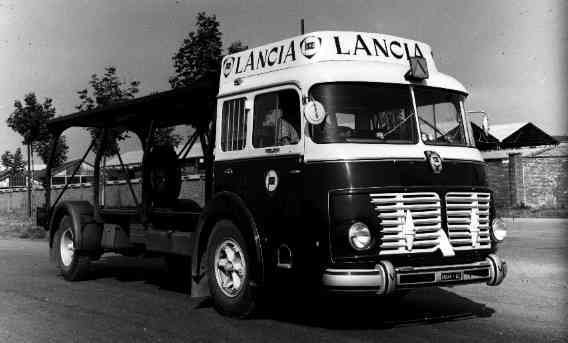 Simultaneously the current company, Lancia Automobiles S.p.A., was created from the pre-existing brand, and controlled 100% by FGA. 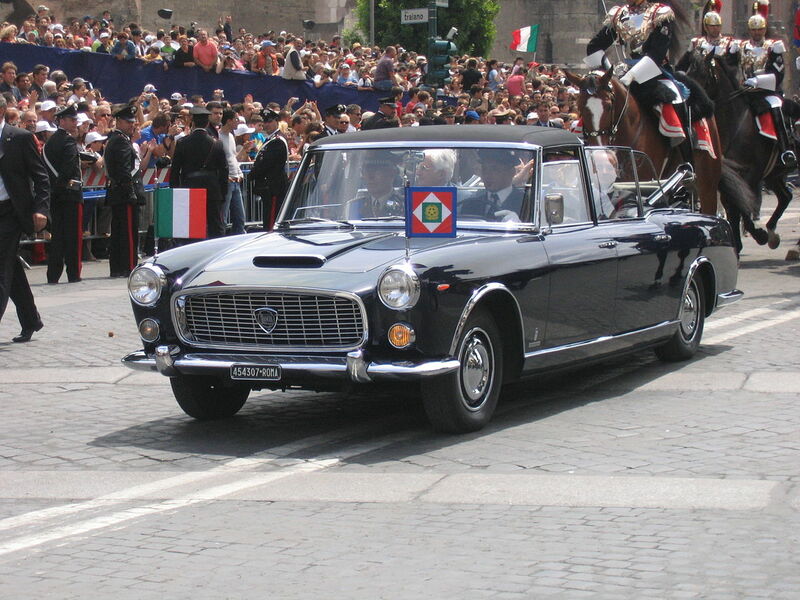 In 2011, Lancia moved in a new direction and added new models manufactured by Chrysler and sold under the Lancia badge in many European markets. 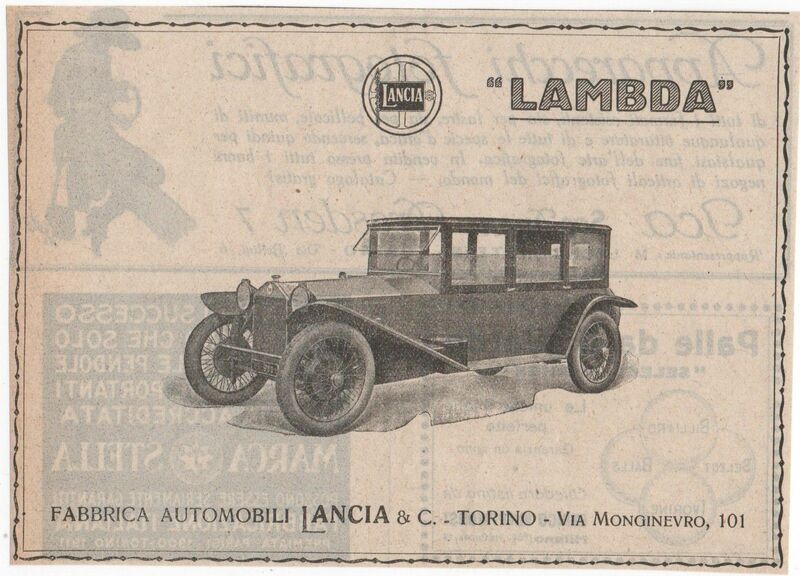 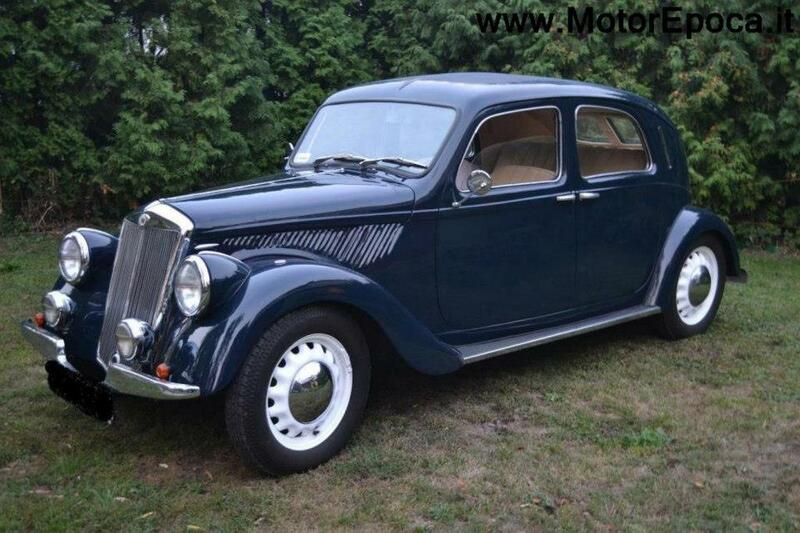 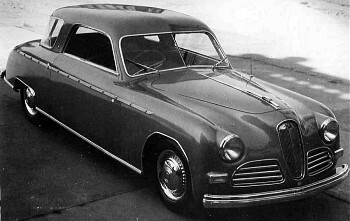 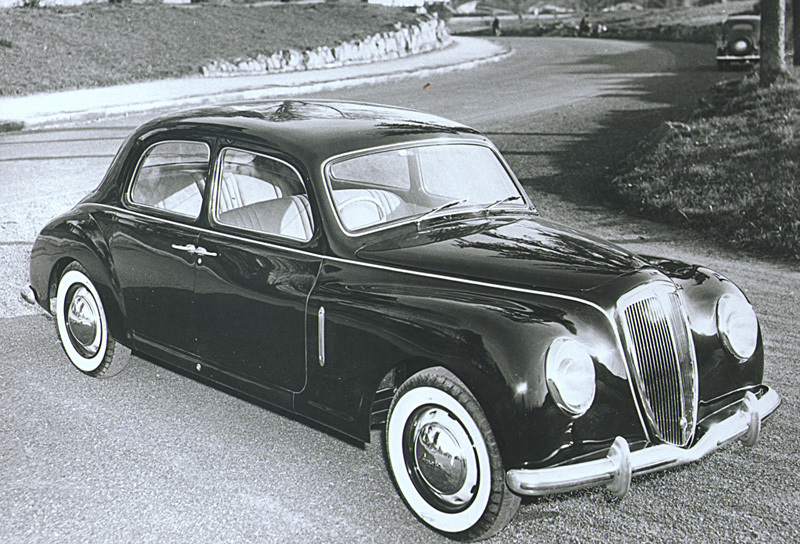 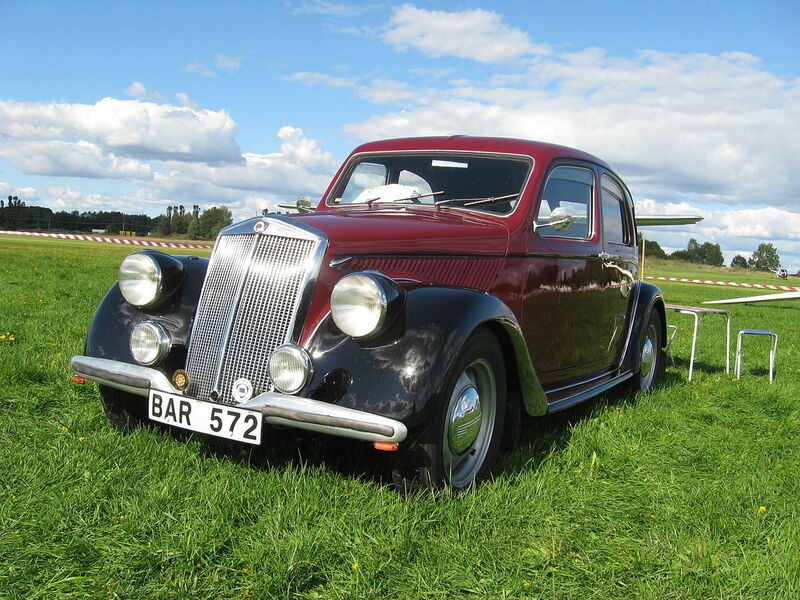 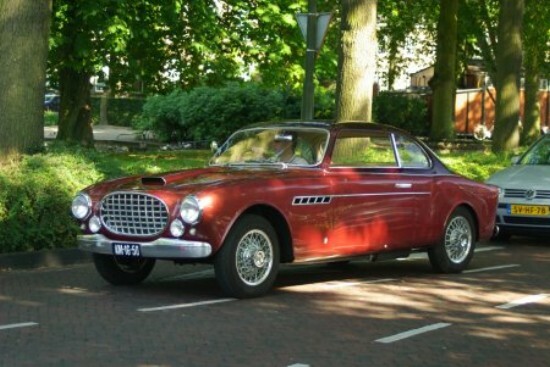 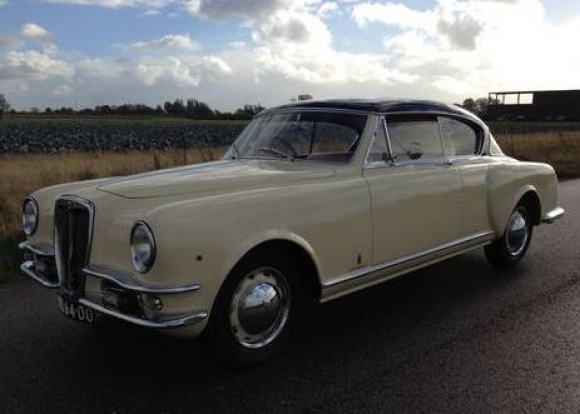 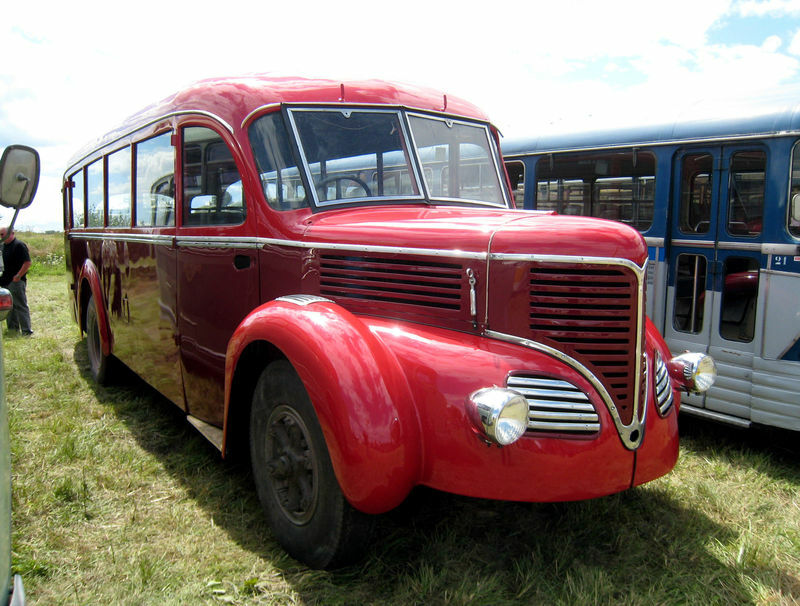 Conversely, Lancia built models began to be sold in right-hand drive markets under the Chrysler badge. 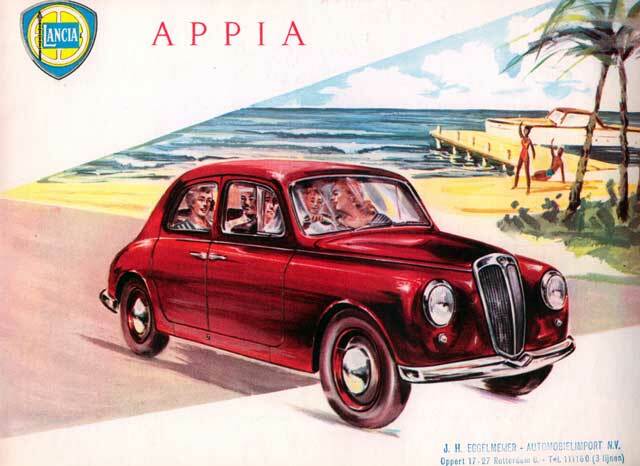 In 2015 Lancia’s parent company Fiat Group Automobiles S.p.A. became FCA Italy S.p.A., reflecting the earlier incorporation of Fiat S.p.A. into Fiat Chrysler Automobiles. 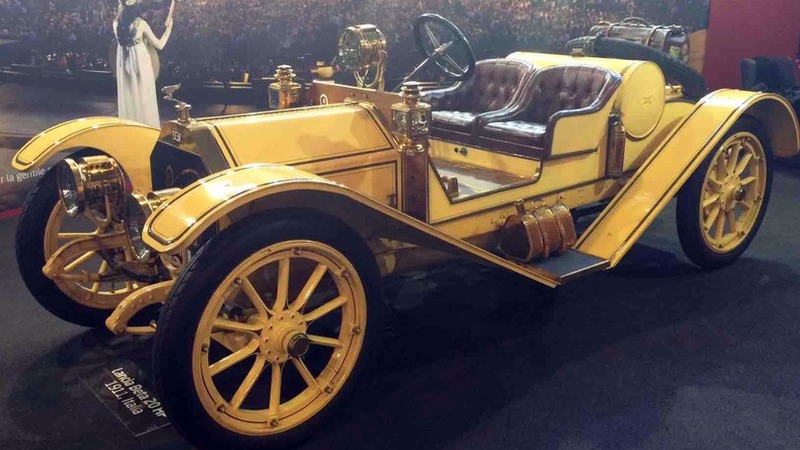 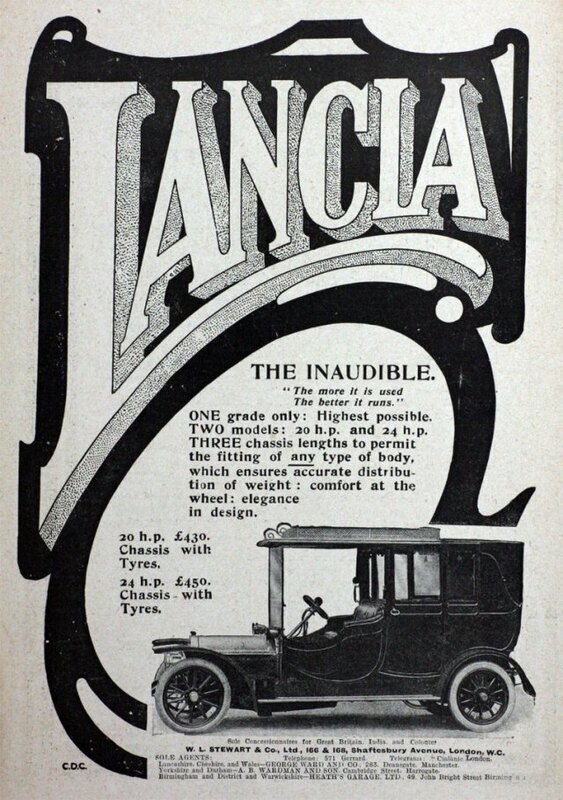 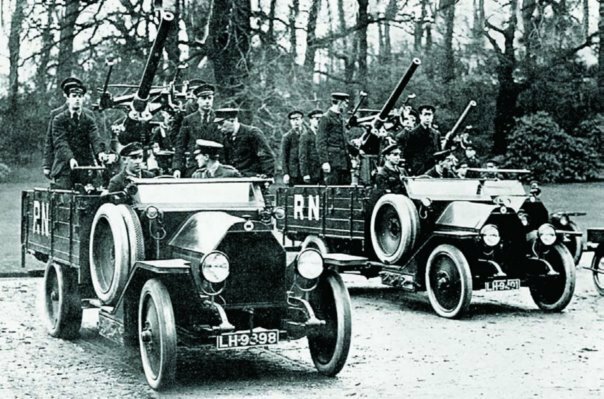 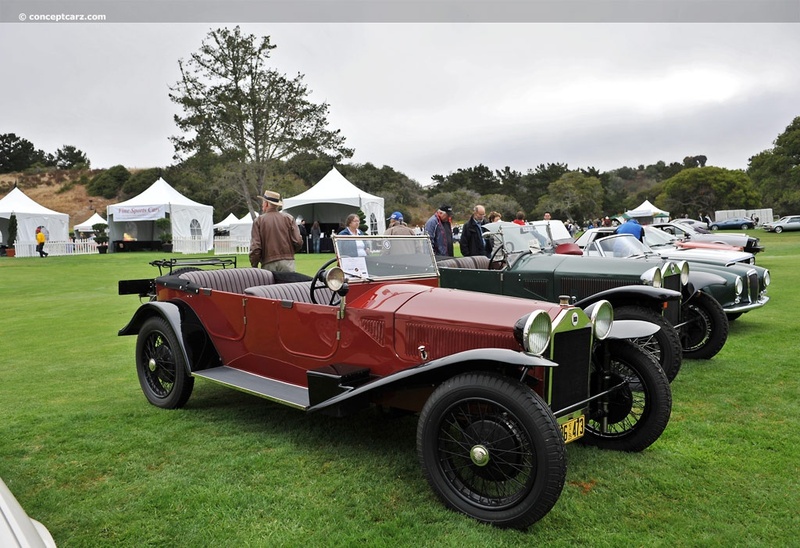 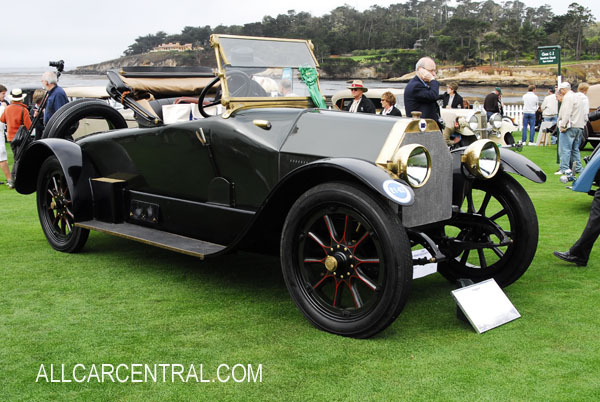 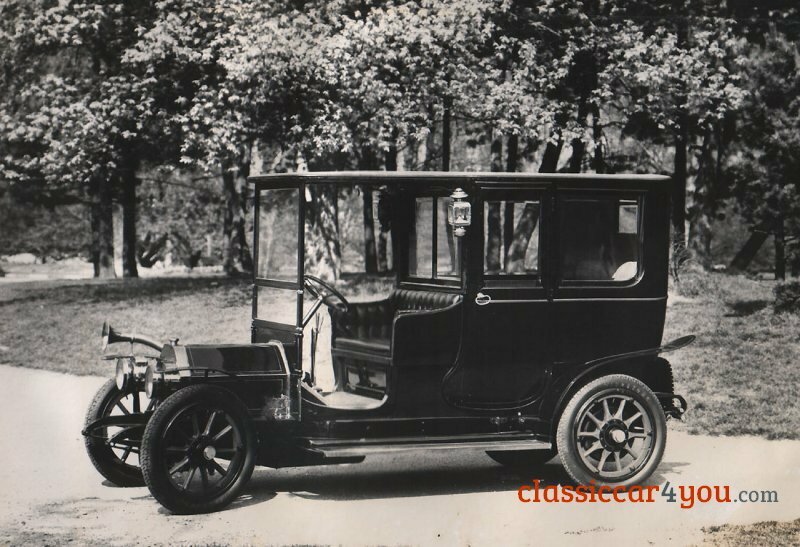 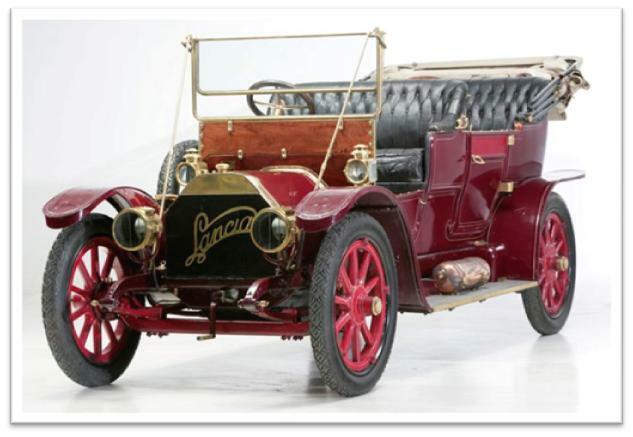 From 1907 to 1910 Lancia cars didn’t bear a true badge, but rather a brass plaque identifying the manufacturer (Lancia & C.) and chassis code; although some models did have a brass Lancia script on the grille. 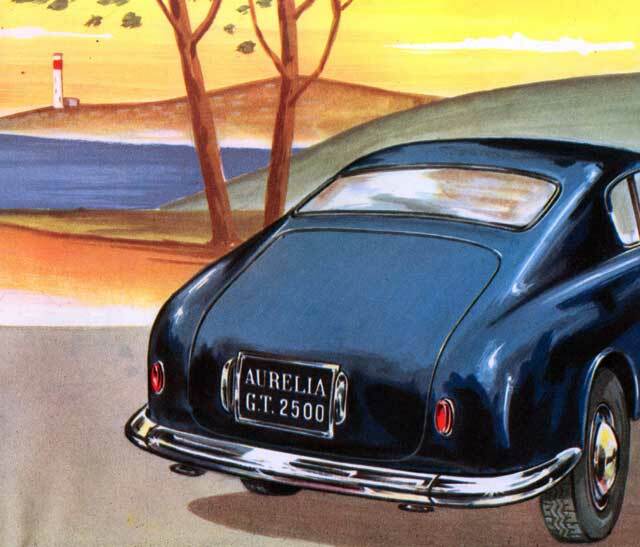 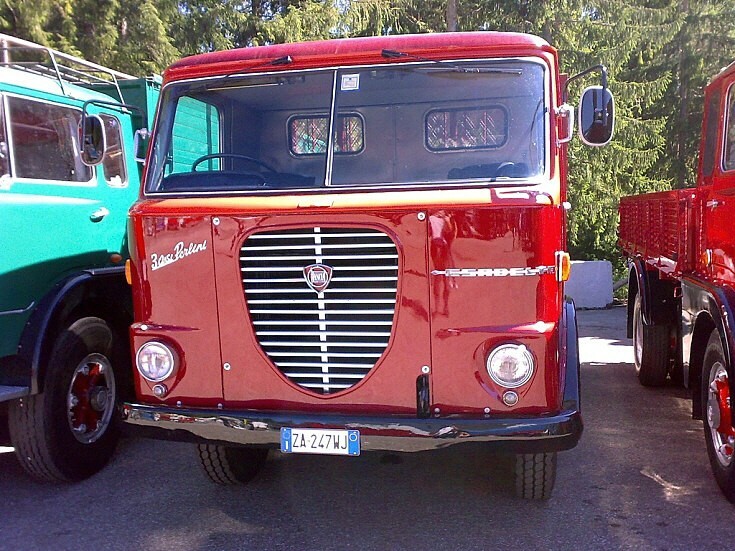 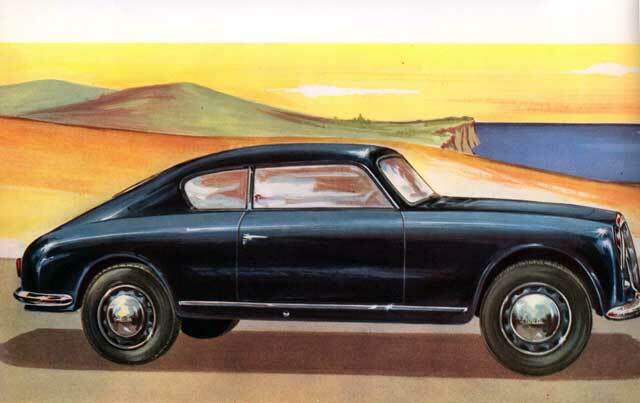 The original Lancia logo was designed by Count Carlo Biscaretti di Ruffia. 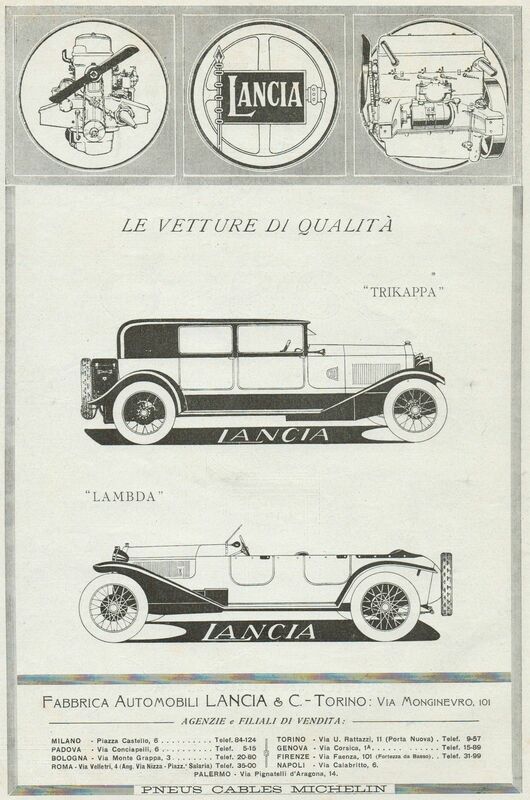 In 1910 Vincenzo Lancia asked Biscaretti di Ruffia to design a badge for the company; the Count submitted six watercolour proposal sketches. 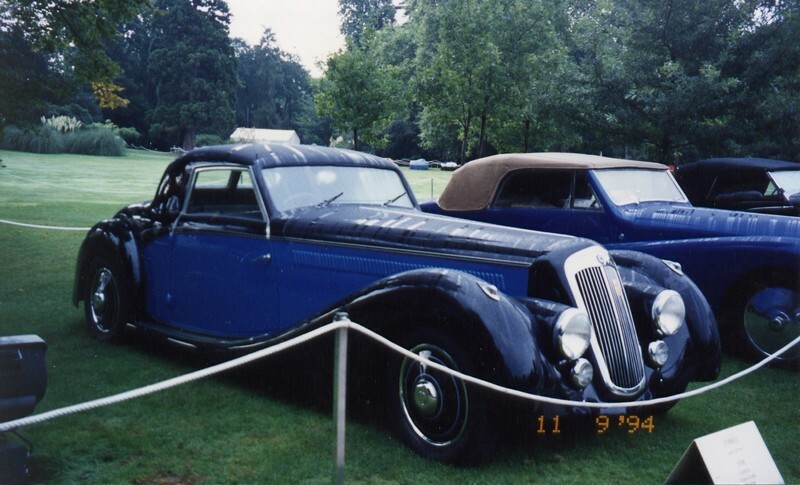 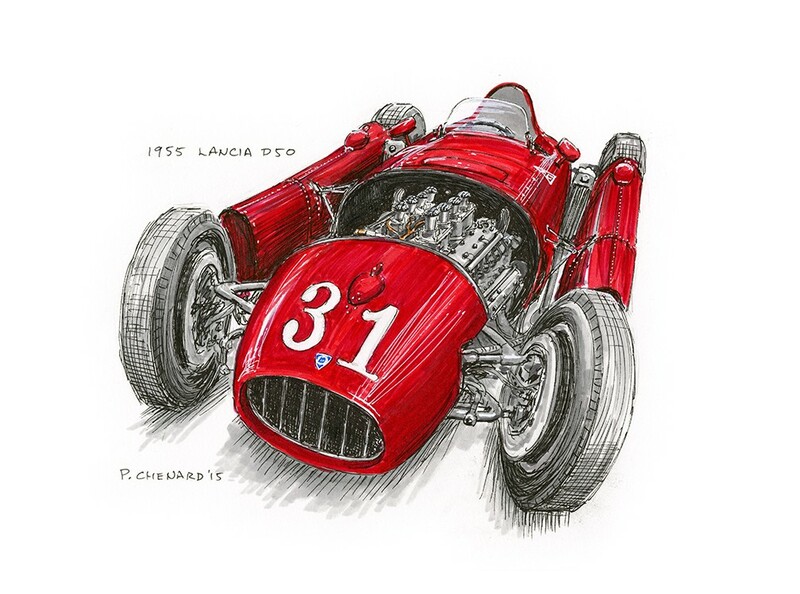 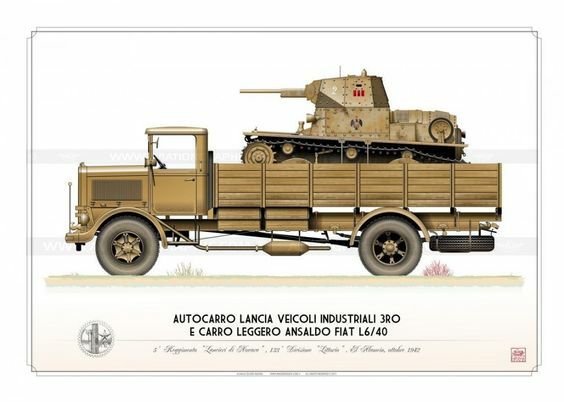 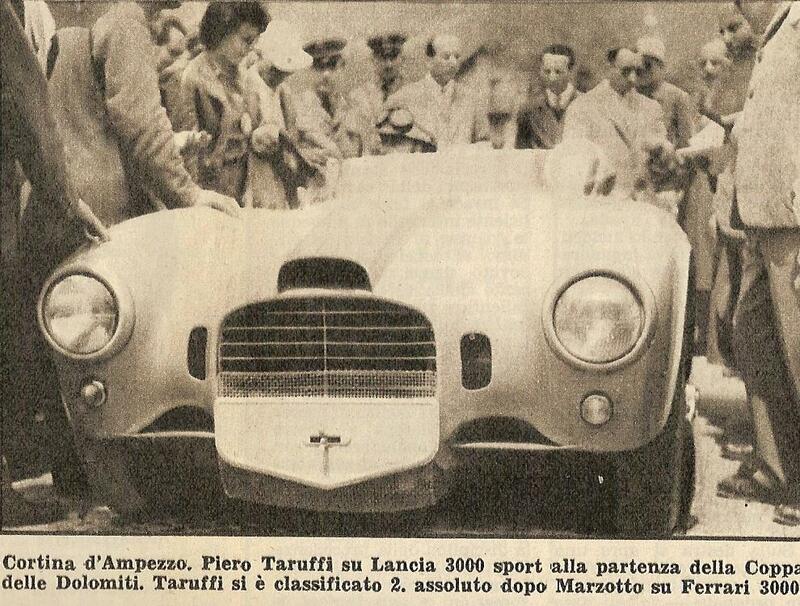 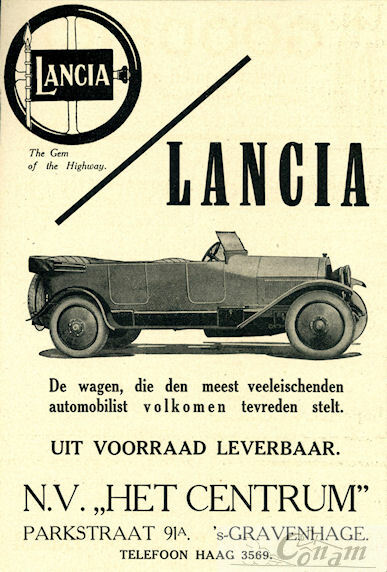 Vincenzo Lancia chose a round one, composed by a blue lance and flag bearing a Lancia script (“Lancia” means “lance” in Italian) in gold, over a four-spoke steering wheel, with a hand throttle detail on the right spoke. 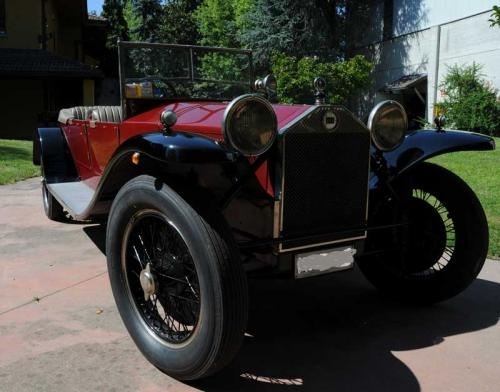 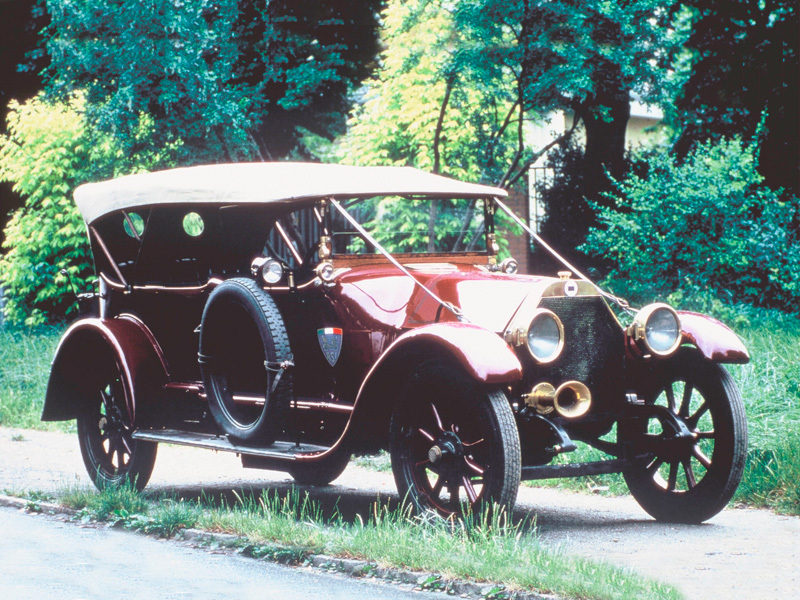 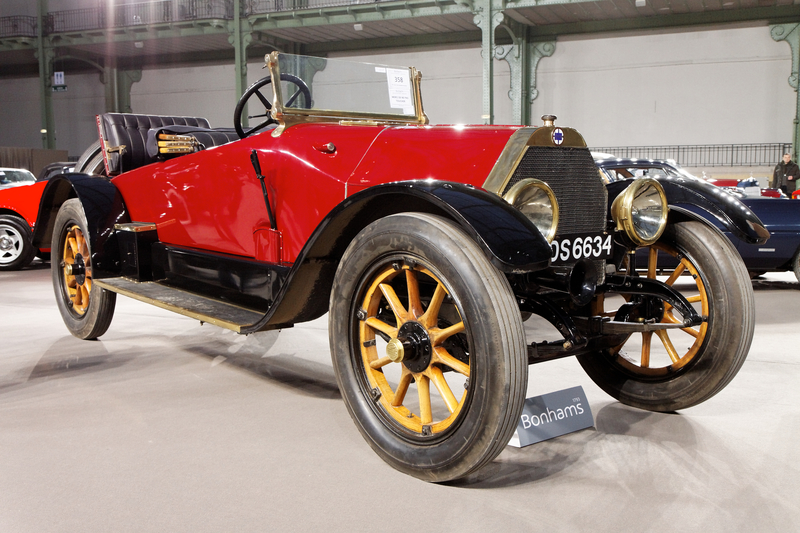 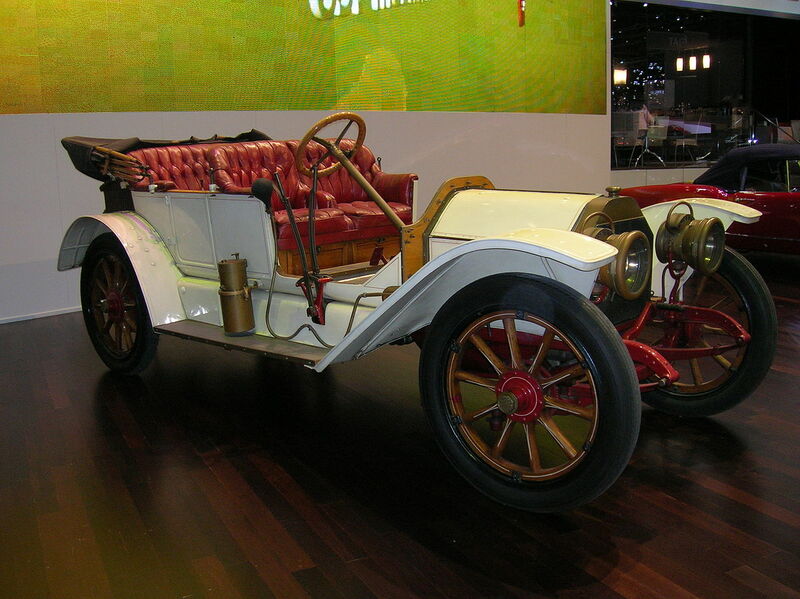 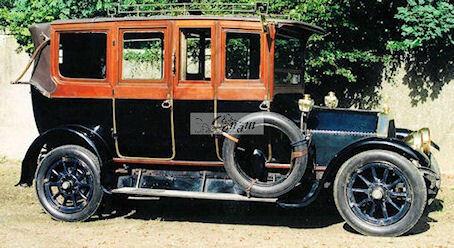 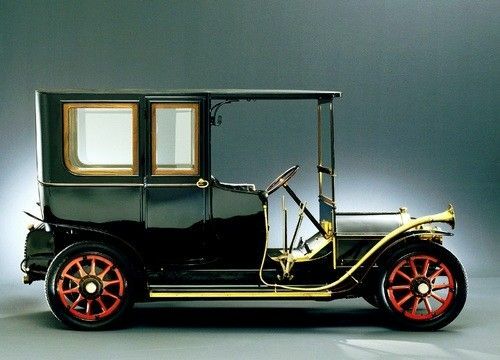 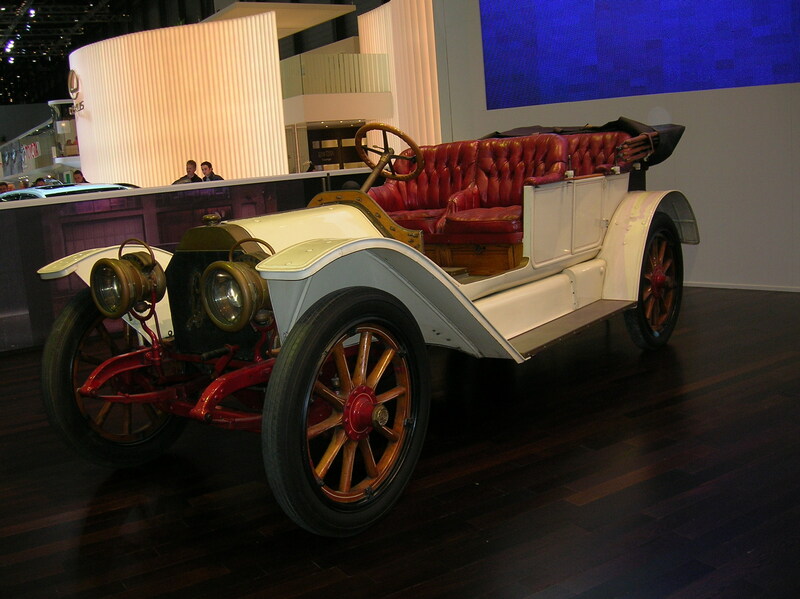 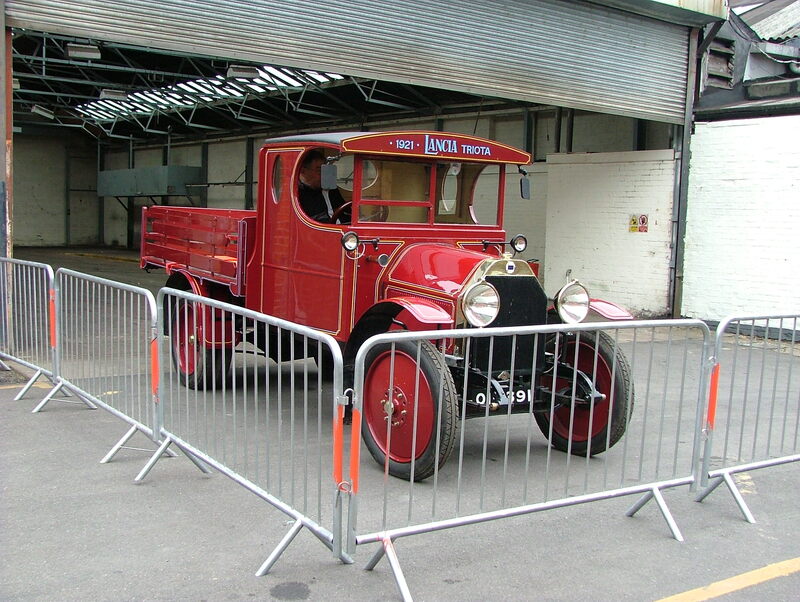 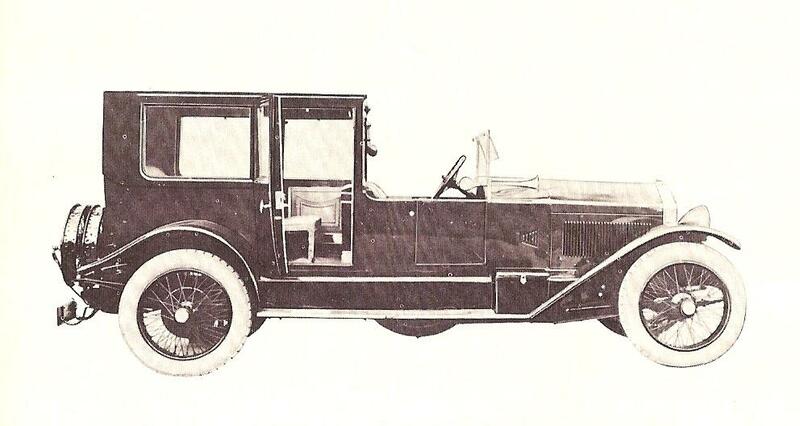 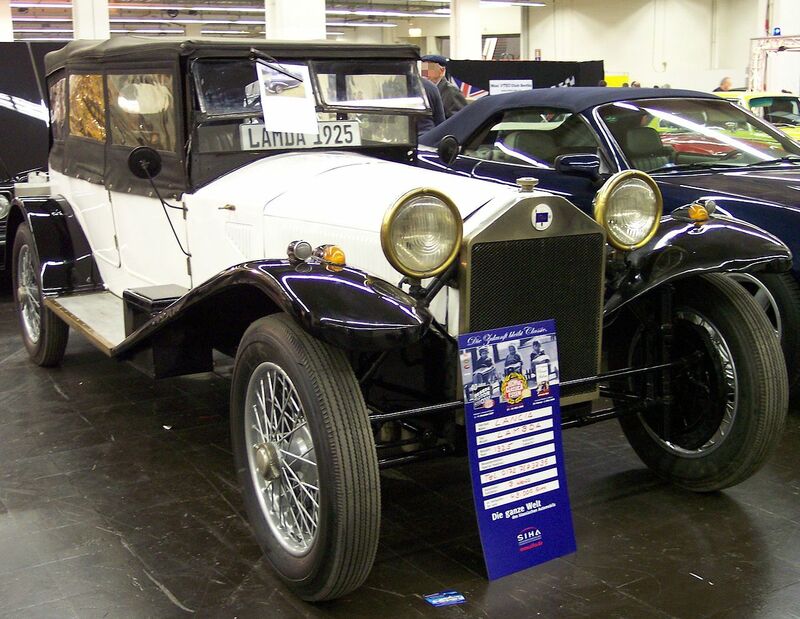 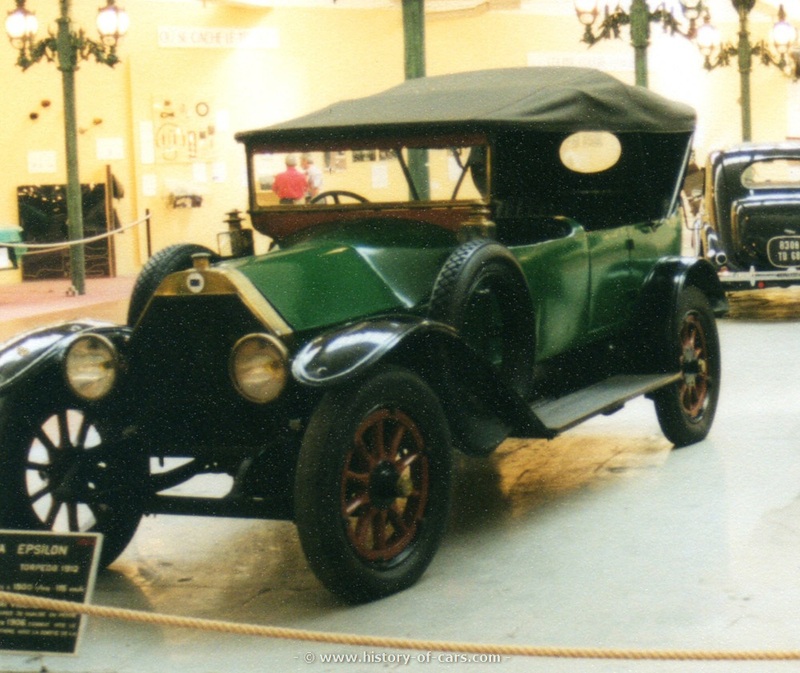 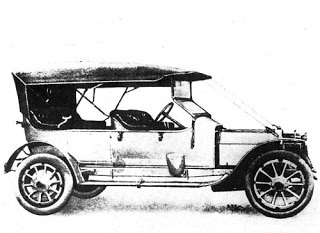 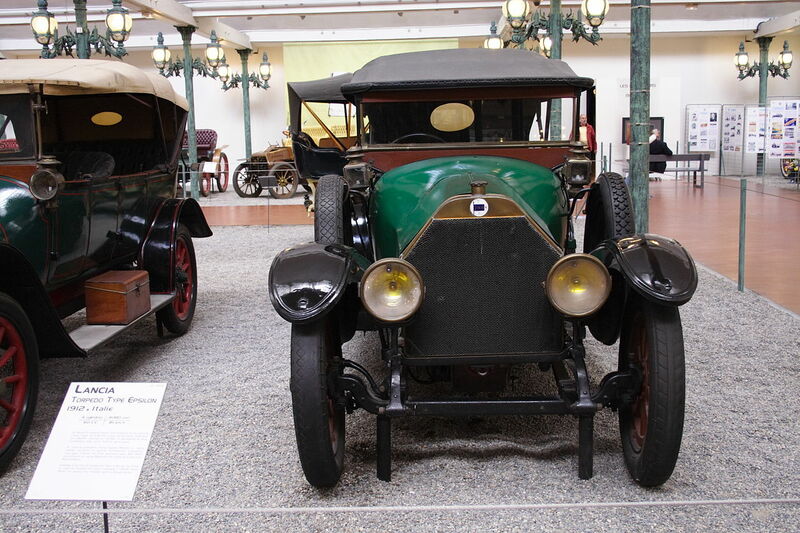 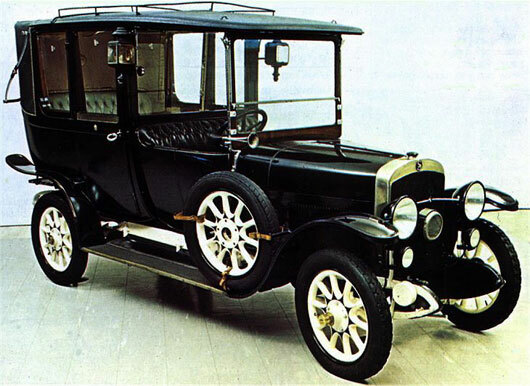 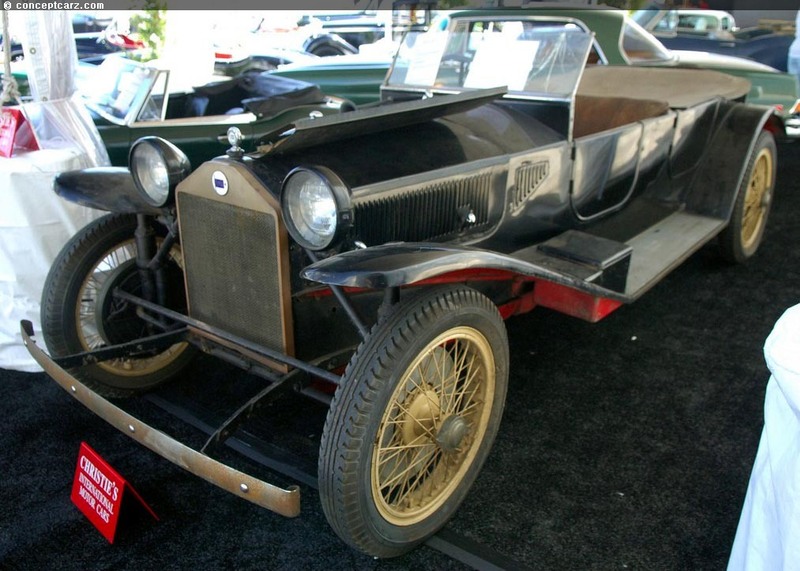 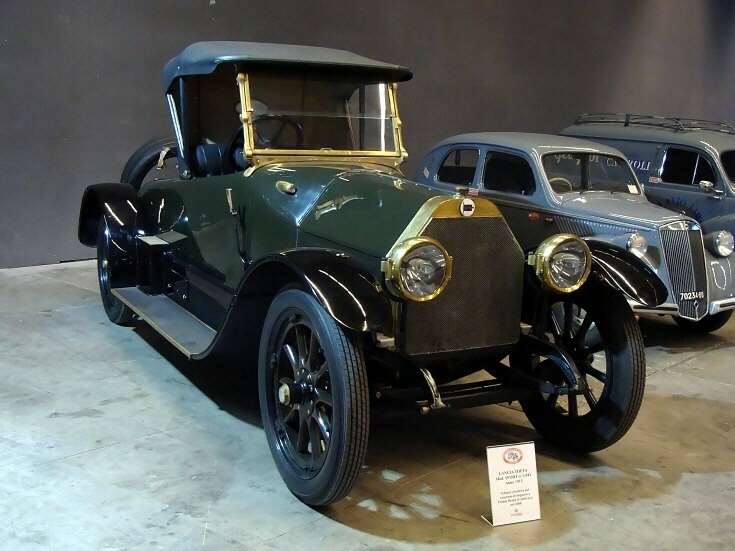 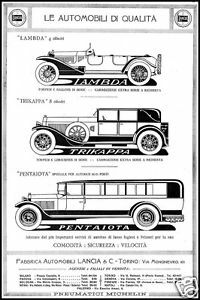 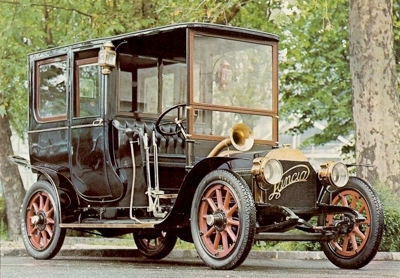 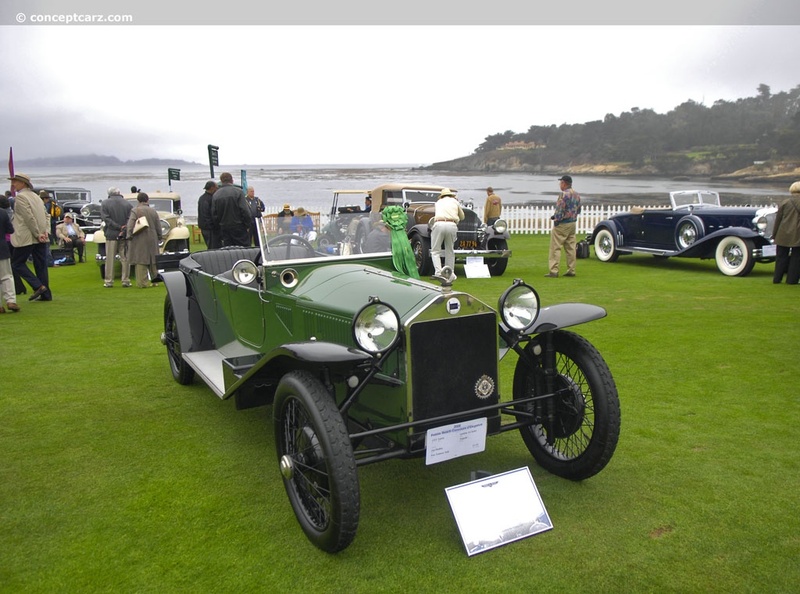 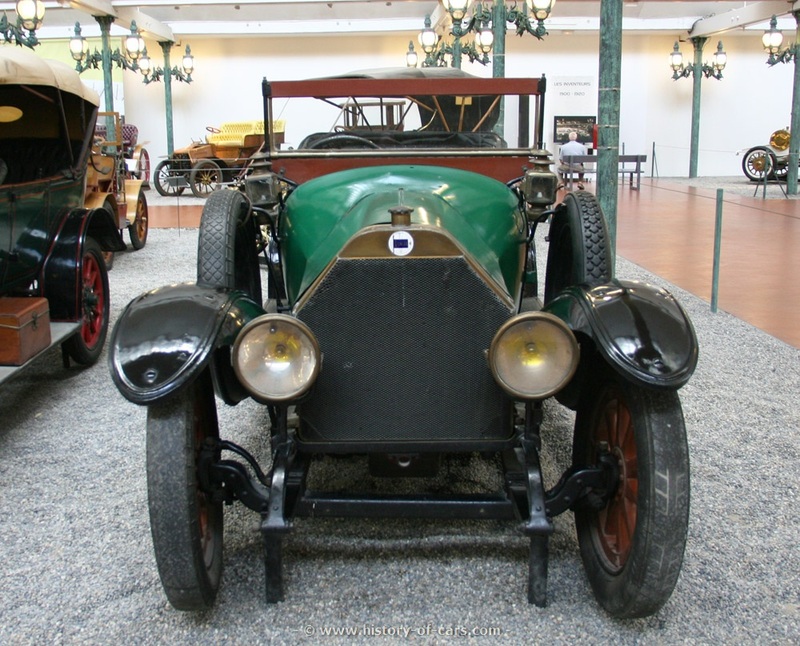 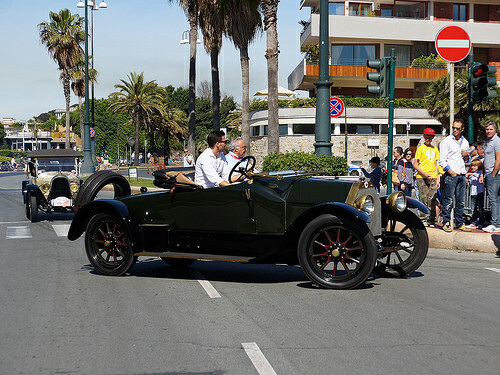 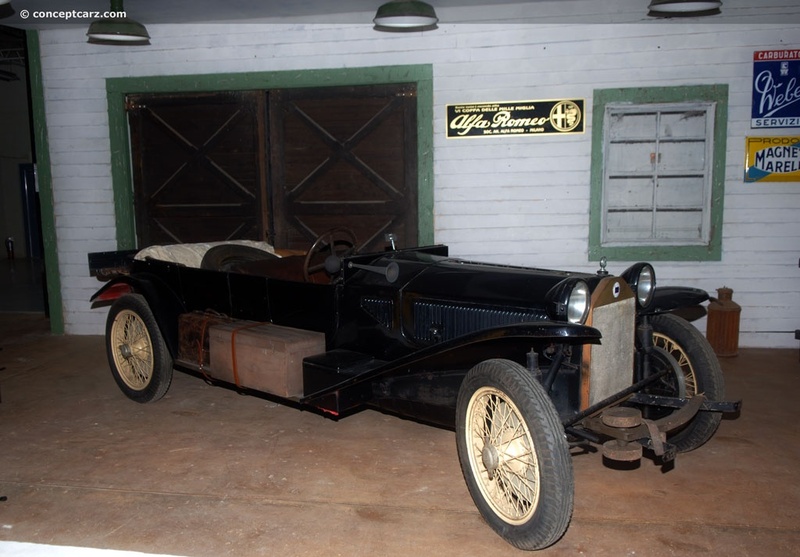 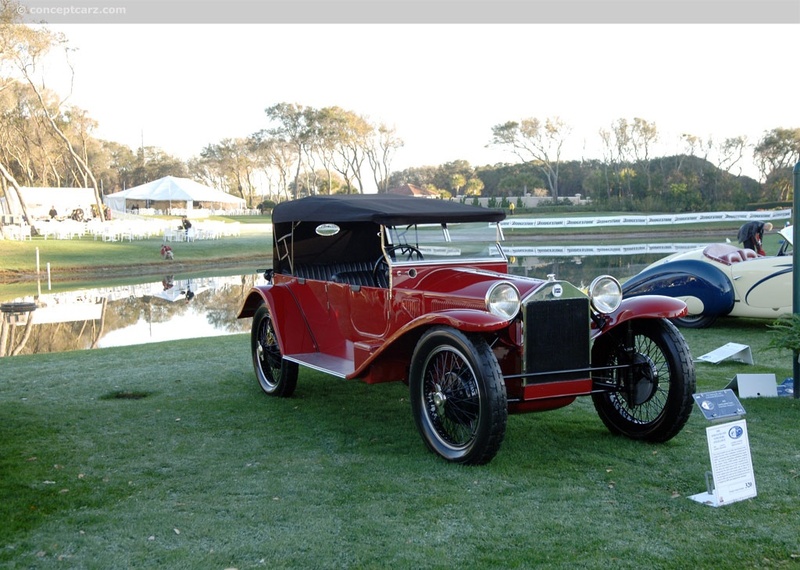 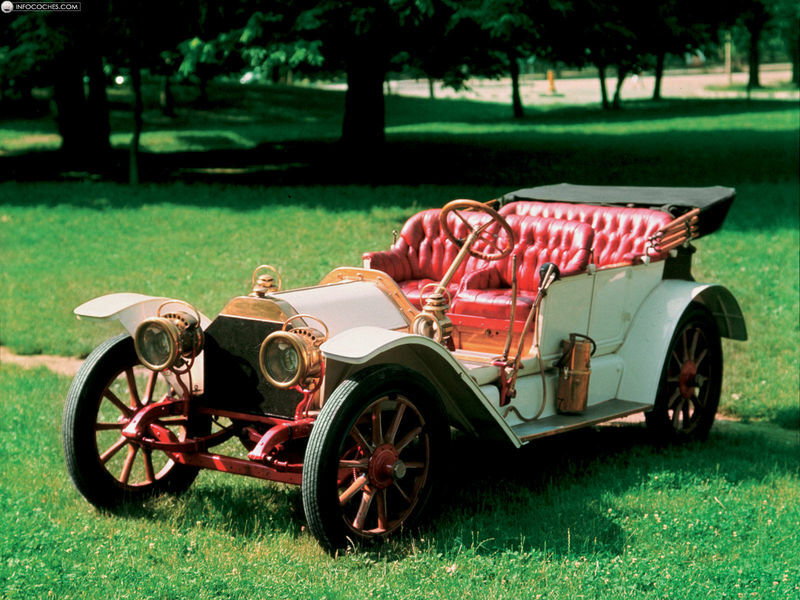 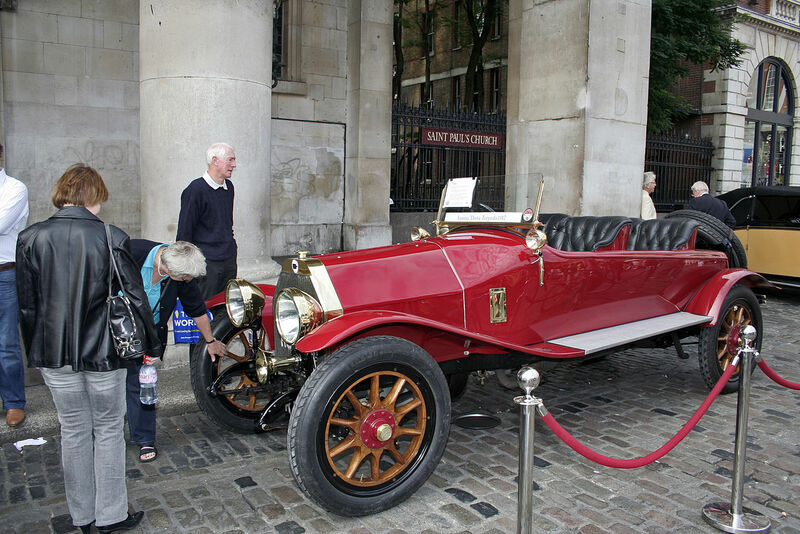 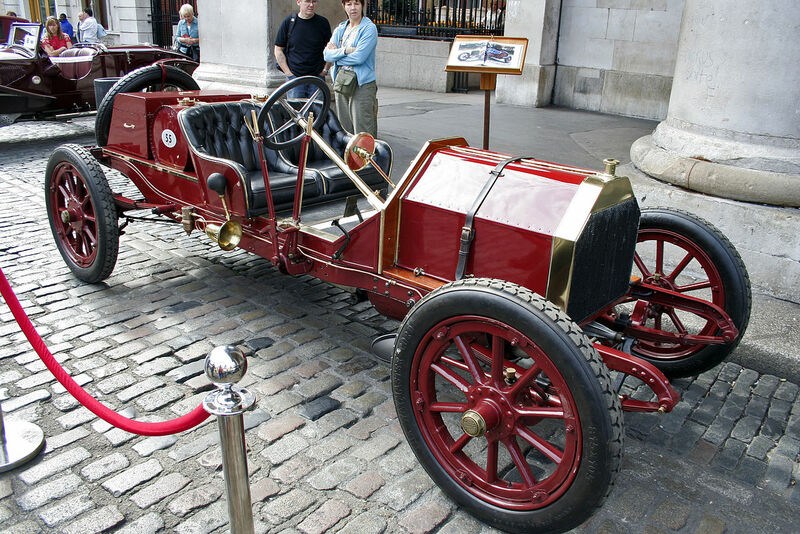 The first car to bear the Lancia logo was the Gamma 20 HP in 1911. 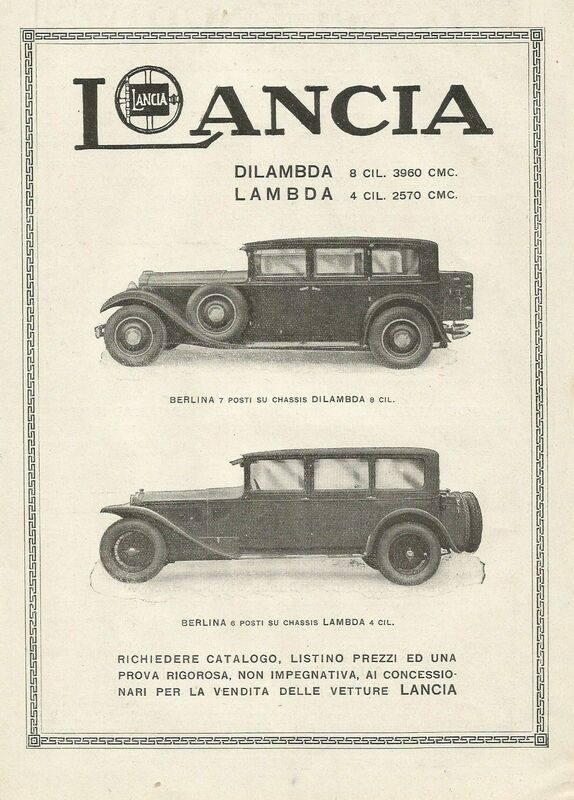 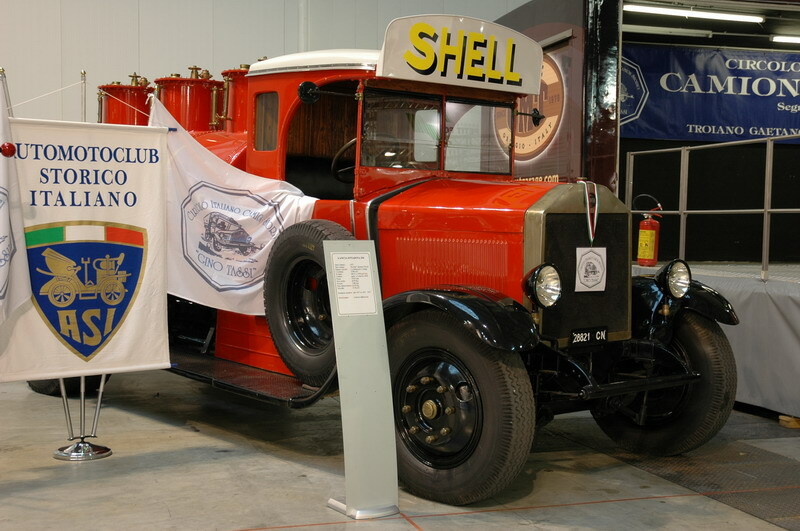 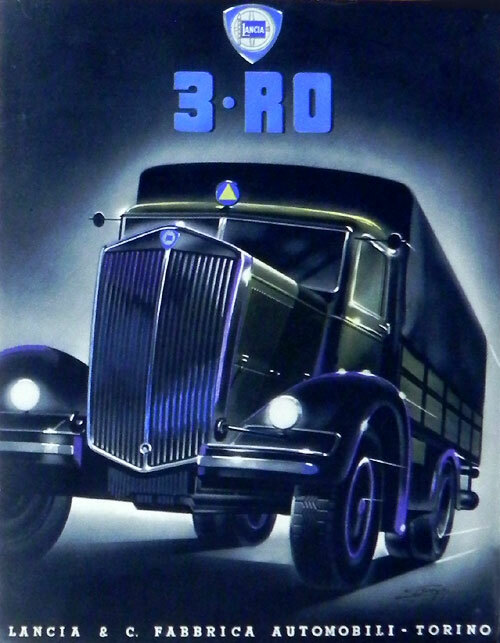 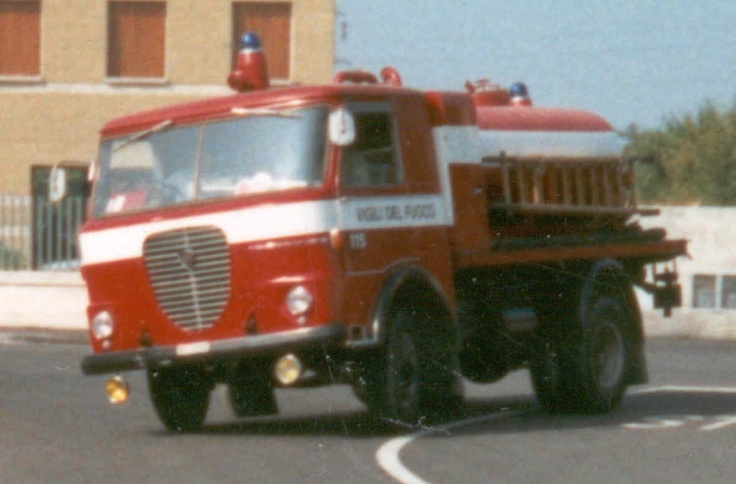 In 1929 the logo acquired its final layout: the previous round badge was superimposed on a blue shield in the shape of a Reuleaux triangle (as found in one of Biscaretti di Ruffia’s six original proposals). 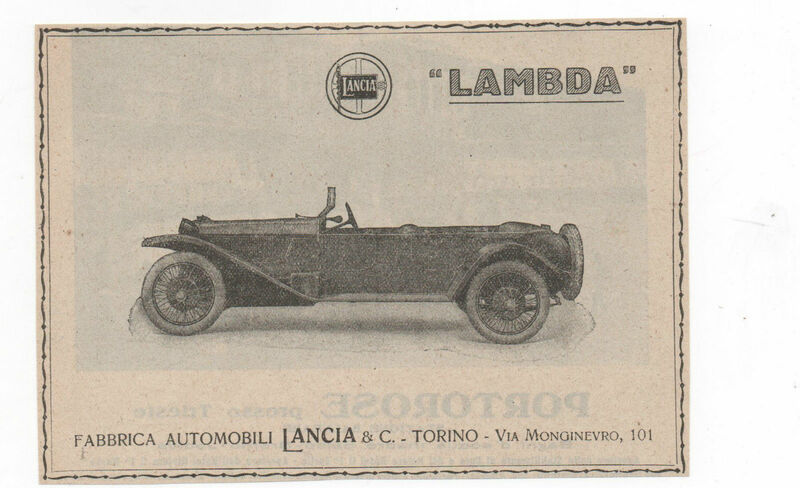 Though first applied on the 1929 Dikappa, this badge was only used consintently starting with the 1936 Aprilia. 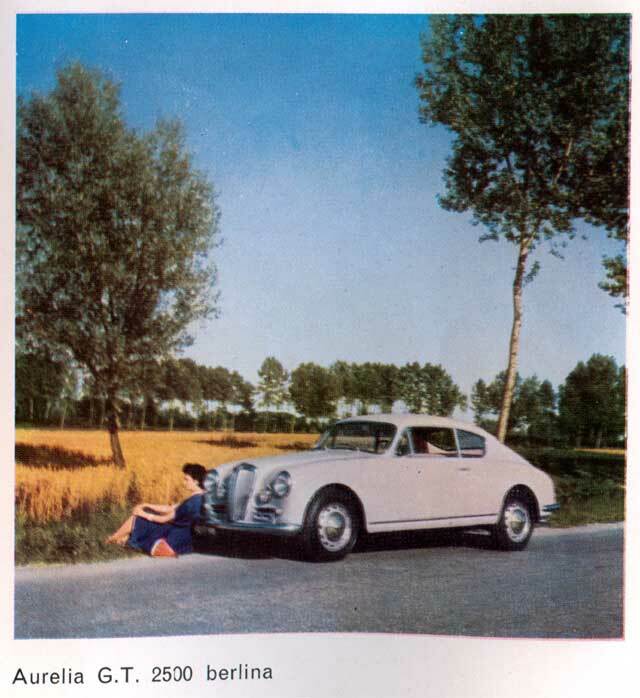 In 1974 the badge was redesigned on Gianni Agnelli‘s request; it went back to a modernised silver, white and blue version of the 1929 design. 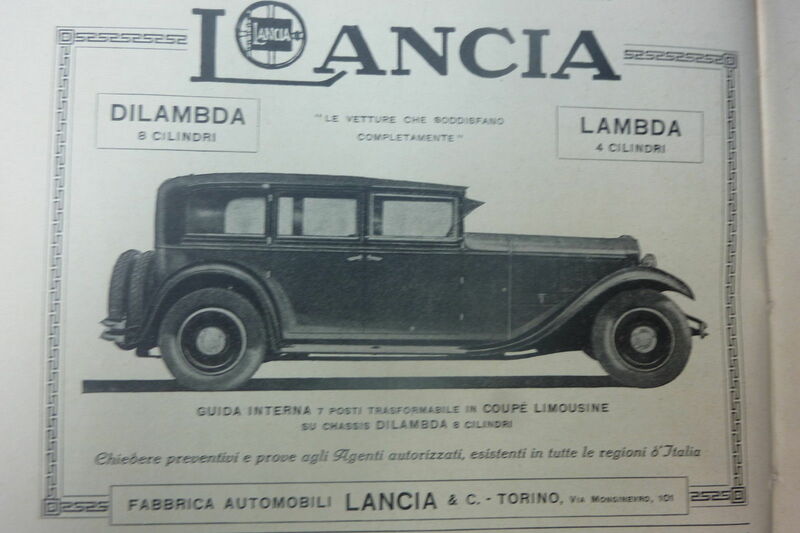 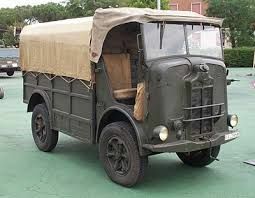 Flag and lance were unified in a single shape and dispensed with the earlier minute detailing, the Lancia letters became all of the same size, and the steering wheel became also outlined in blue and lost the hand throttle detail. 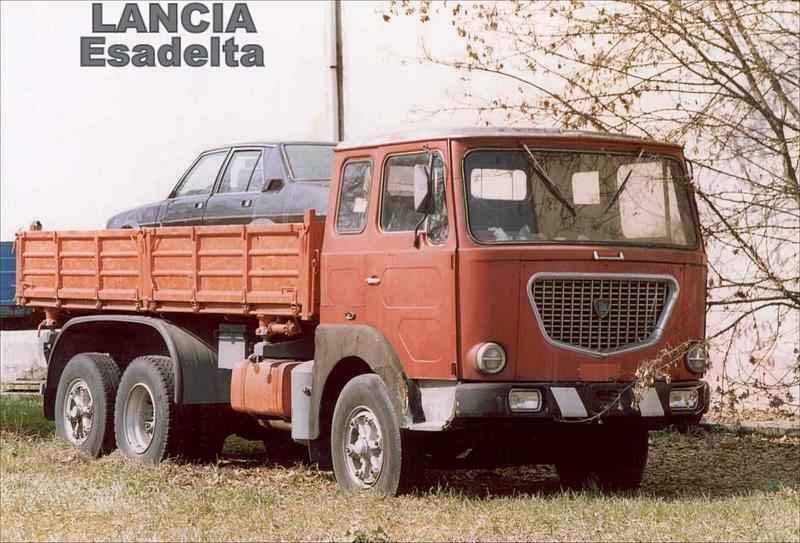 This logo debuted on the 1979 Lancia Delta, and made its way on the other models as they adopted the split grille introduced by the Delta. 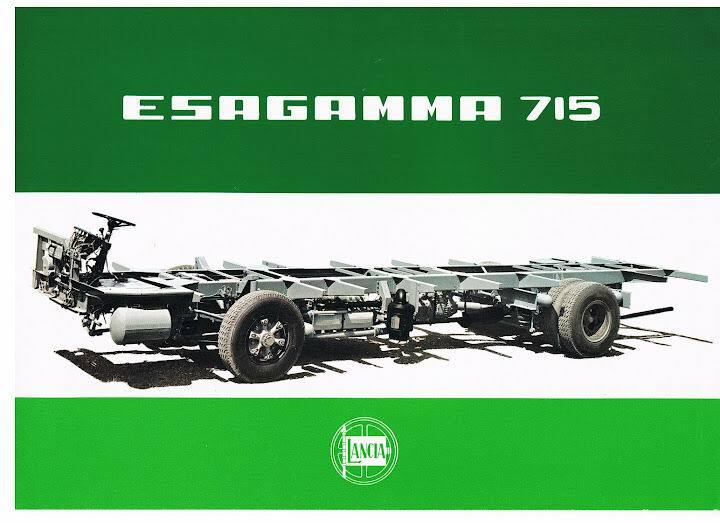 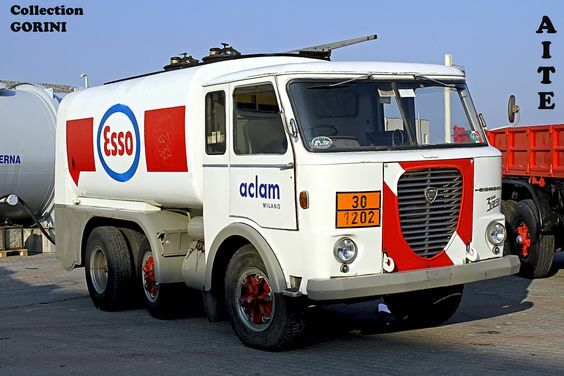 Though lightly revised in 2000 with the addition of a chrome shield surround, the 1974 logo was used through four decades, up to 2006. 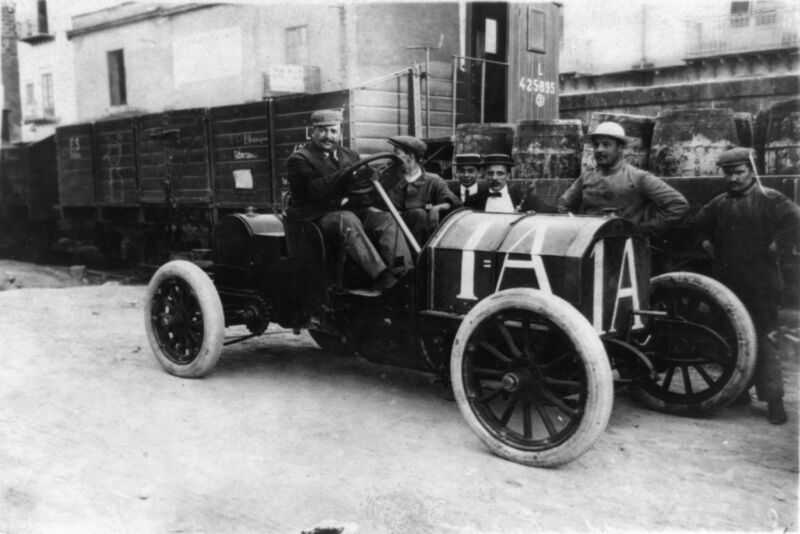 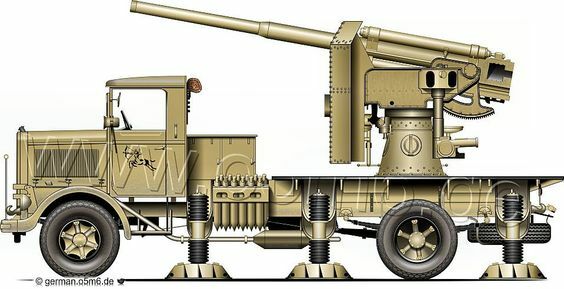 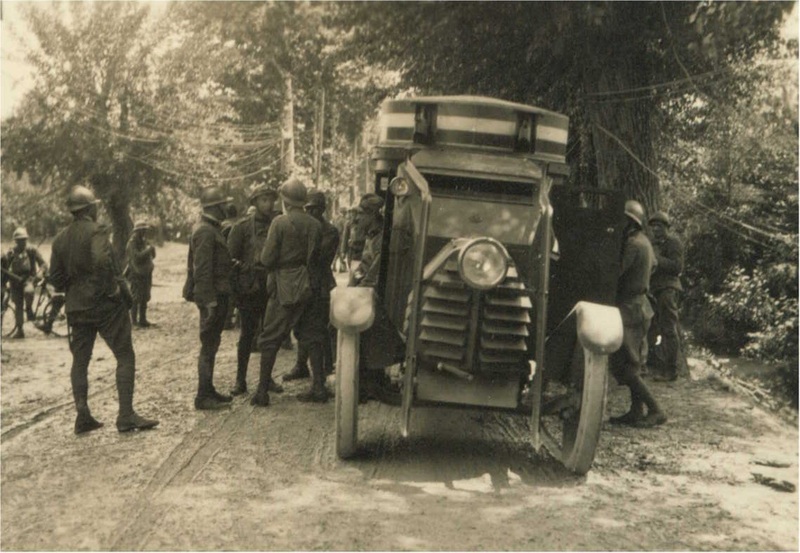 Cavalier Giuseppe Lancia (1860 (Cuneo) – 1919 (Bordighera)) is an Italian businessman and father of Vincenzo Lancia. 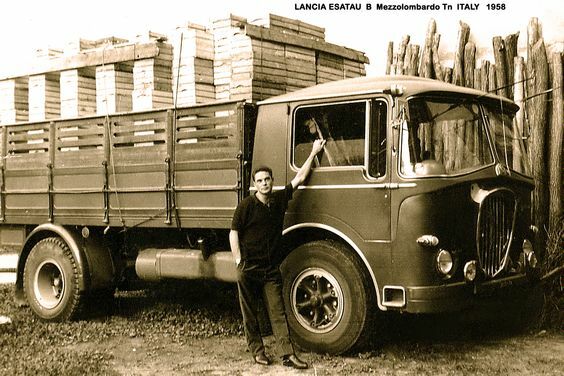 When he was sixteen he started a business with food in Italy. 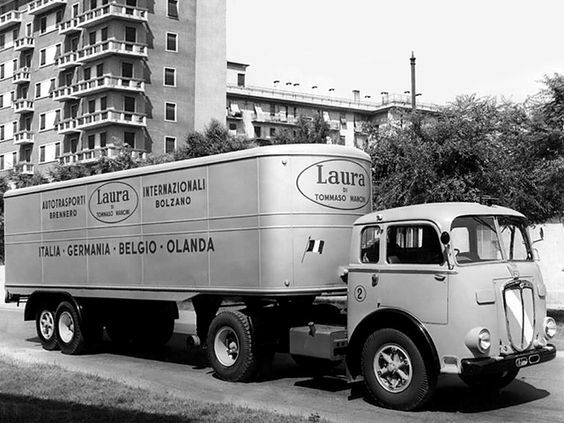 Later for few years he made relationships with South America and he created a food industry in Argentina. 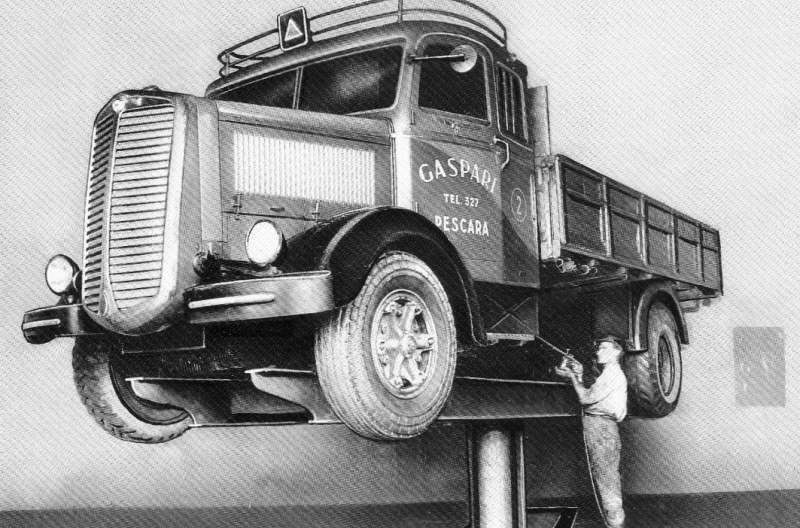 His efforts and innovations made his company a great success. 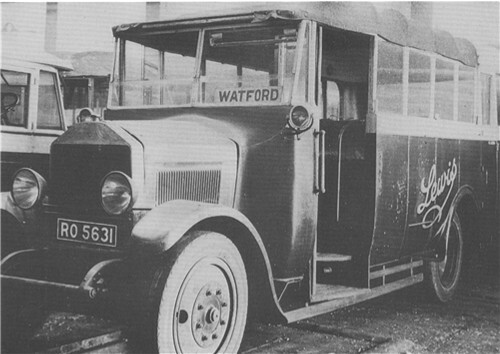 His company was one of the first food companies in the country and showed new methods in this sector. 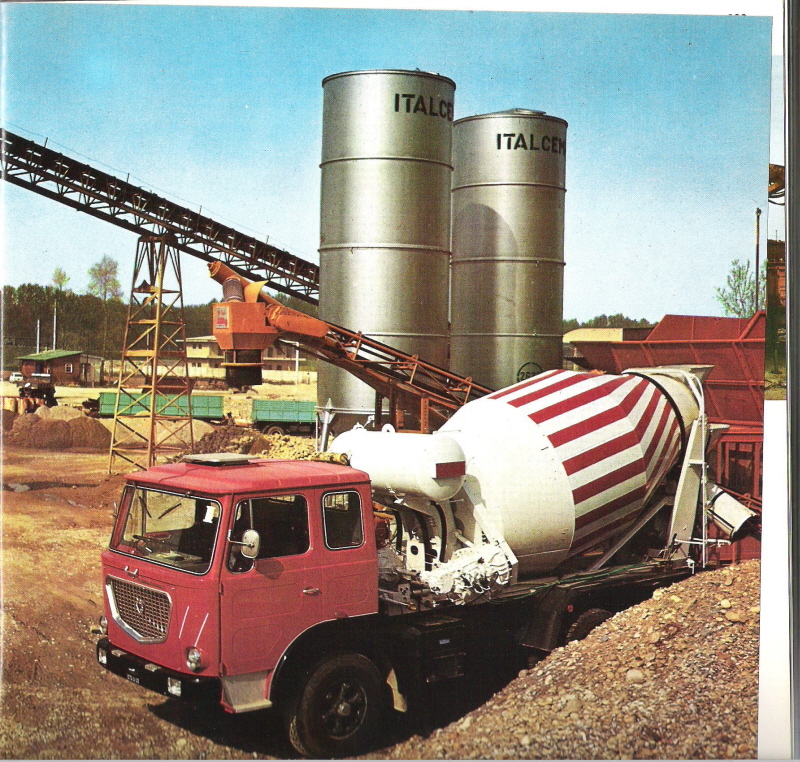 When he made a fortune he returned to Italy. 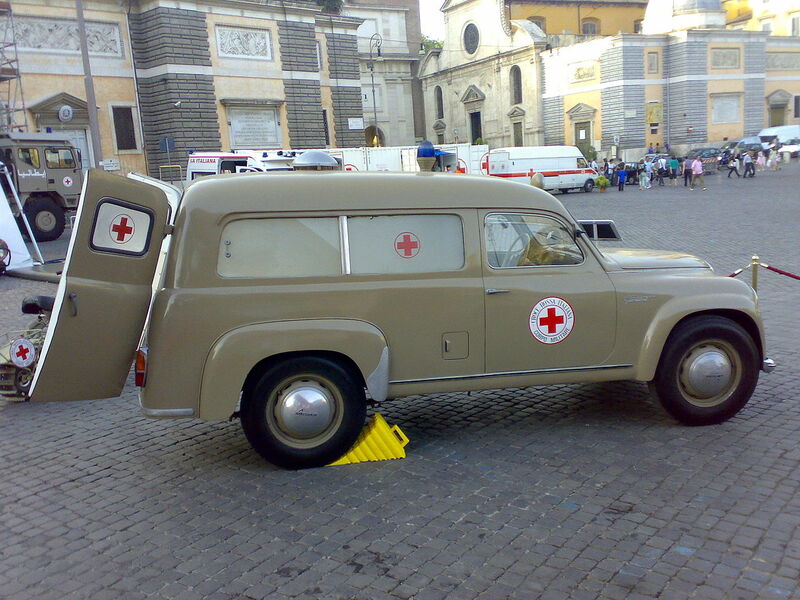 When he goes back his rang in Turin go to town advisor. 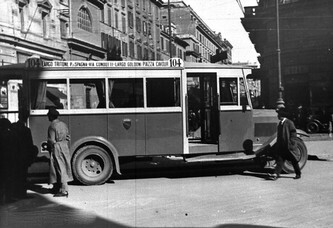 By his education Giuseppe is a translator. 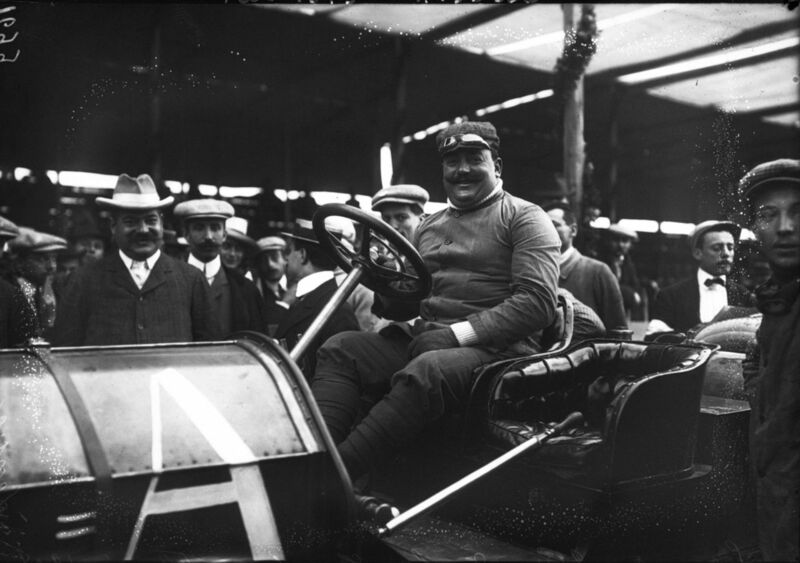 In 1875 he is married for Marianna Orazzi. 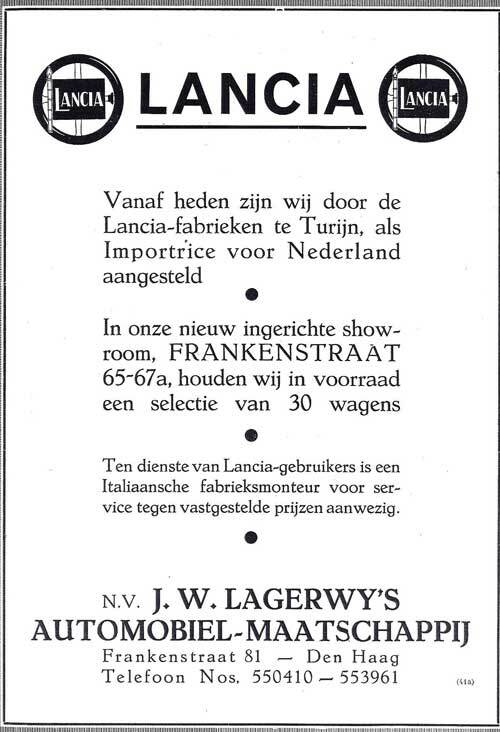 In 1876, their first son Giovanni is born. 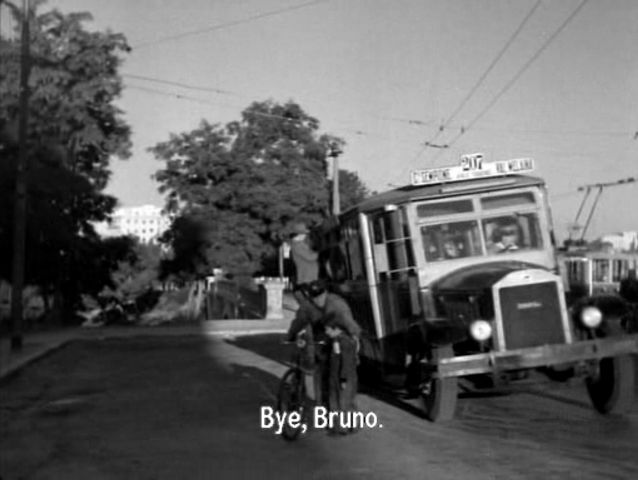 He loves education, humanities and the Greek language. 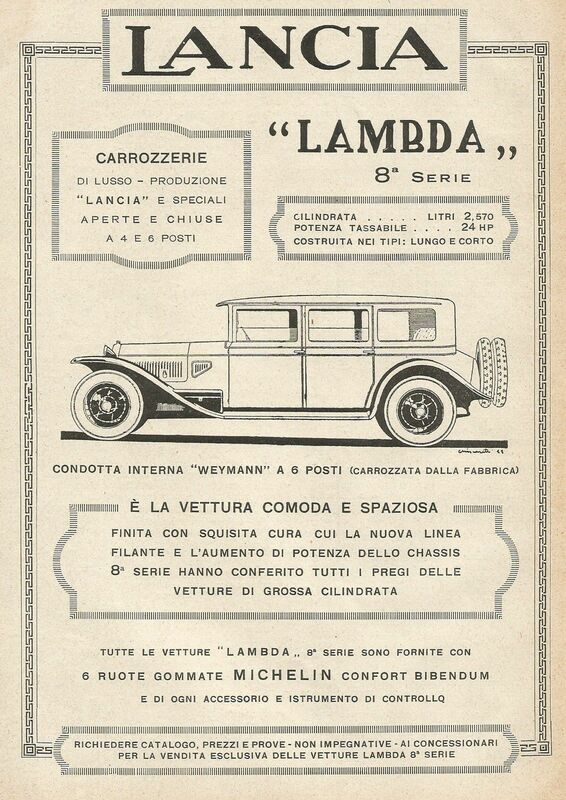 In 1879 their daughter Margherita was born. 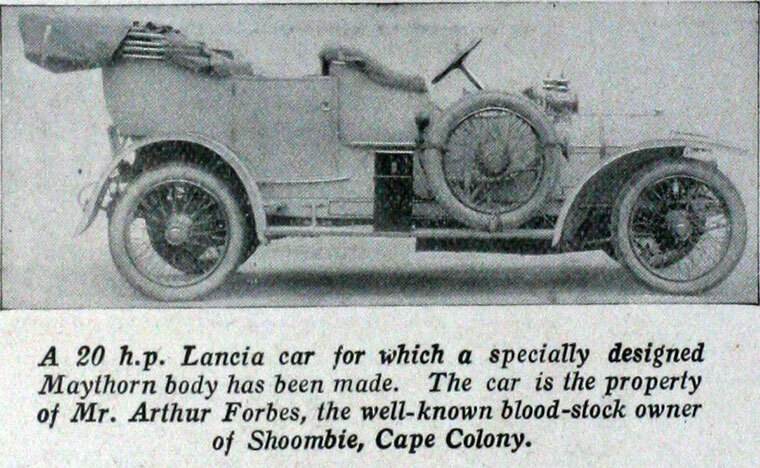 Unfortunately, she died in 1894. 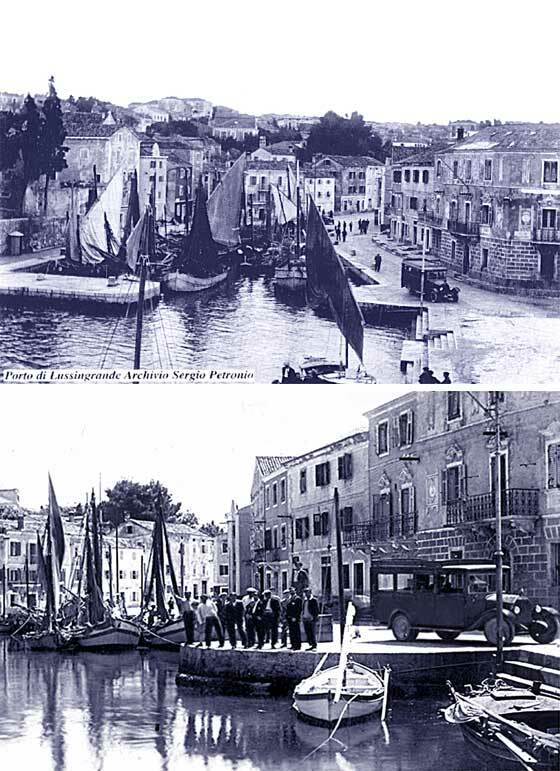 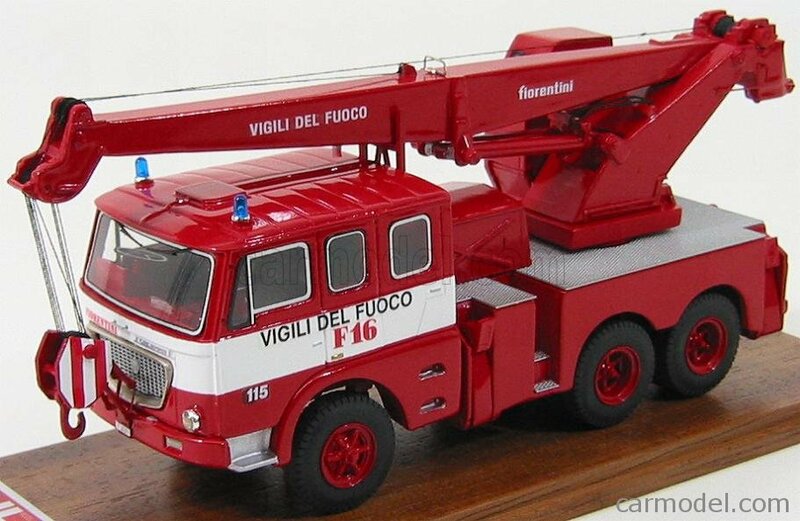 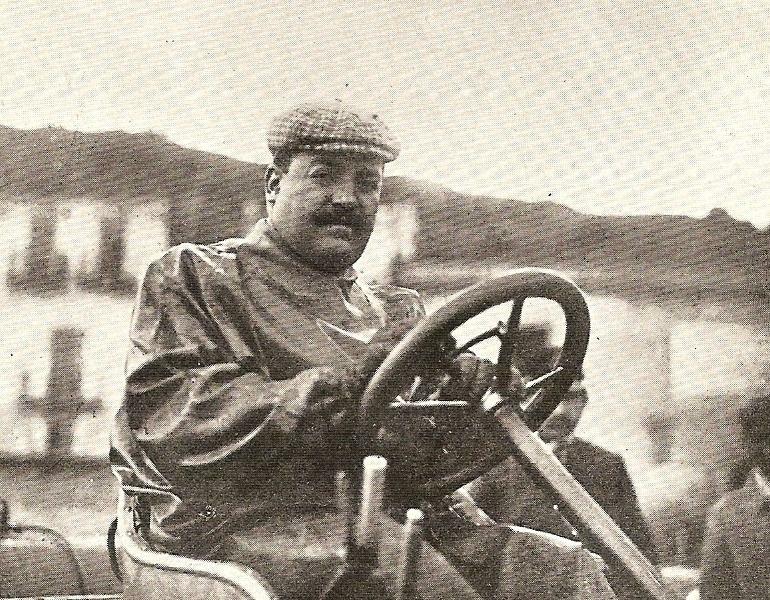 In 1881 their third child Vincenzo Lancia was born. 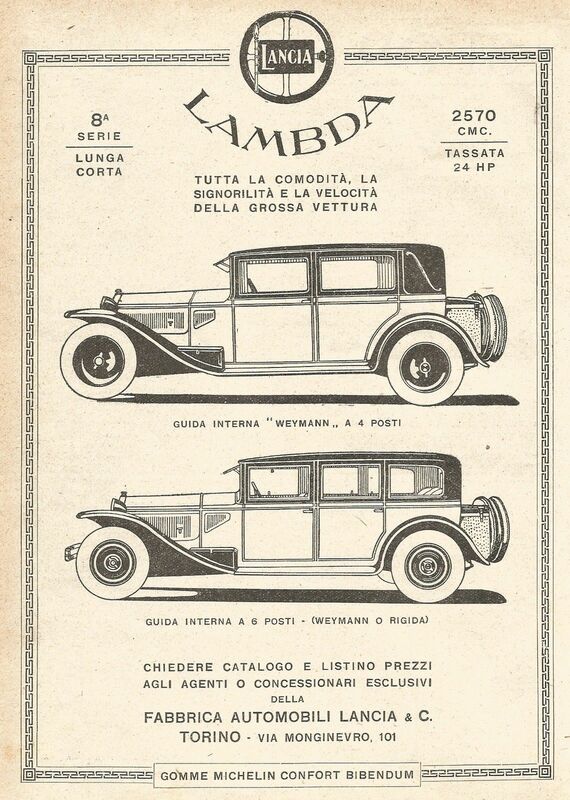 Their second daughter was born at 1884 – Anna Maria later Anna Maria-Giacobinni. 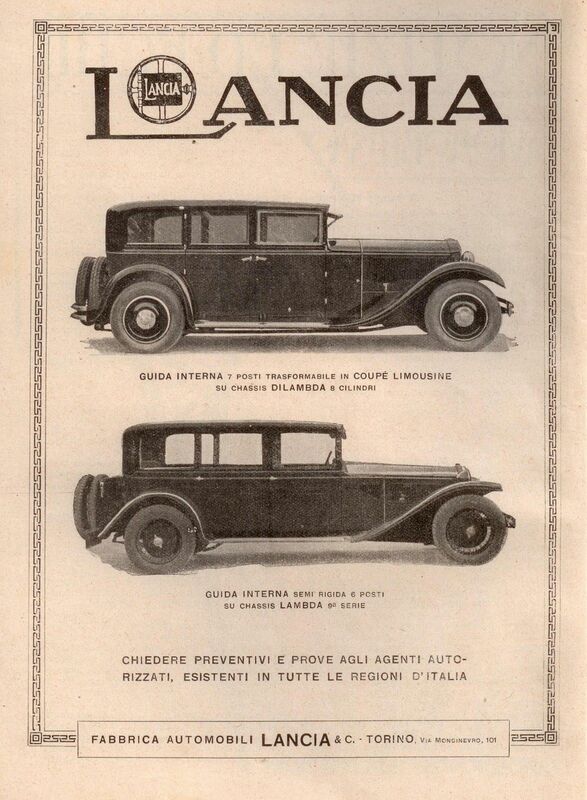 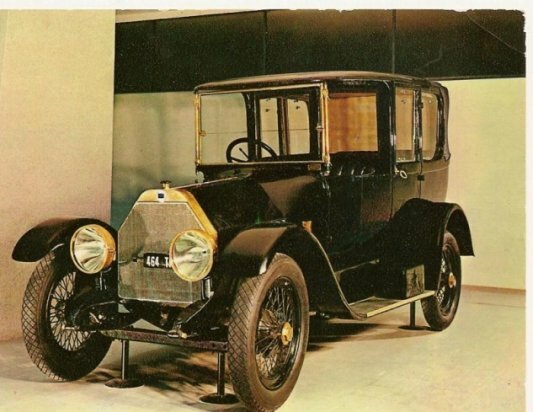 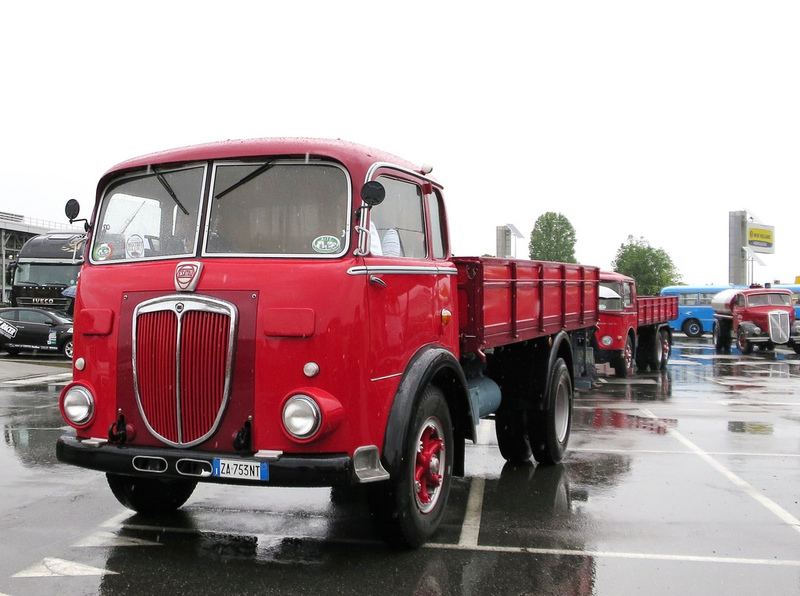 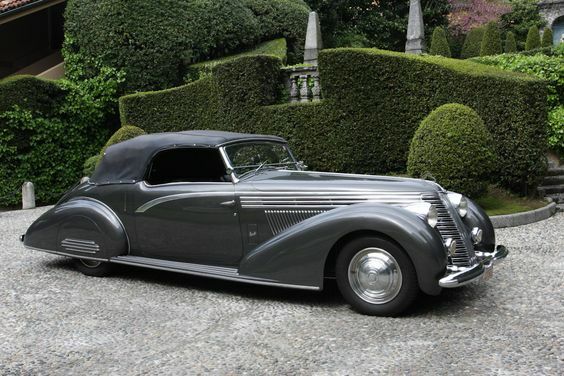 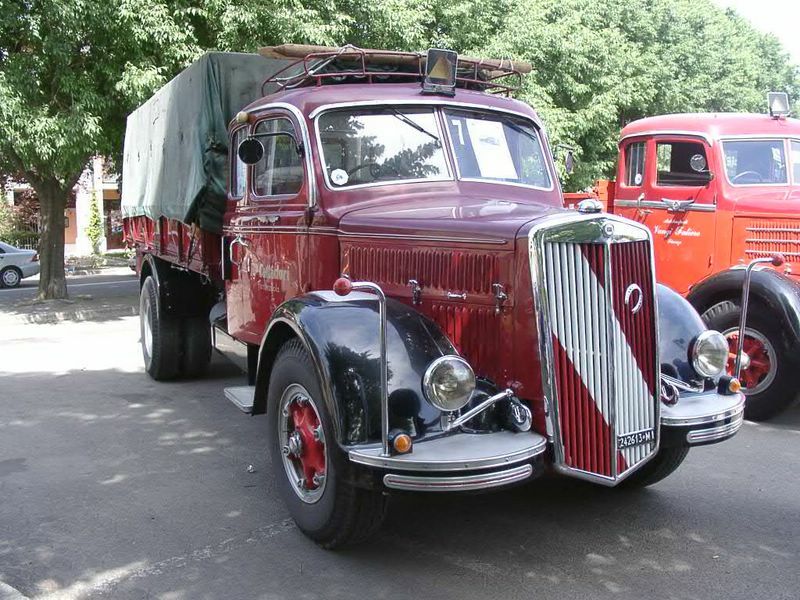 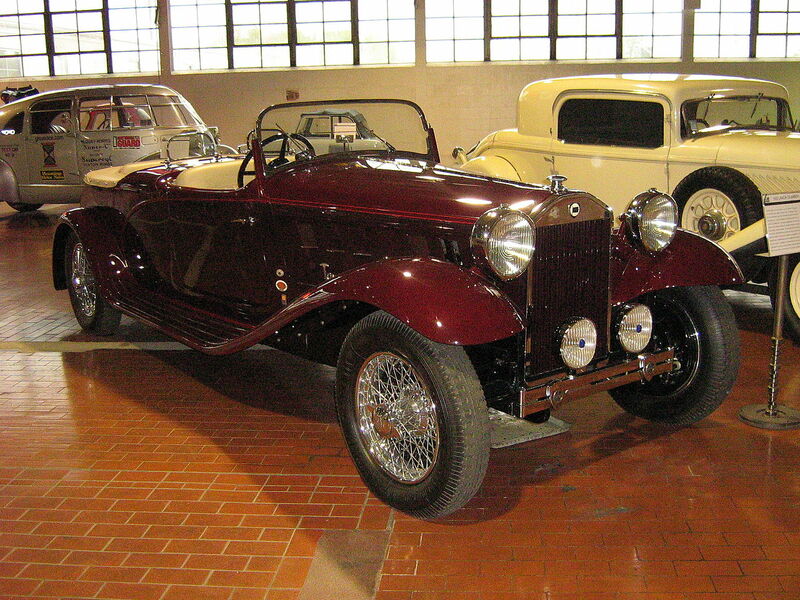 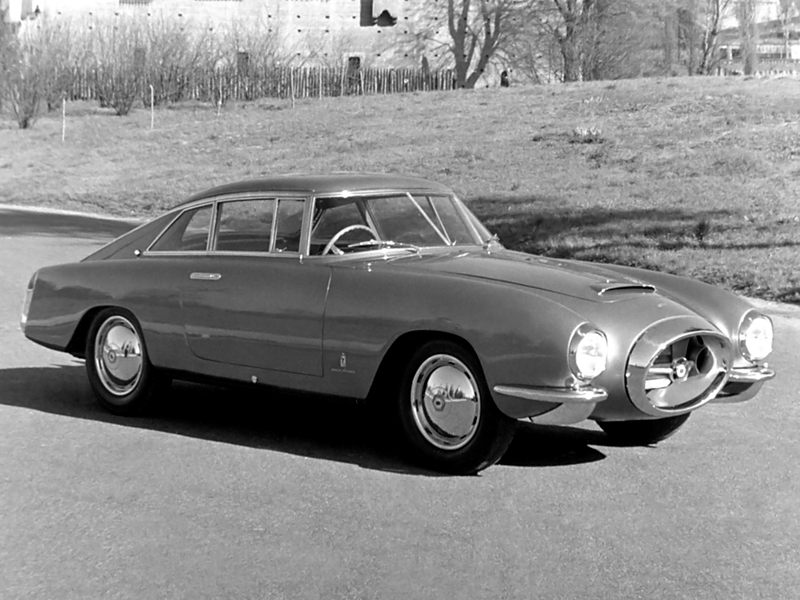 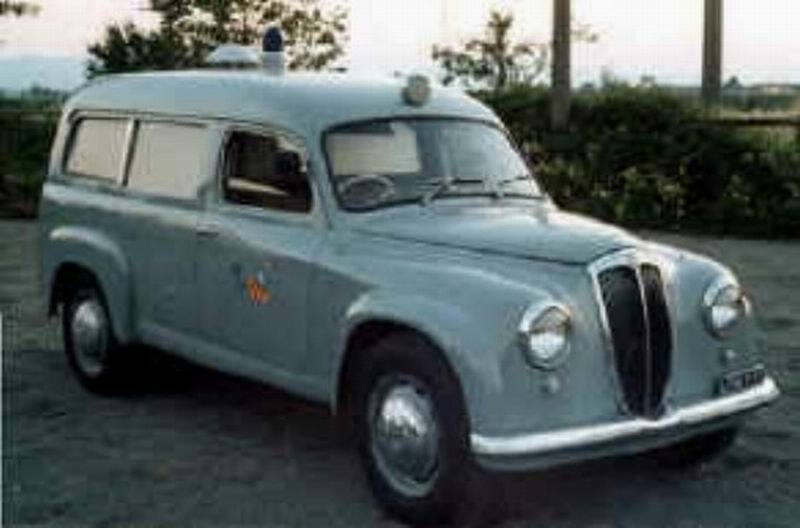 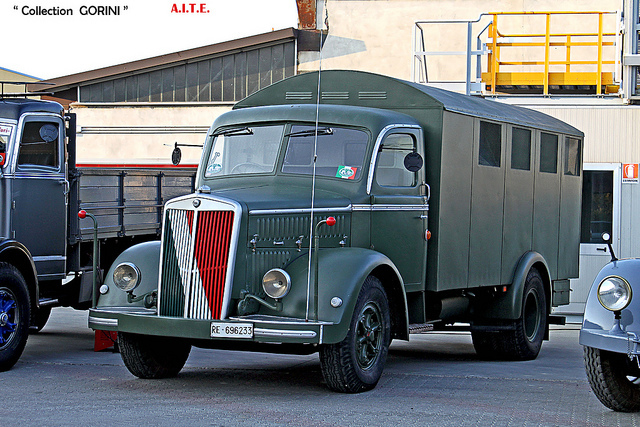 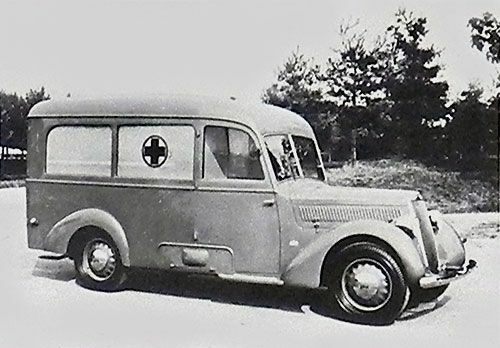 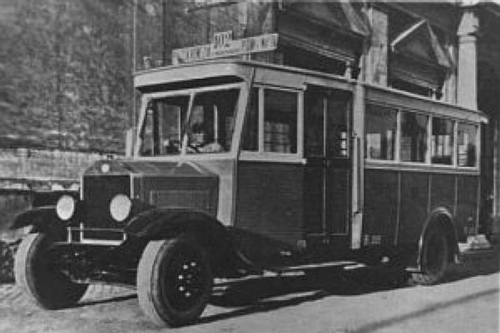 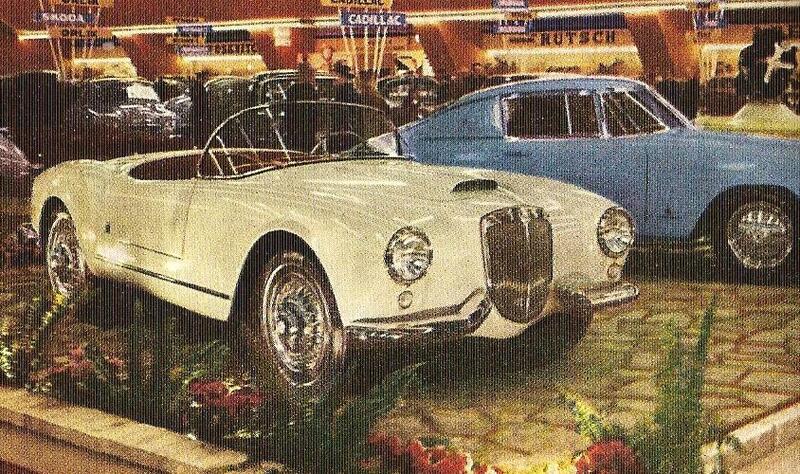 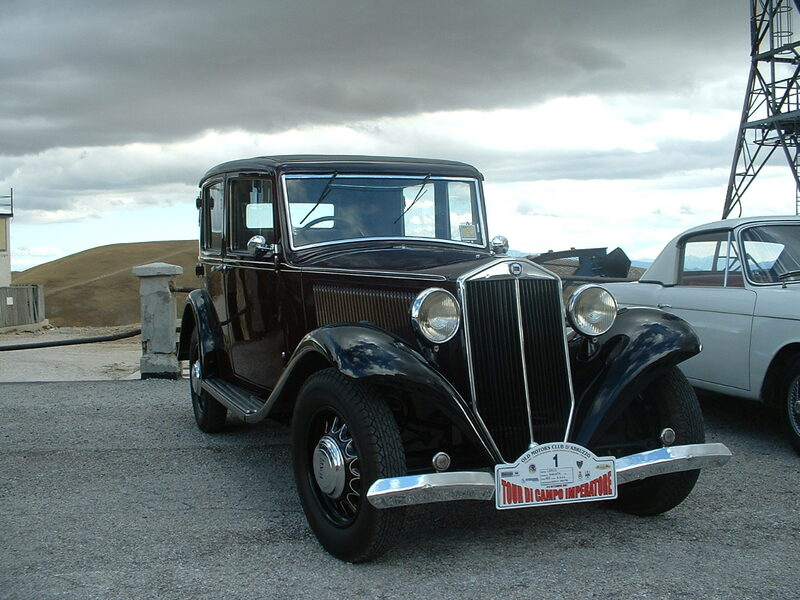 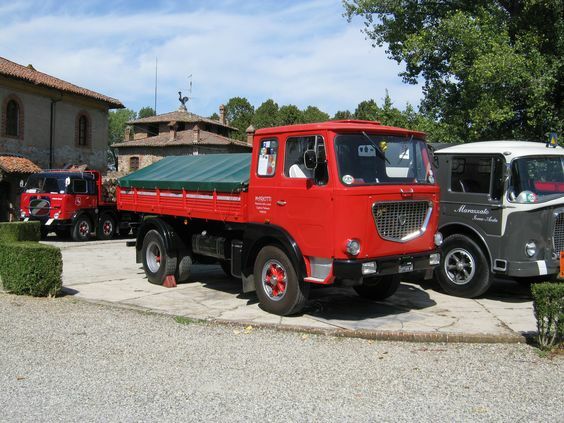 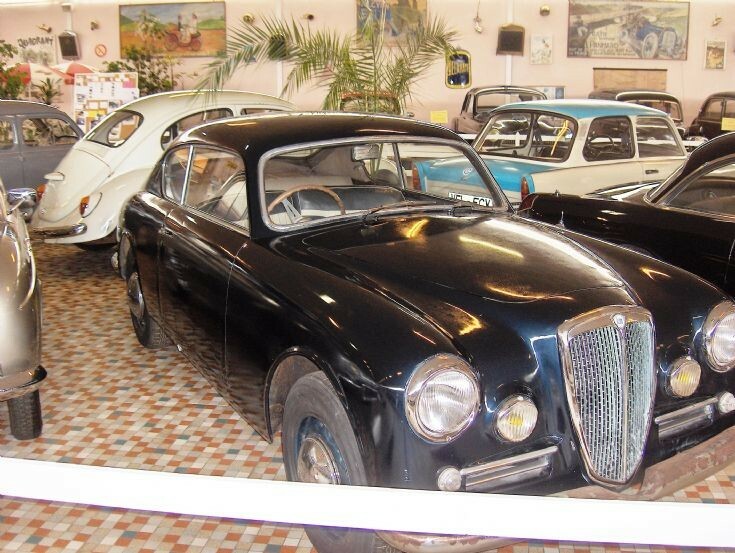 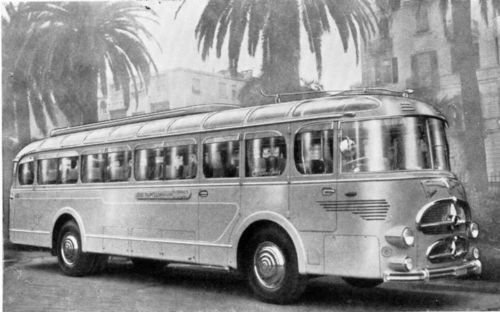 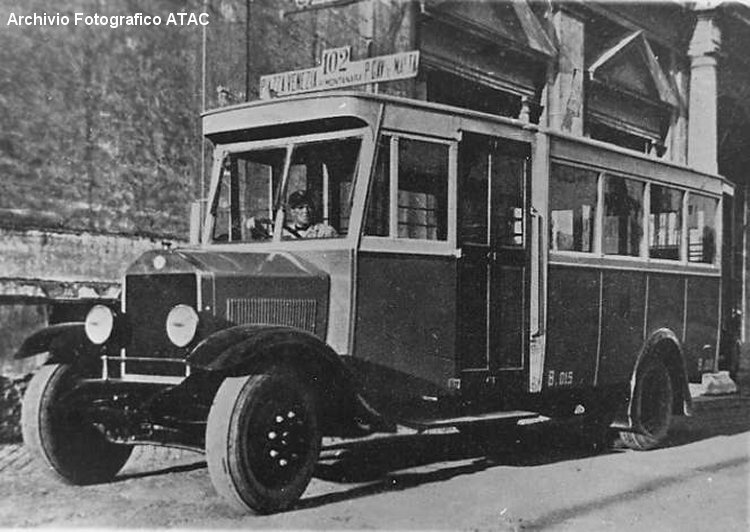 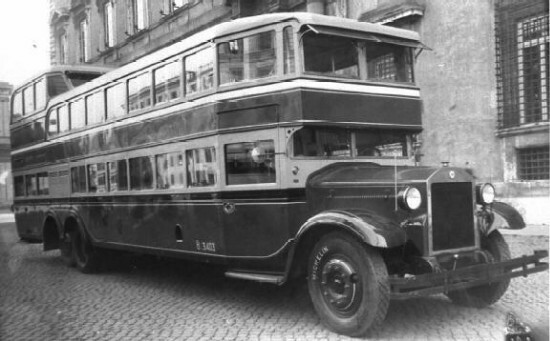 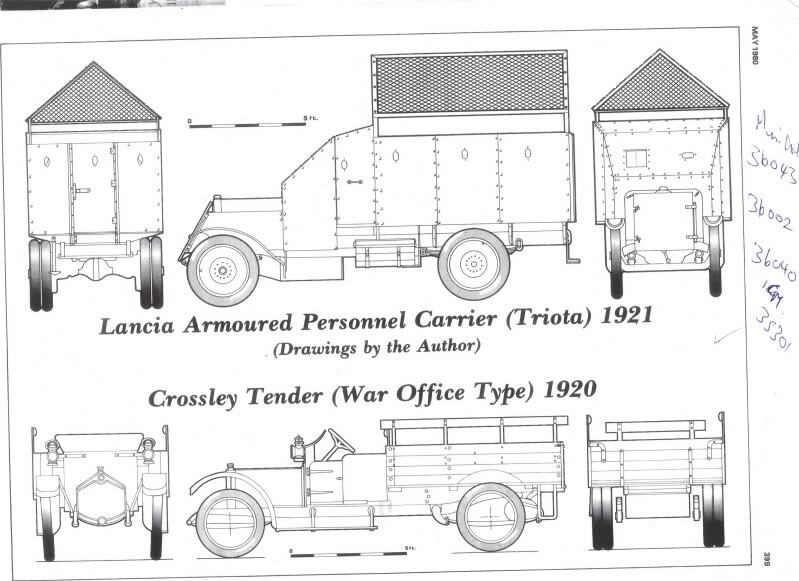 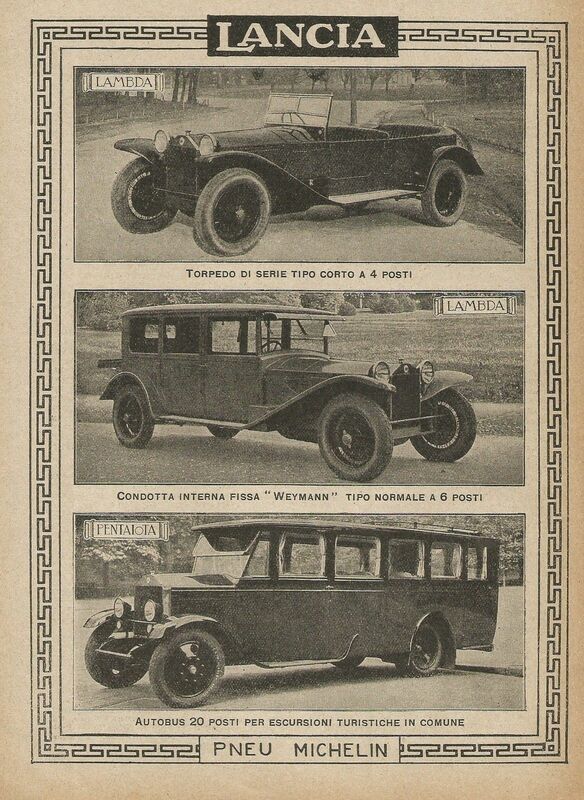 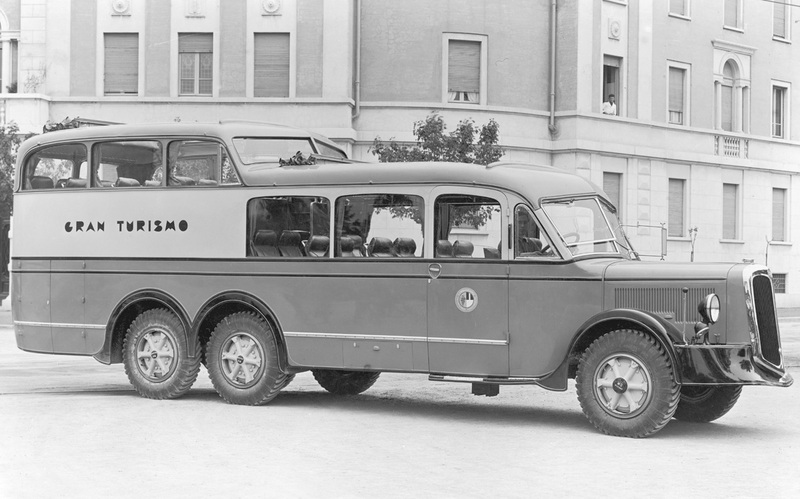 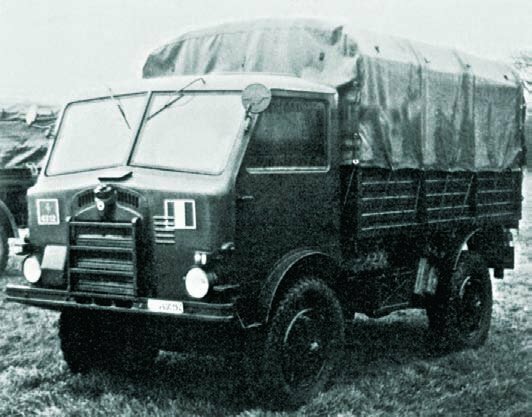 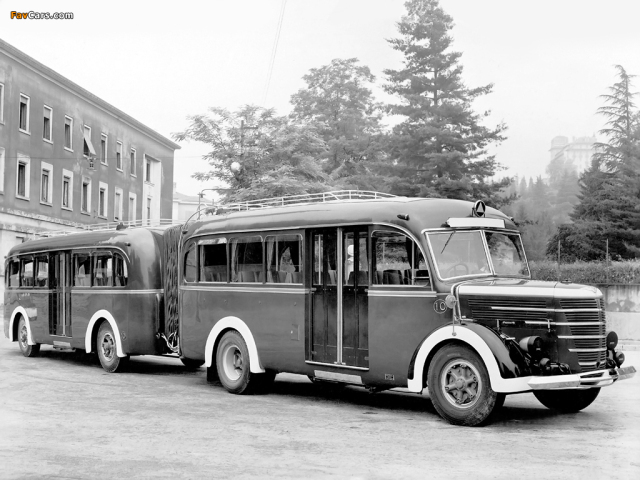 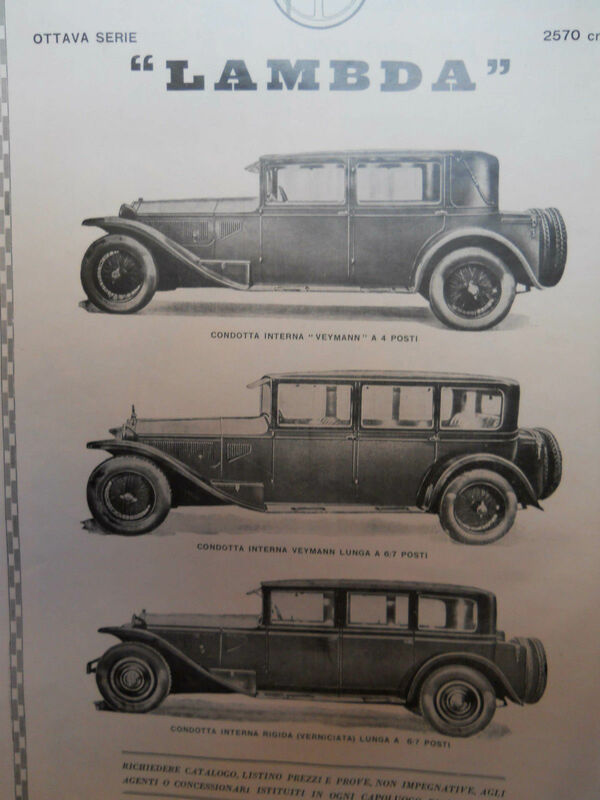 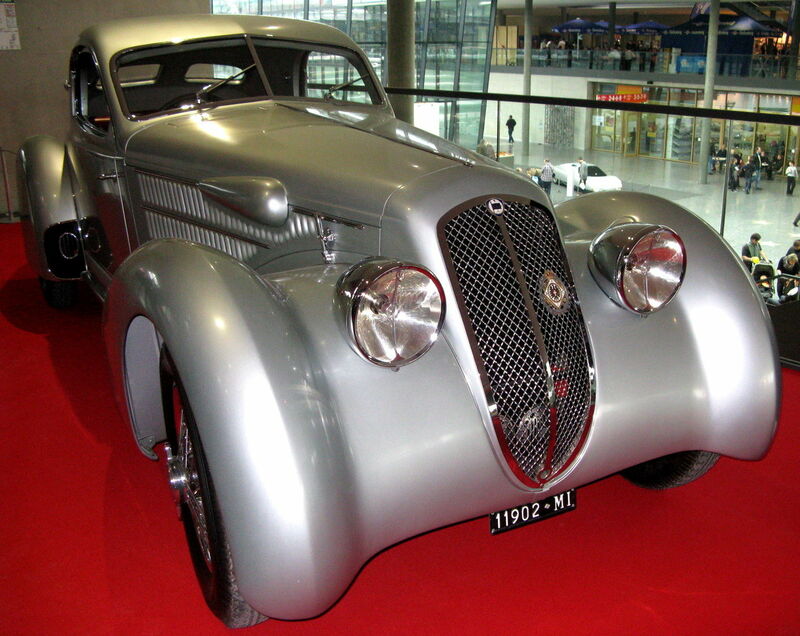 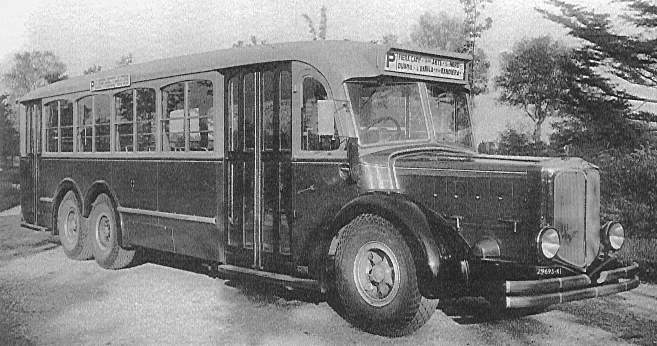 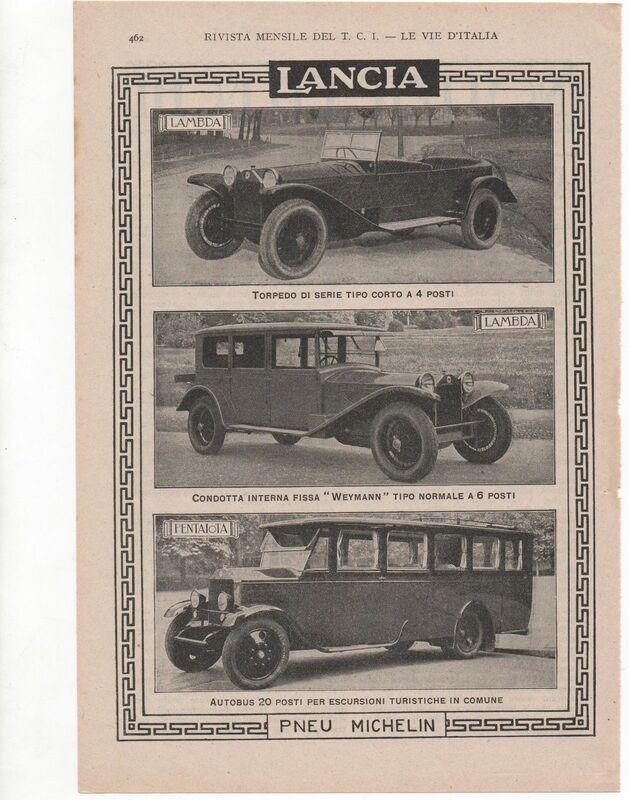 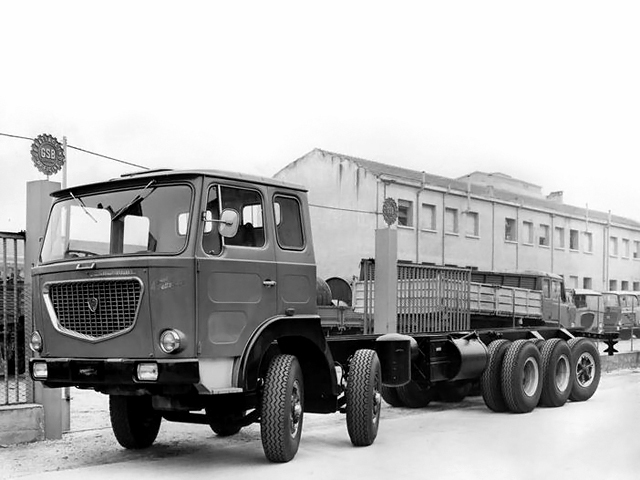 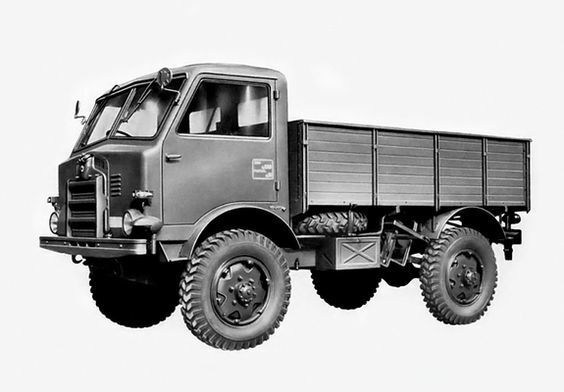 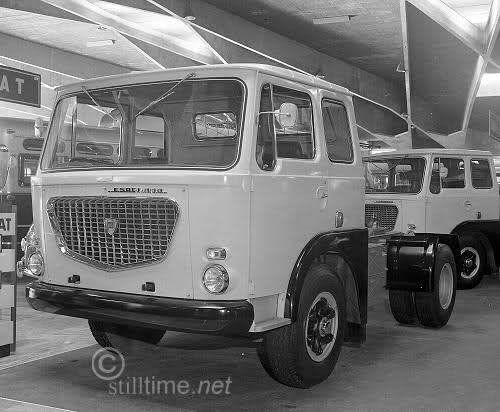 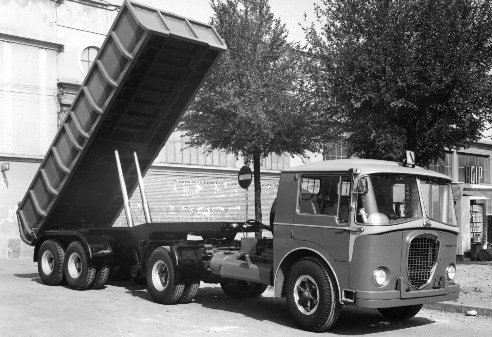 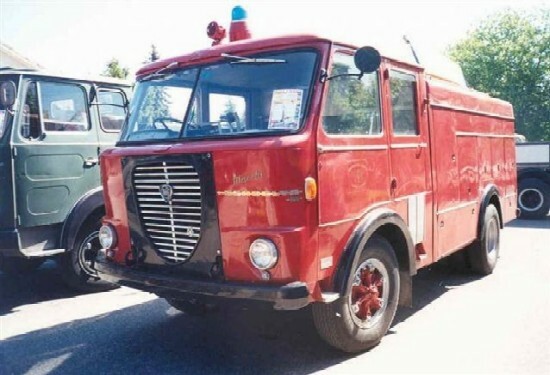 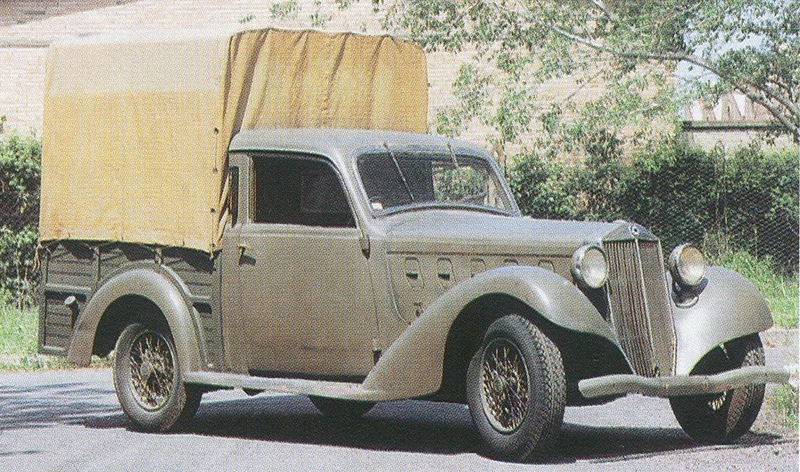 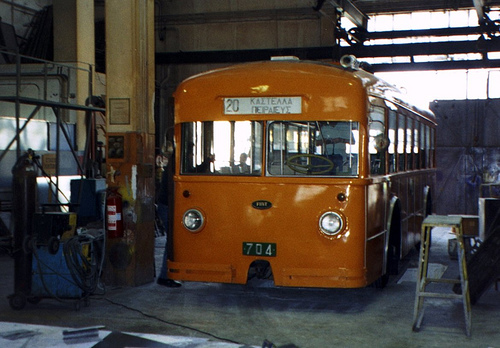 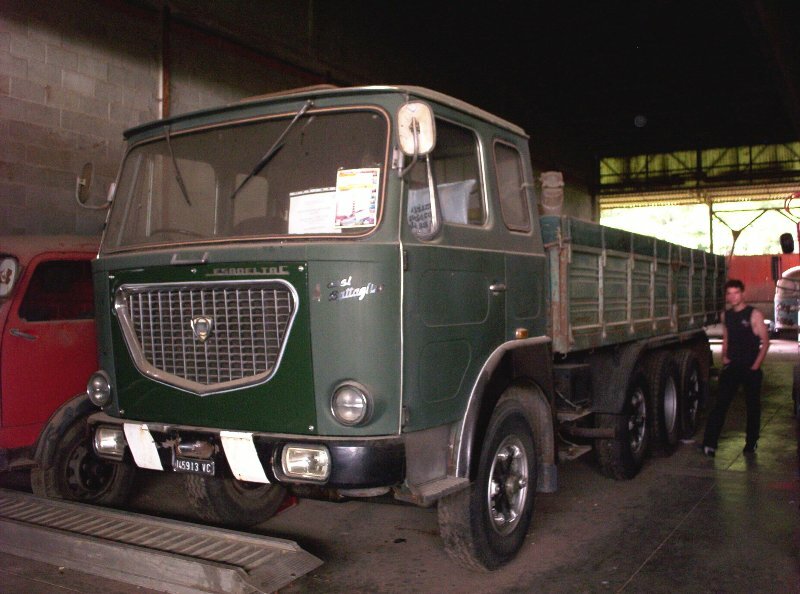 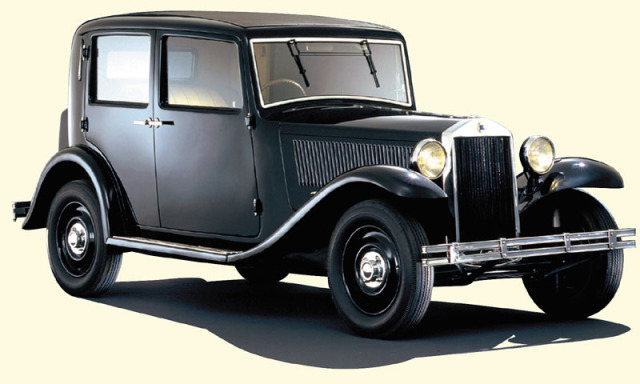 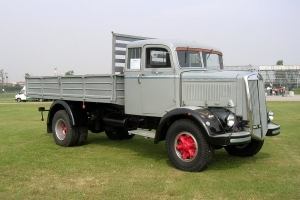 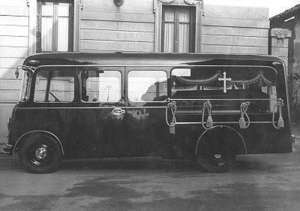 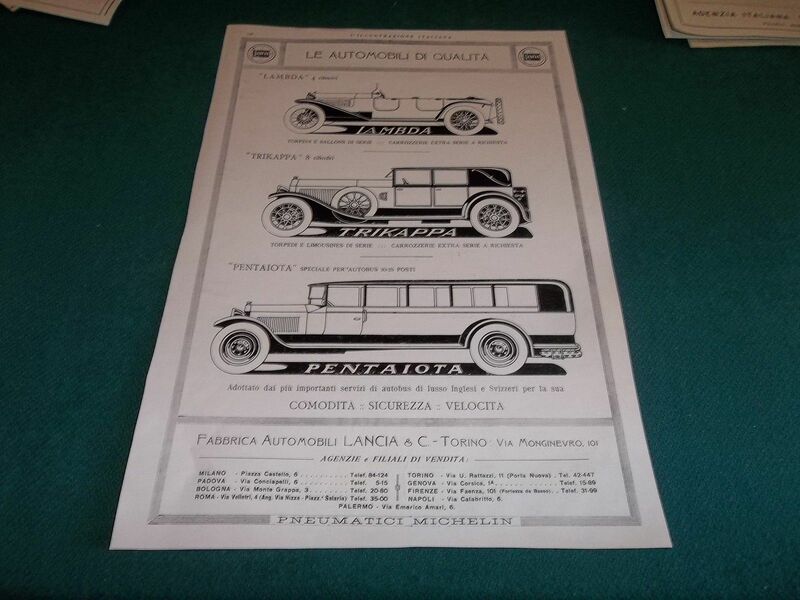 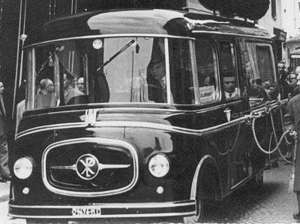 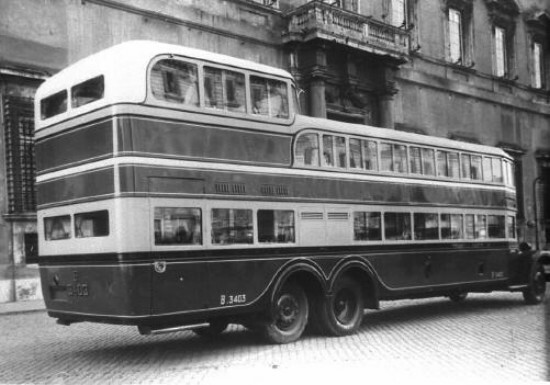 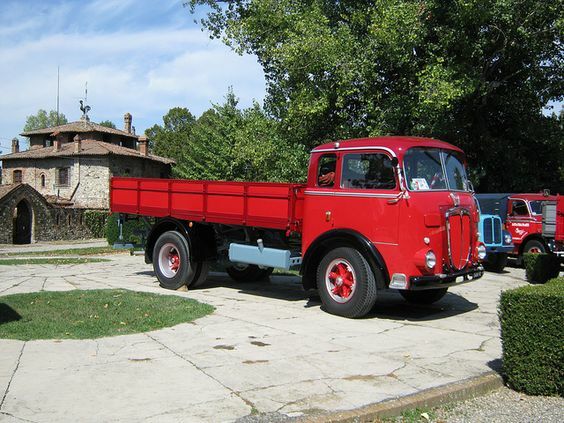 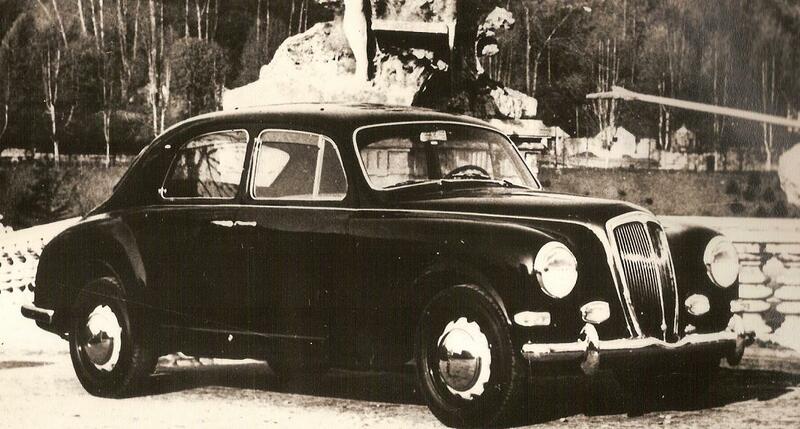 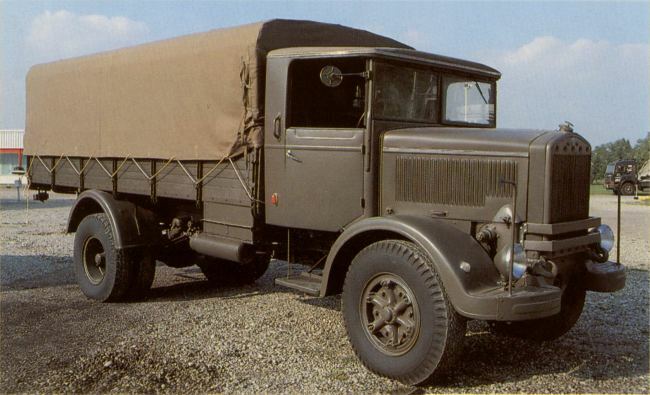 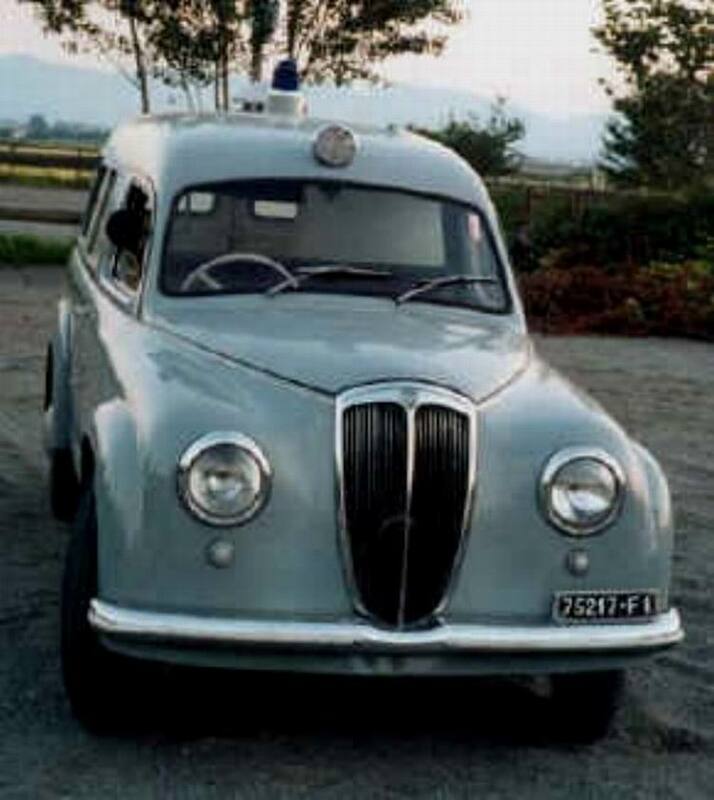 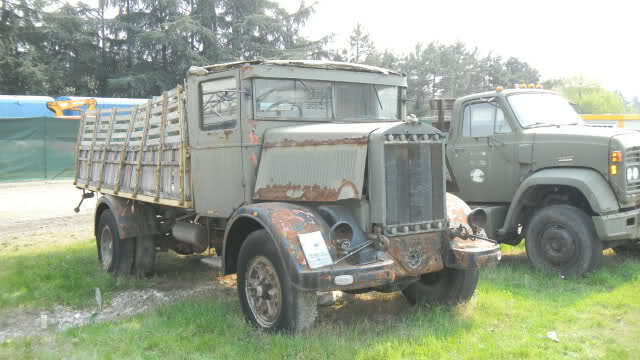 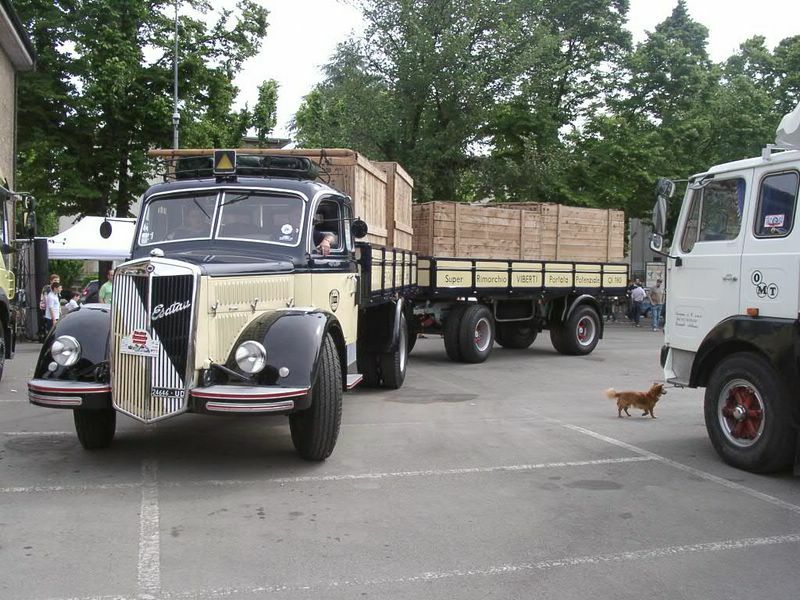 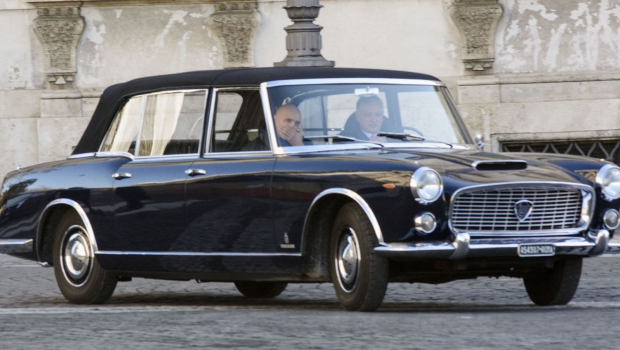 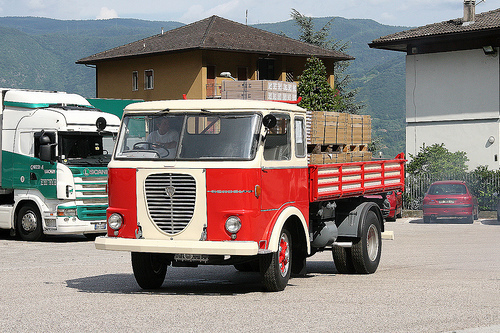 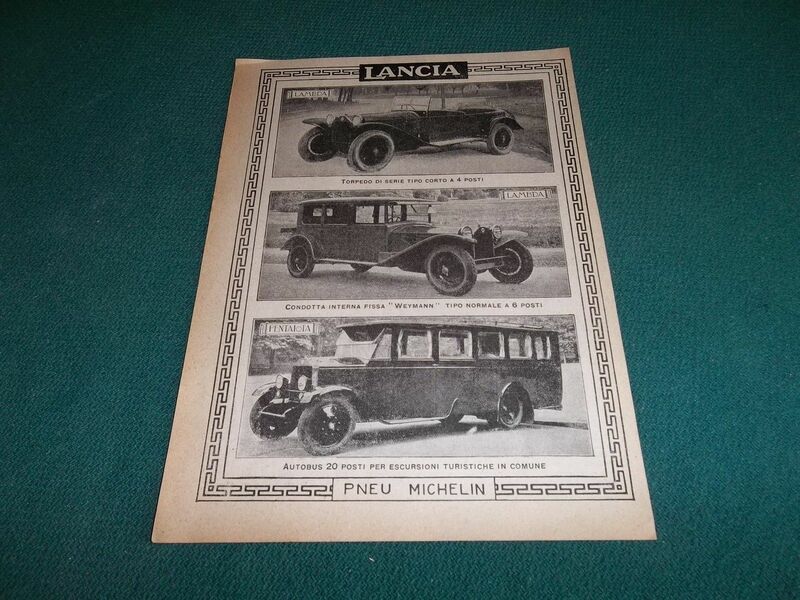 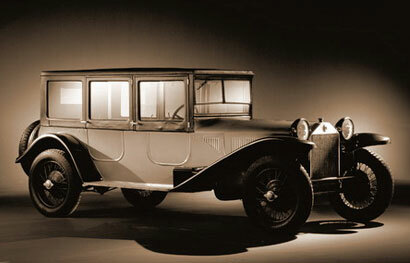 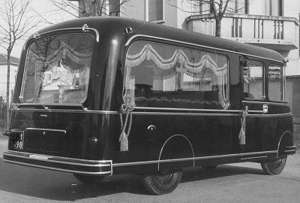 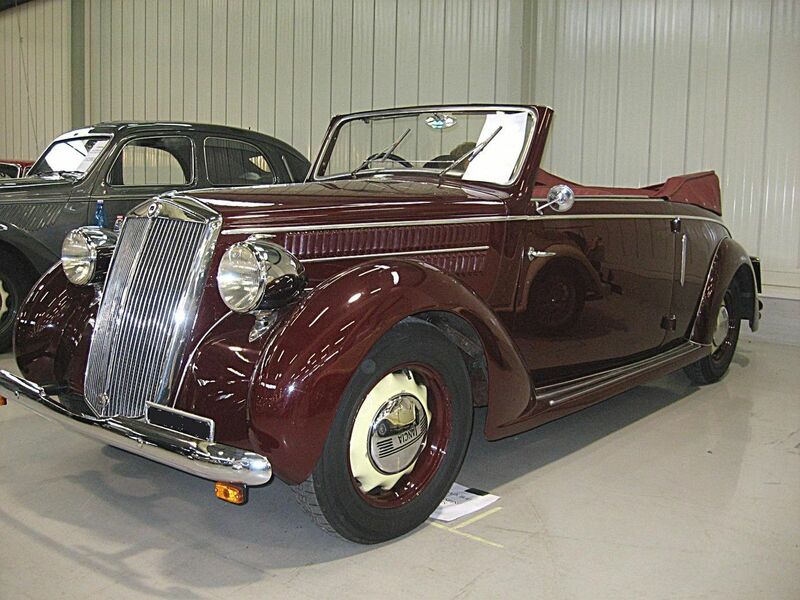 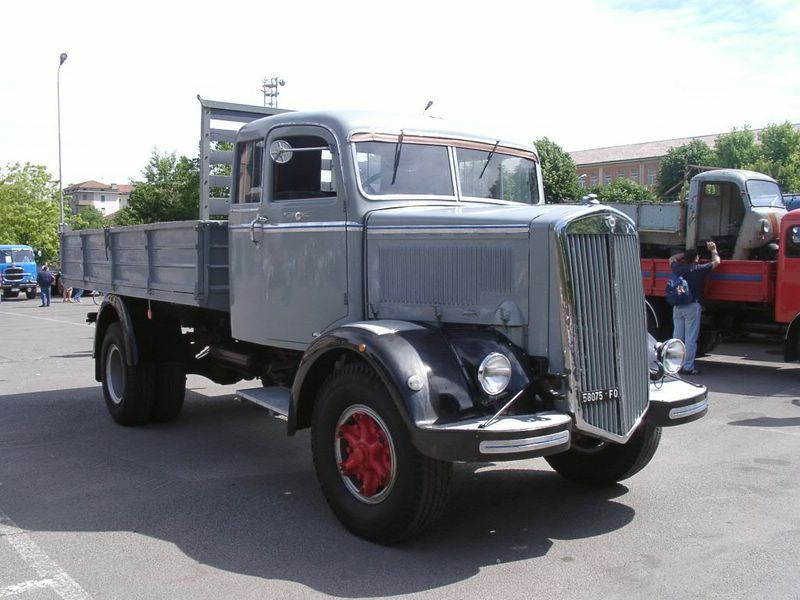 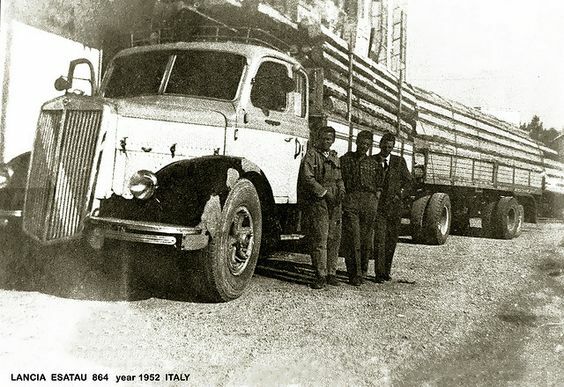 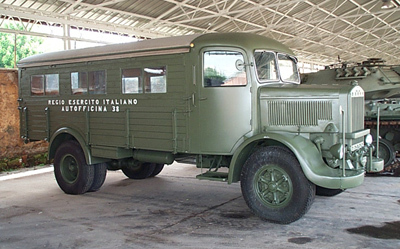 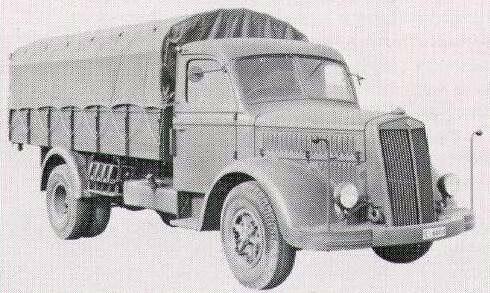 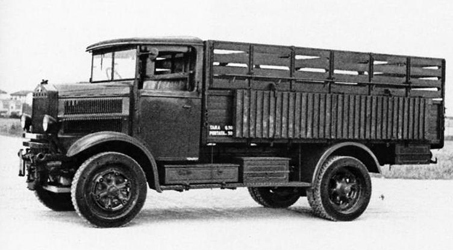 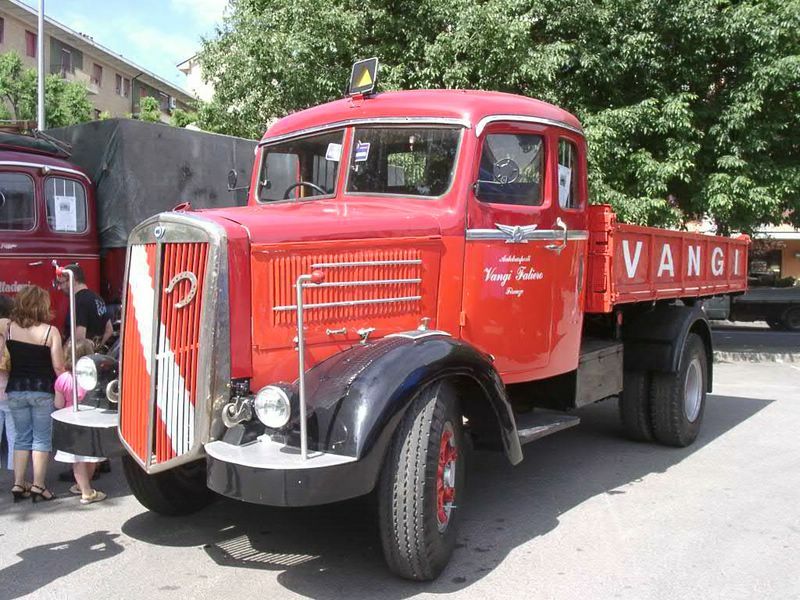 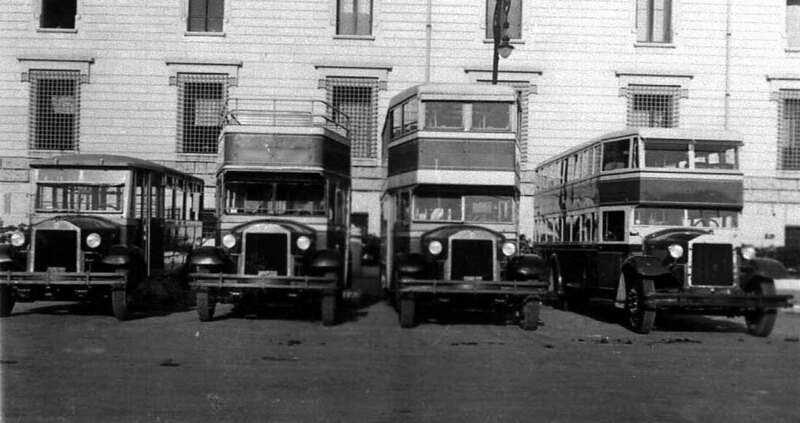 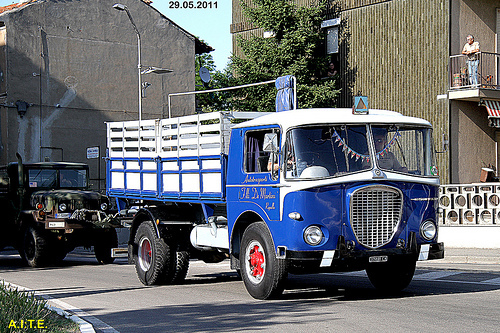 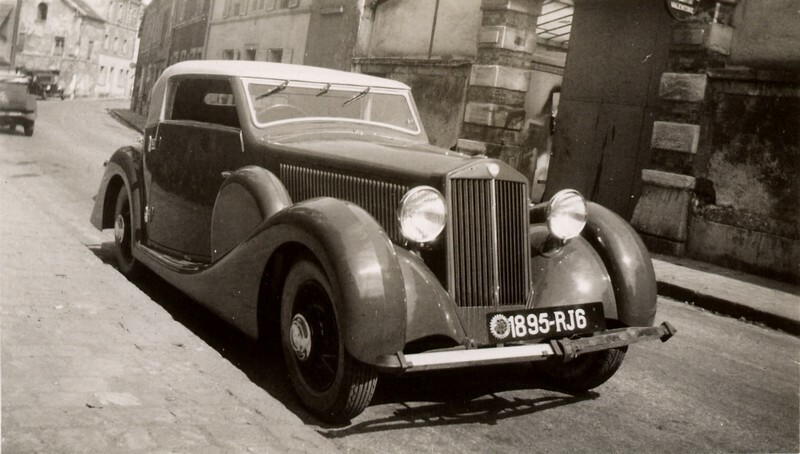 The Lancia family at that time was important for Turin. 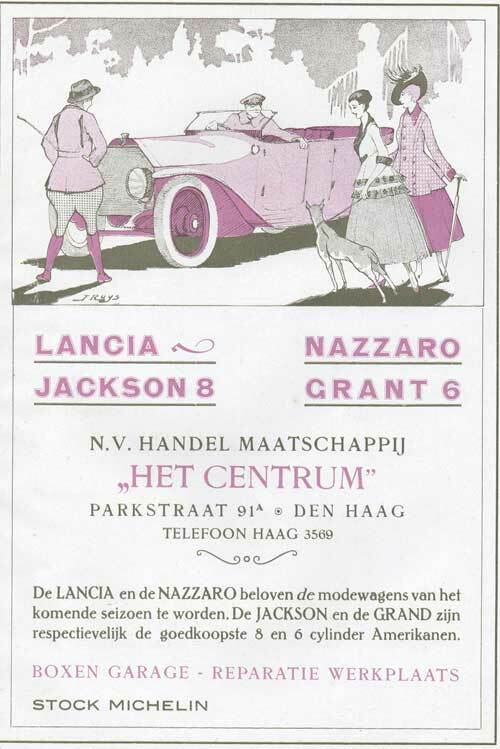 The members of the family liked to go on opera and theatre. 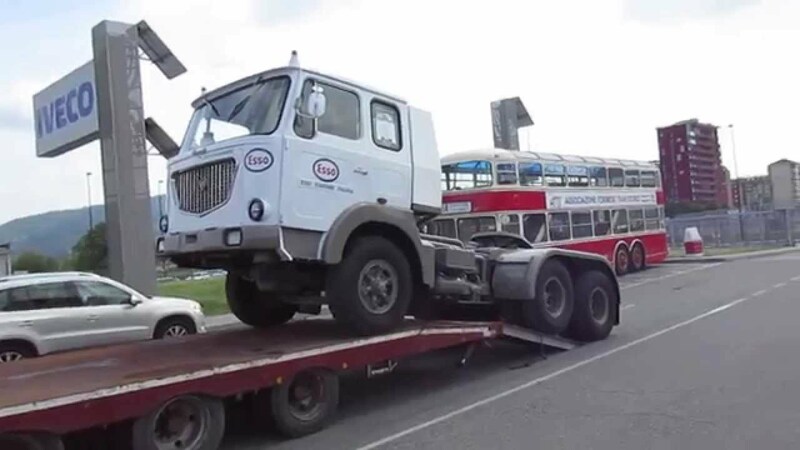 In their free time. 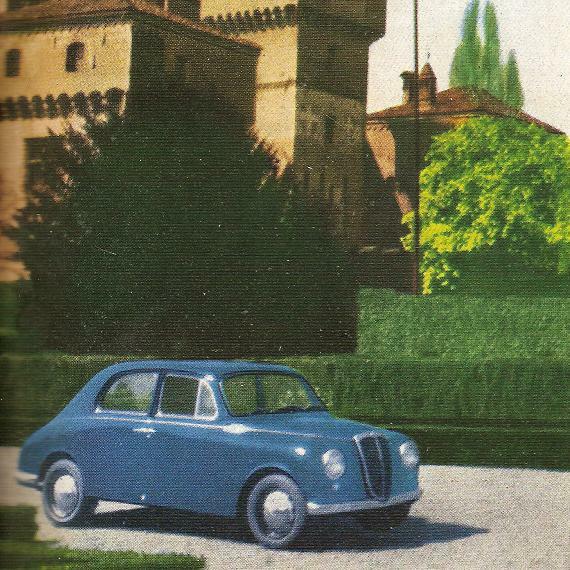 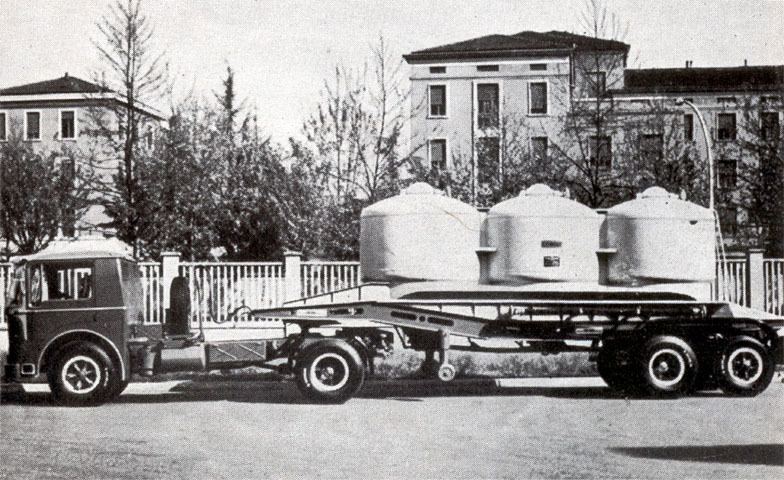 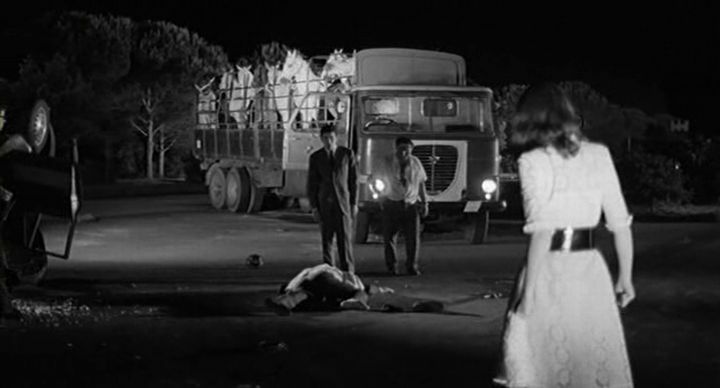 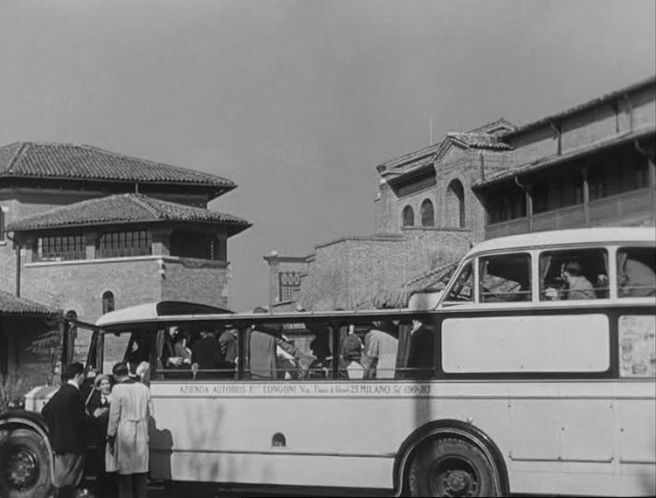 the Lancias spend their time at a villa near Turin. 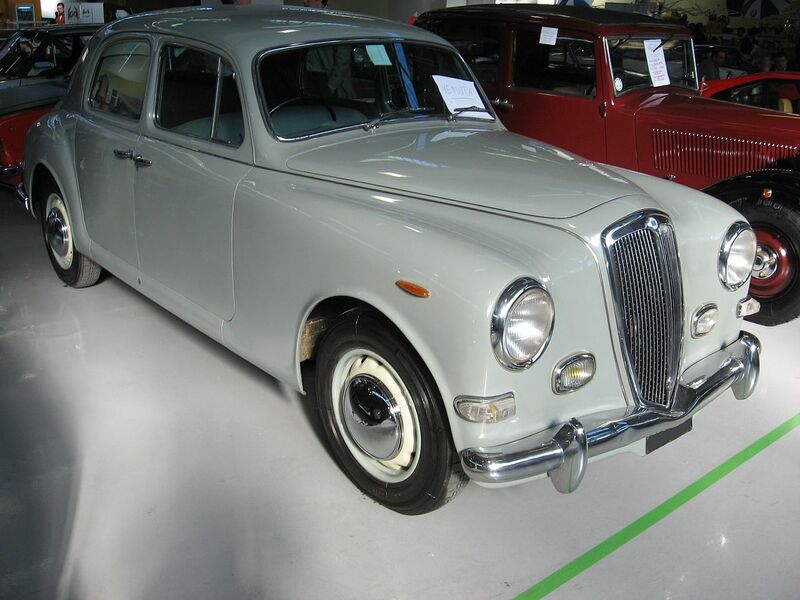 The Lancia Thema was a executive car unveiled in 2011, was a re-branded second generation Chrysler 300 and replaced the Thesis. 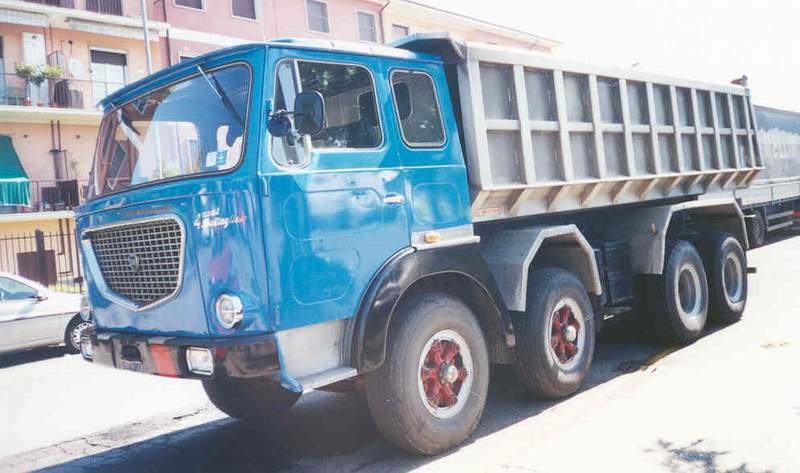 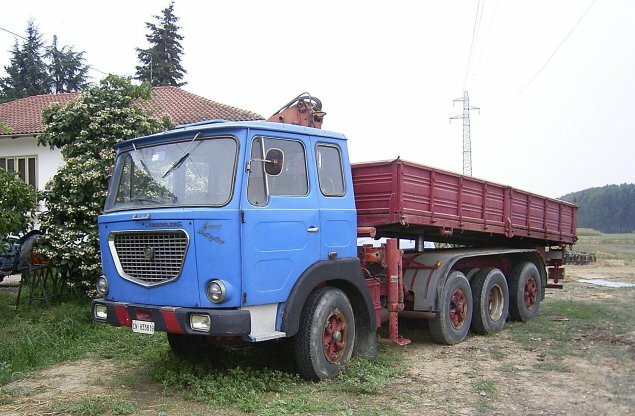 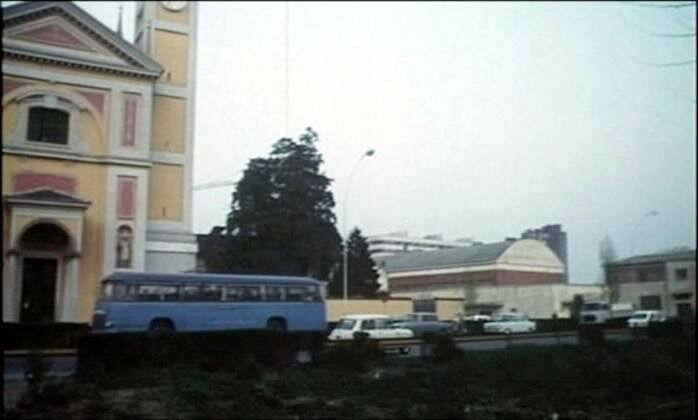 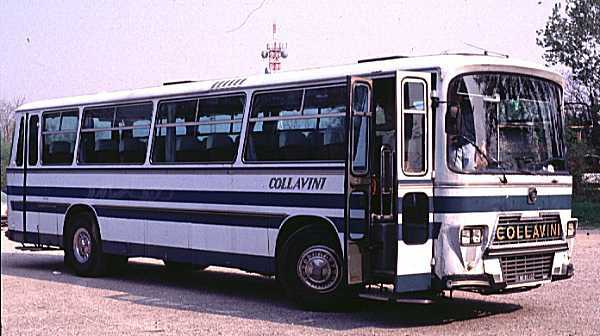 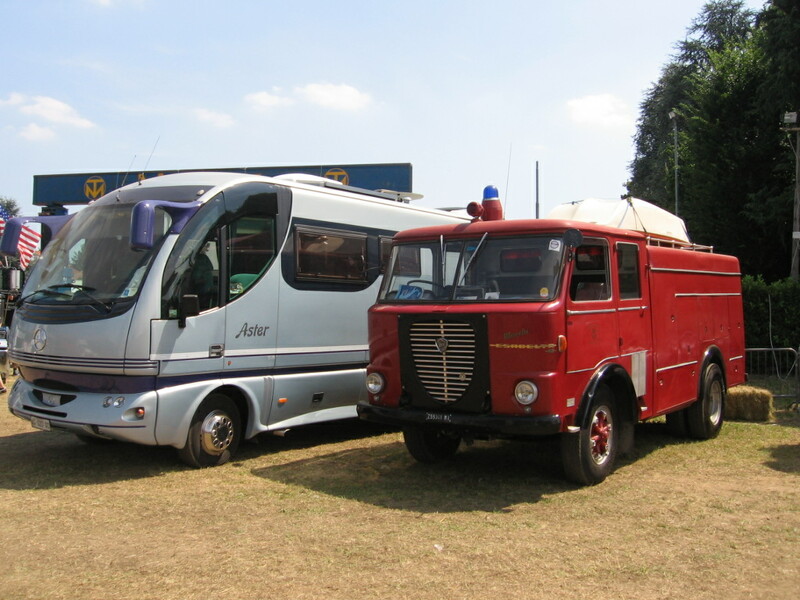 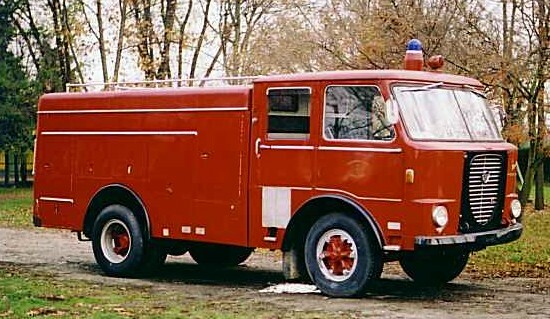 It re–used the Thema name from the saloon of 1984–94 made in Italy. 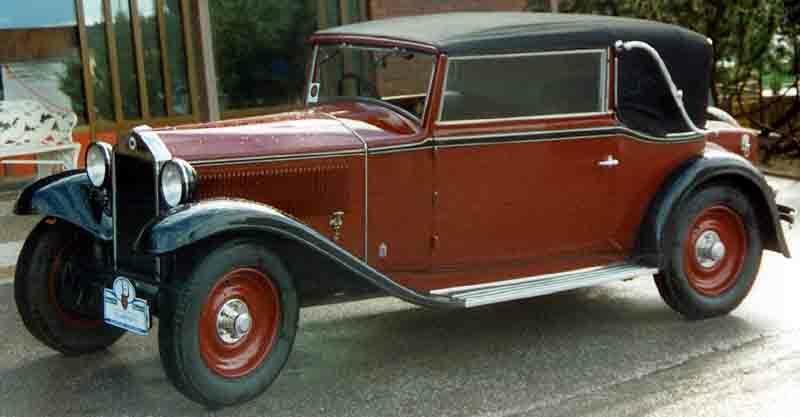 Previously available in various European markets, for the United Kingdom and Ireland it was only sold as the Chrysler 300C. 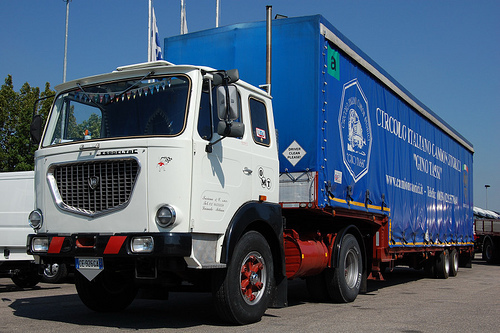 It has since been discontinued in 2015. 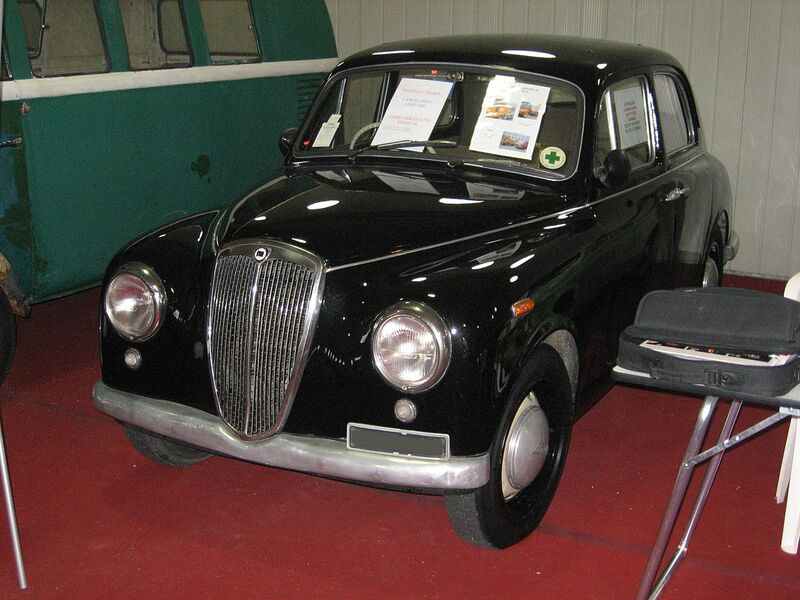 The Lancia Voyager was a large MPV unveiled in 2011, which was based on the Chrysler Town & Country. 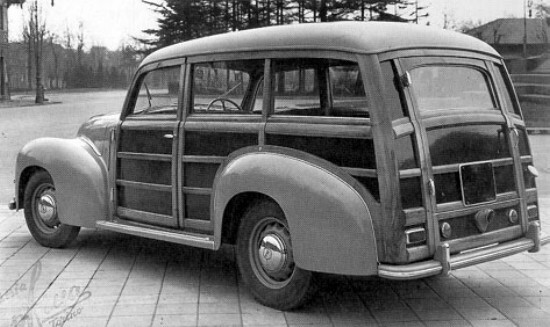 It was marketed in various European markets, for the United Kingdom and Ireland it was only sold as the Chrysler Grand Voyager. 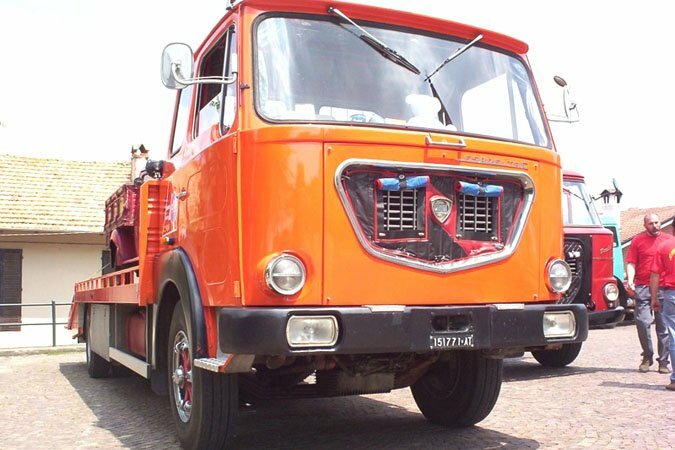 It has since been discontinued in 2015. 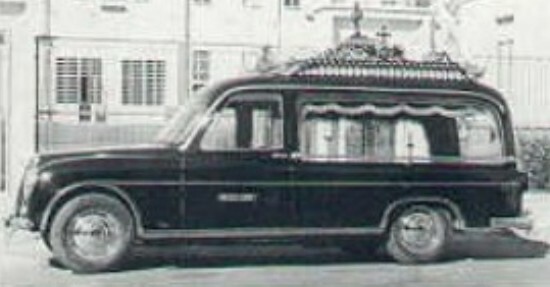 In 1989 Lancia made a limousine version of the model Thema. 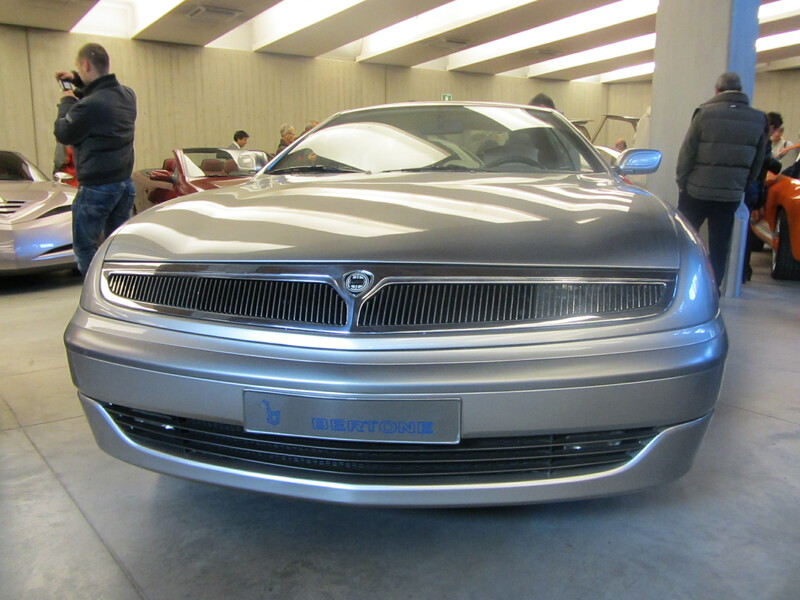 In 1999 Lancia made a limousine version of the Kappa and in 2004 Geneva Motor Show, Stola showed a limousine version of the Lancia Thesis. 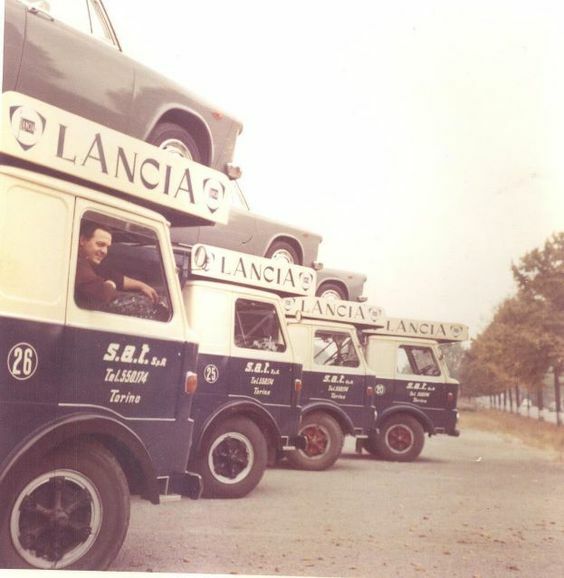 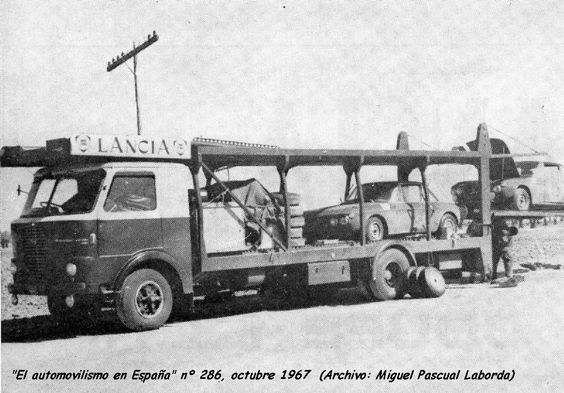 While some models had been imported on a small scale during the 1950s–1960s, Lancias were officially sold in the United States from 1975. 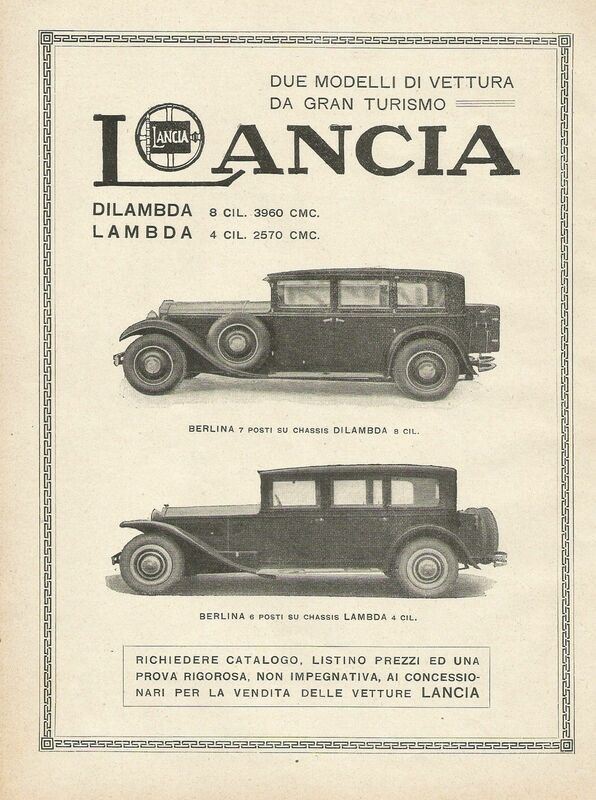 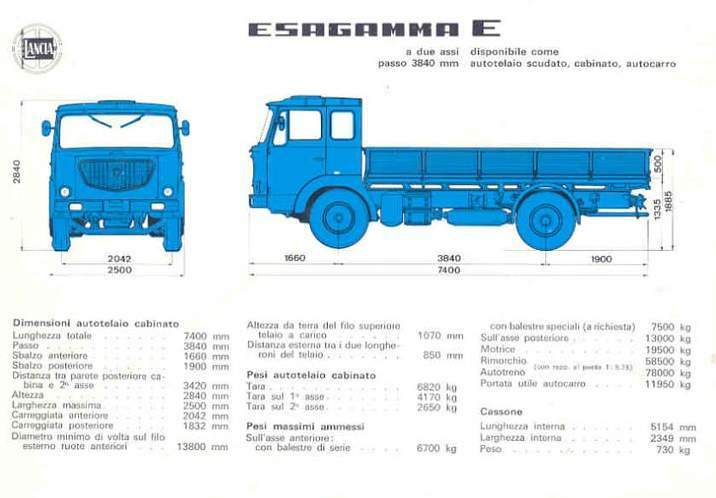 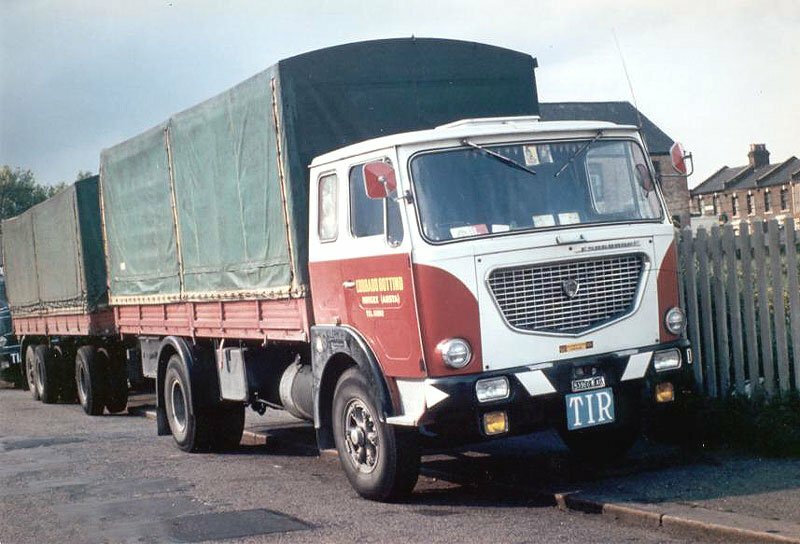 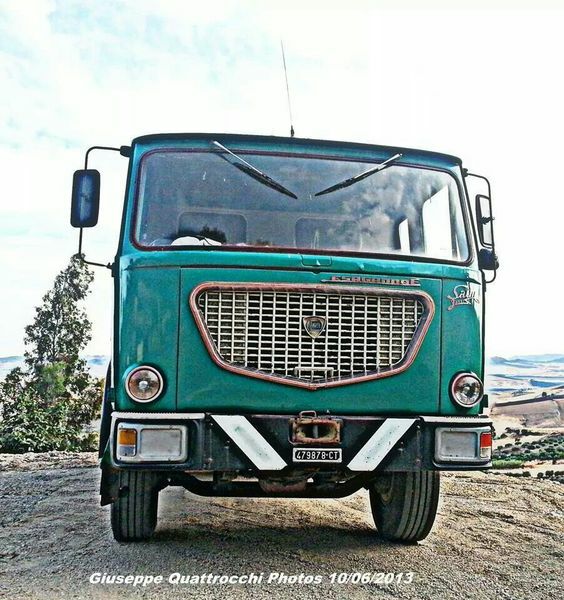 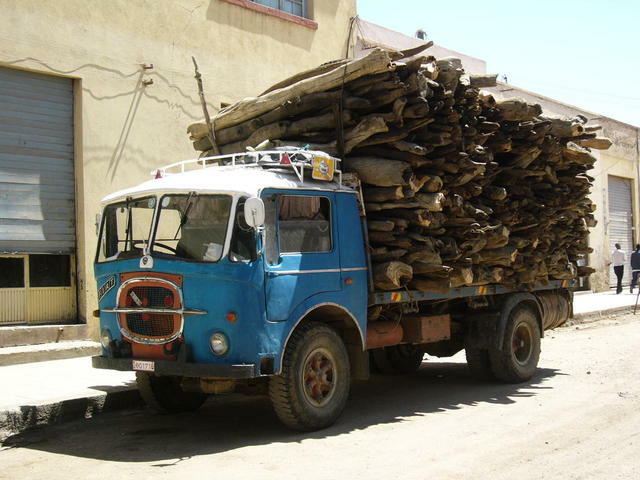 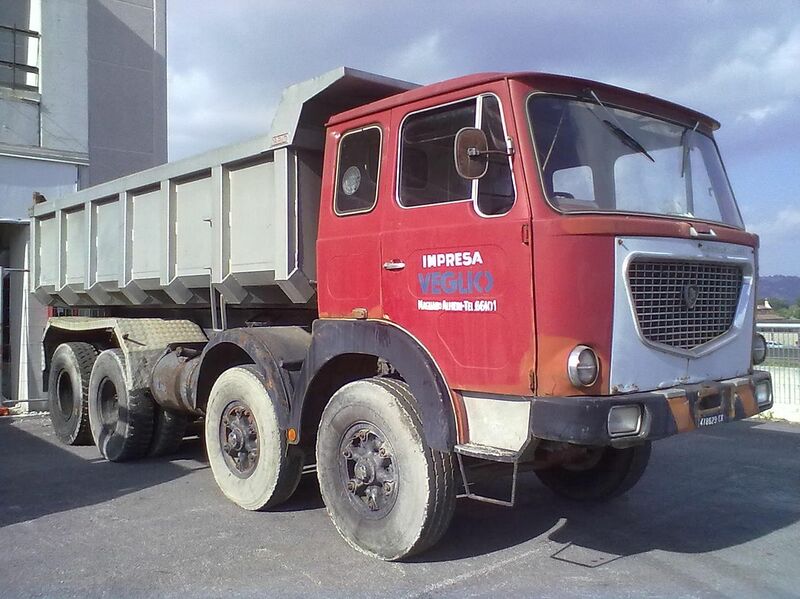 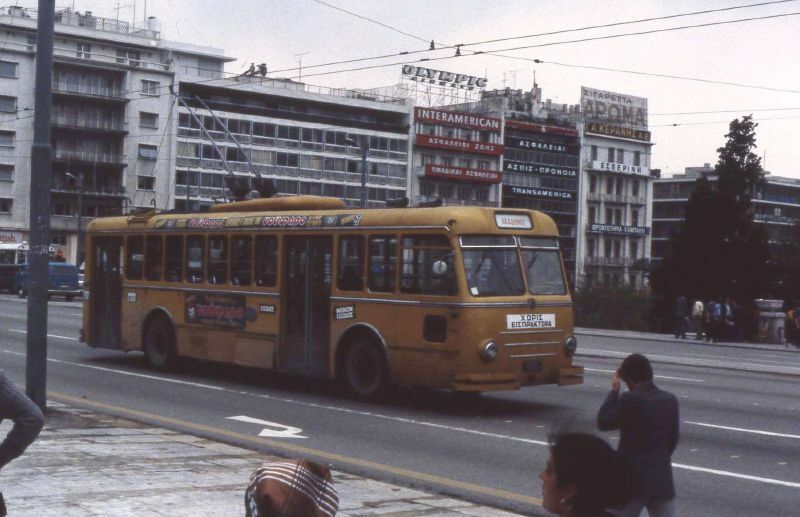 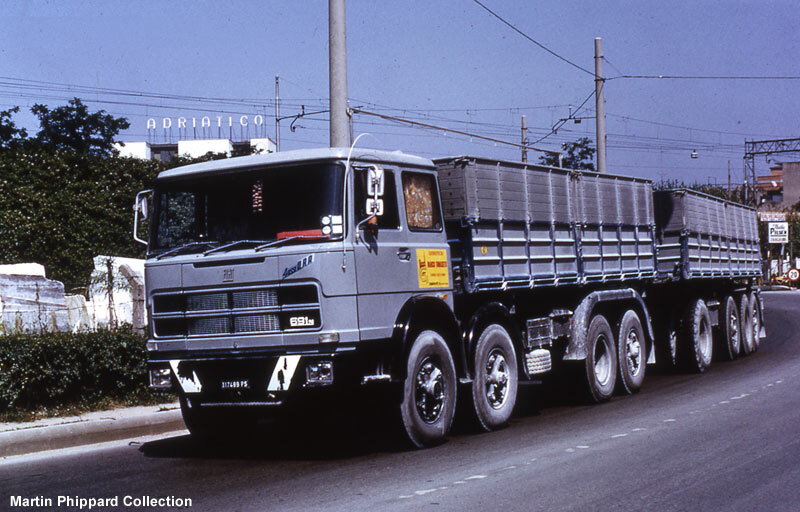 Sales were comparatively slow, and the range was withdrawn at the same time as Fiat in 1982. 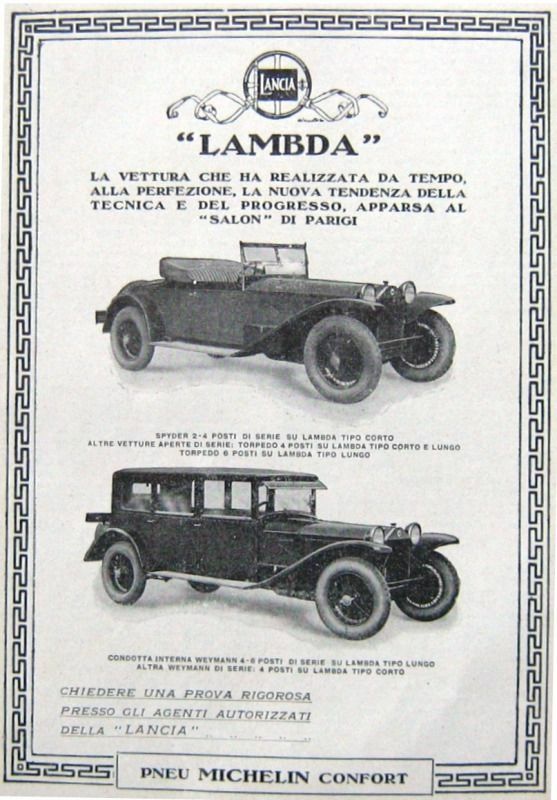 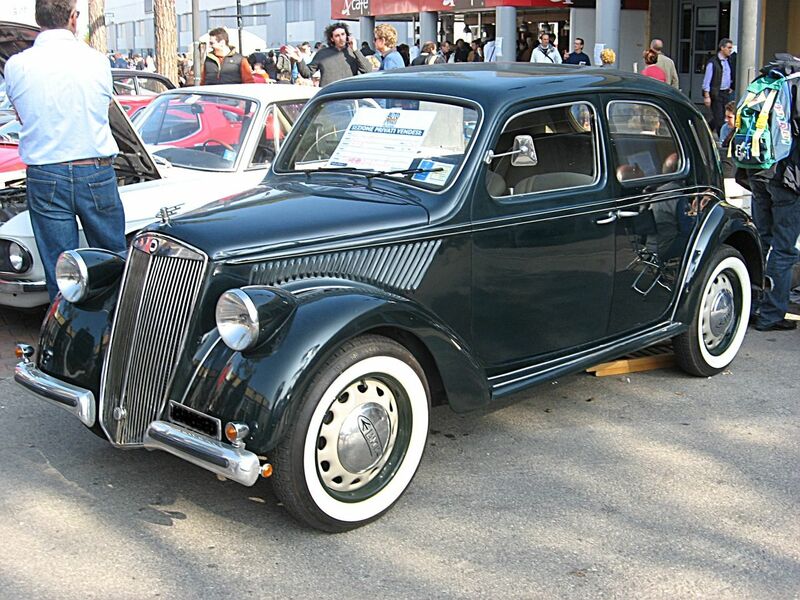 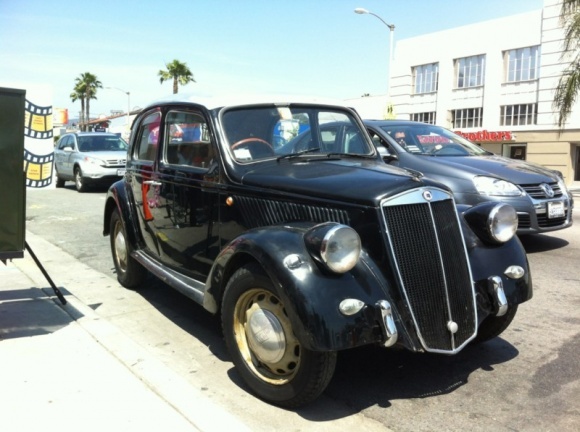 In 2009, following Fiat’s acquisition of a stake in United States-based Chrysler and part of Chrysler’s restructuring plans, it was stated that Fiat plans for the Chrysler brand and Lancia to co–develop products, with some vehicles being shared. 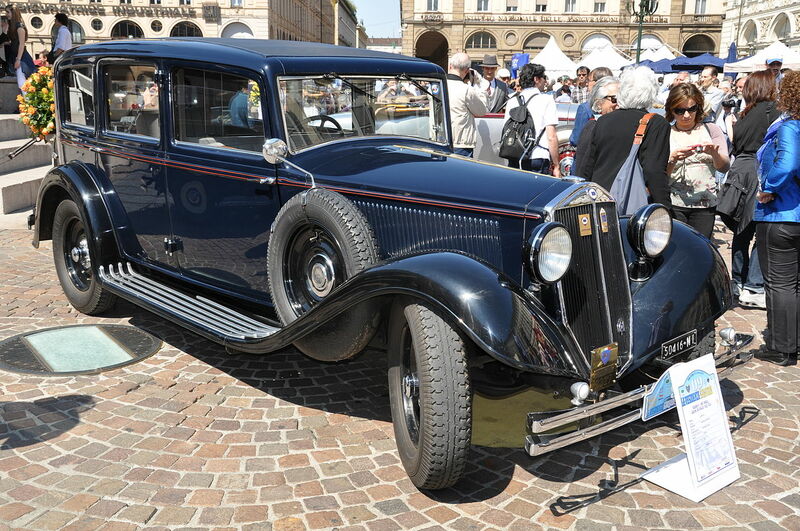 Olivier Francois, Lancia’s CEO, took over as CEO of the Chrysler division in October 2009. 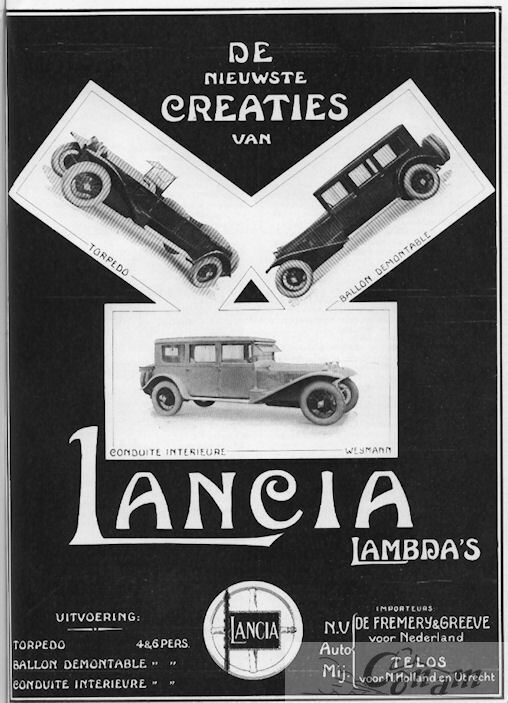 Fiat has also announced that, depending on the market, some Chrysler cars would be sold as Lancias and vice versa. 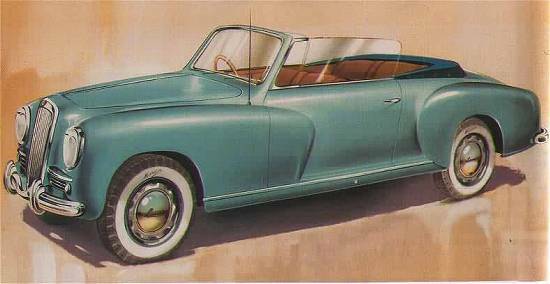 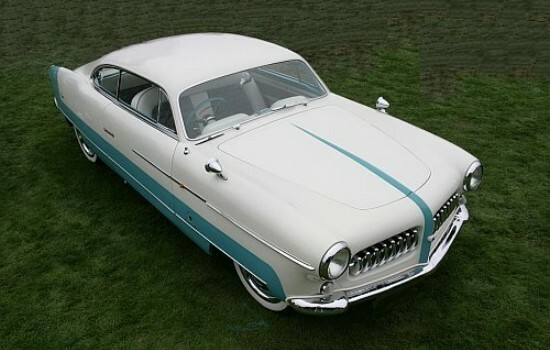 Francois plans to re-establish the Chrysler brand as an upscale brand, was somewhat muddied by the discontinuance of the Plymouth brand. 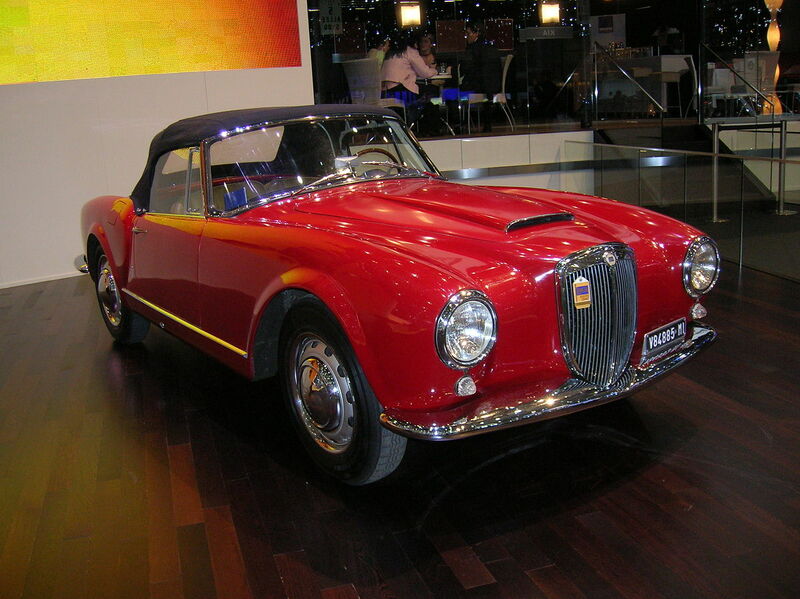 At the 2010 Detroit Auto Show, a Chrysler-badged Lancia Delta was on display, but this did not result in sales in the United States, with proposals to instead modify an Alfa Romeo for sale by 2013. 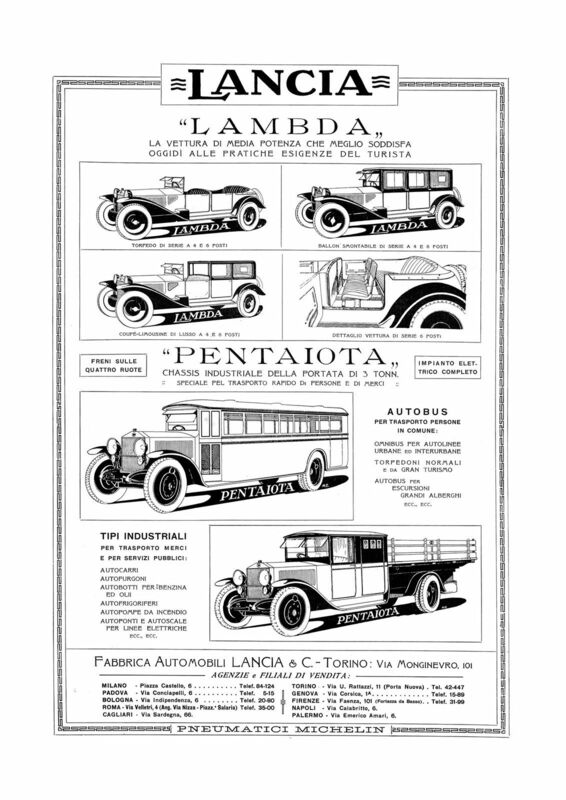 Lancia’s reputation was significantly undermined in 1980, when defective Lancia Beta models, suffering from significant suspension sub-frame corrosion problems, were purchased back from owners by the company in a highly publicised campaign. 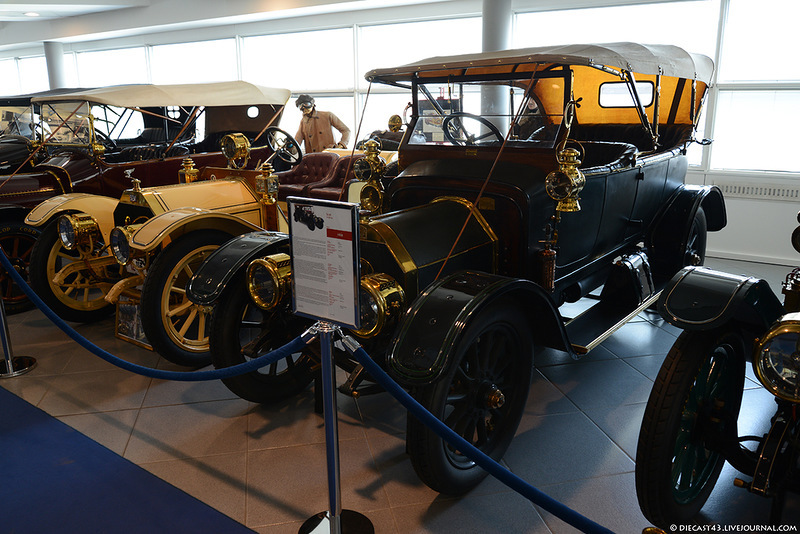 These cars were subsequently crushed. 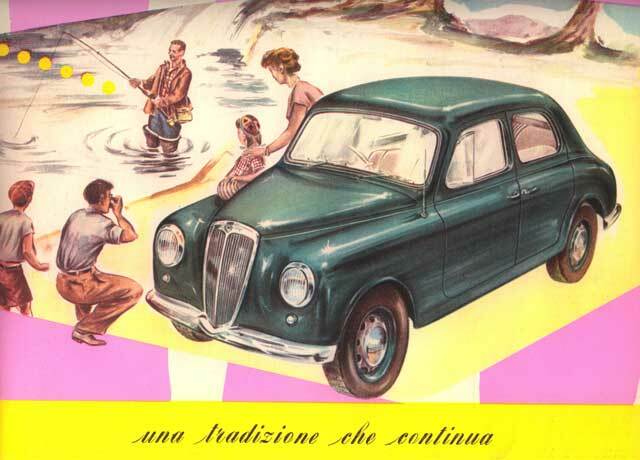 The brand never recovered from the damage inflicted during the Beta recall and, combined with a range of related factors (including poor residual values, which made their range uncompetitive), decided to withdraw from the right hand drive market. 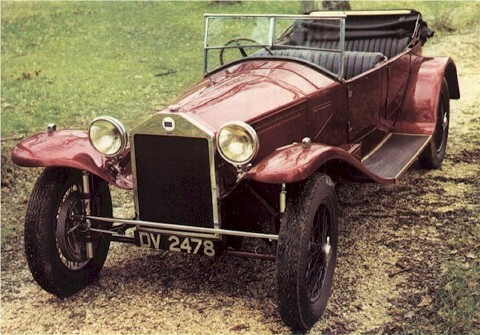 The last model be sold in the United Kingdom was the Delta, boosted by its rallying reputation, withdrawn from sale in 1995. 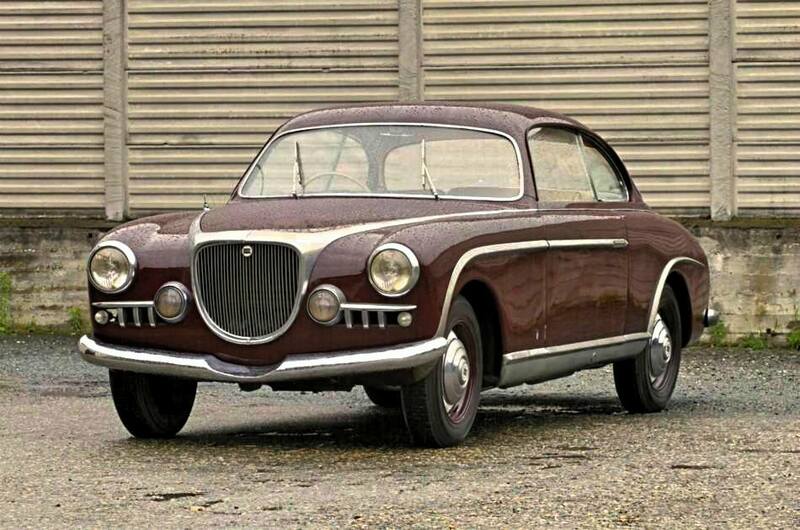 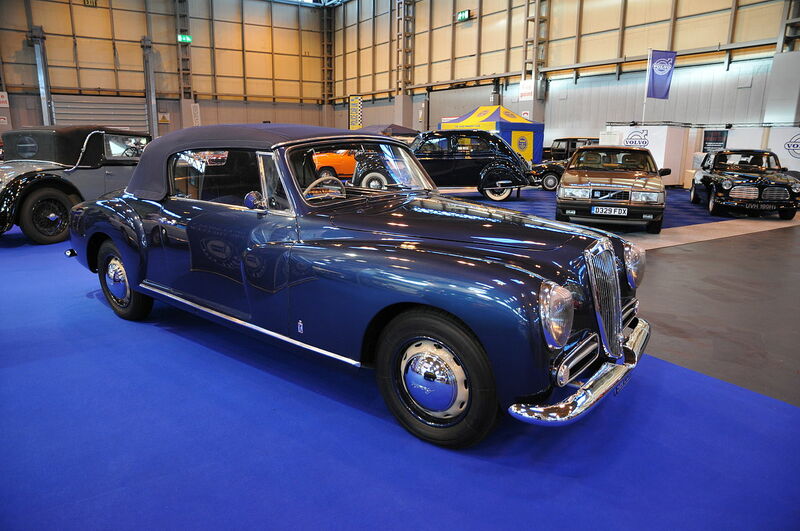 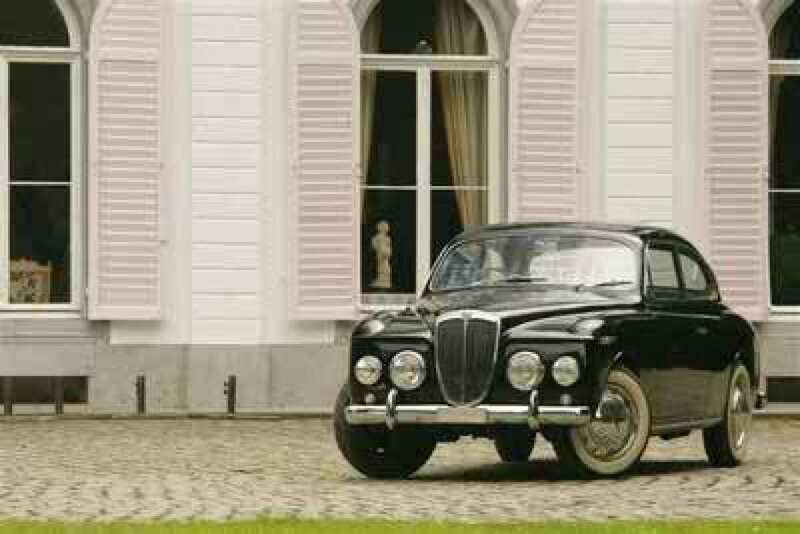 Since 1995, there have been continuous rumours suggesting Lancia’s return to the United Kingdom. 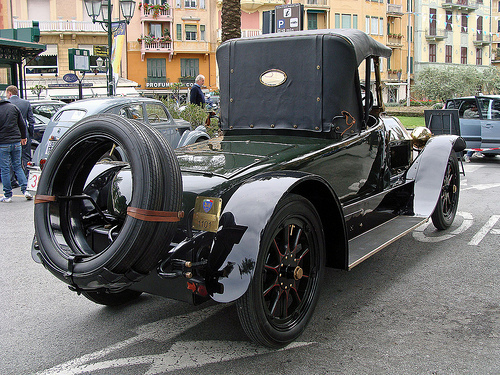 In November 2005, What Car? 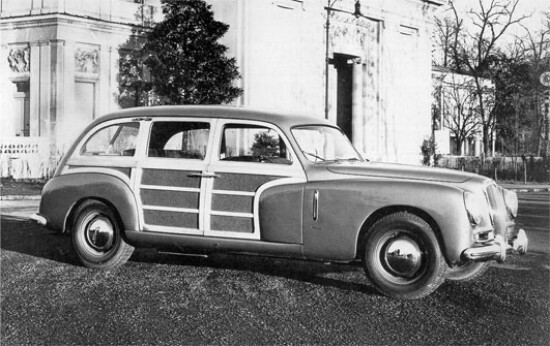 reported rumours over the alleged return, to rival “affordable” premium makes, such as Saab and Volvo. 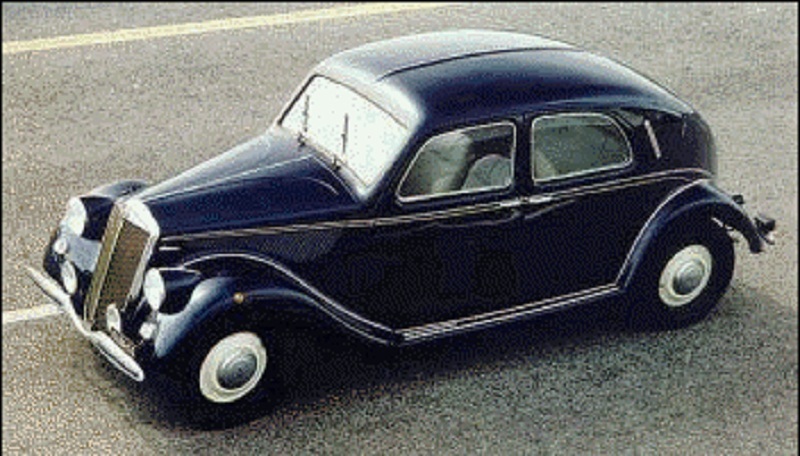 In September 2006, What Car? 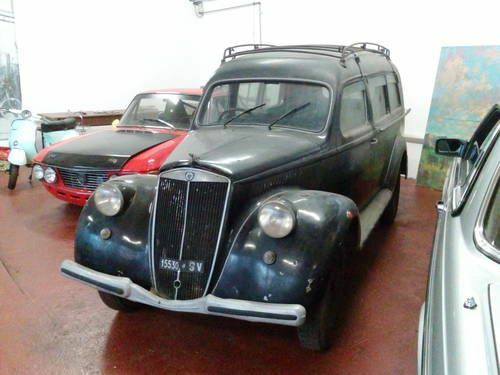 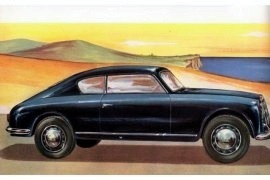 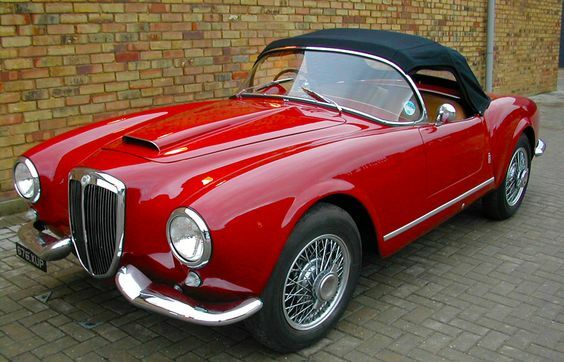 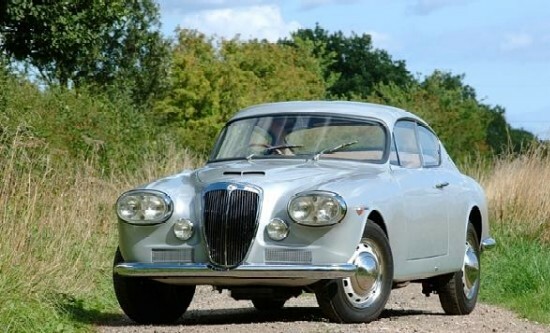 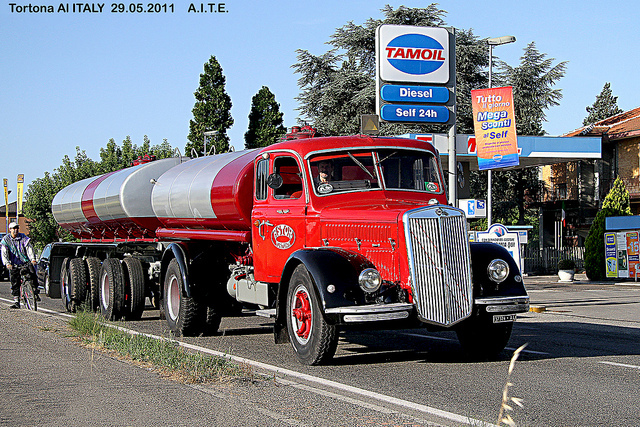 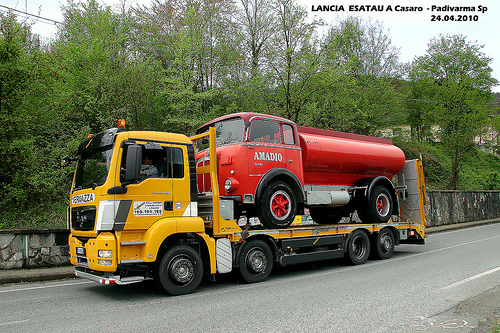 reported that Lancia were officially returning to the United Kingdom. 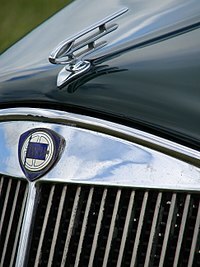 The relaunch date was set for August 2008. 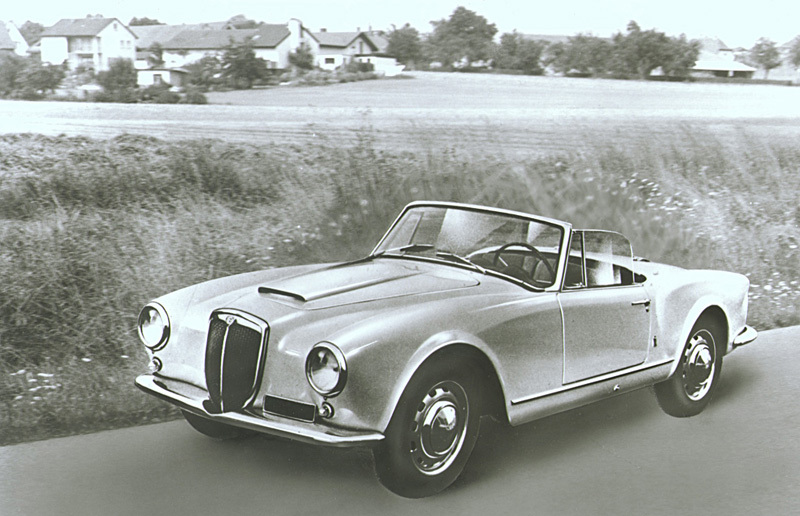 In April 2008, Car reported that Lancia had postponed the relaunch. 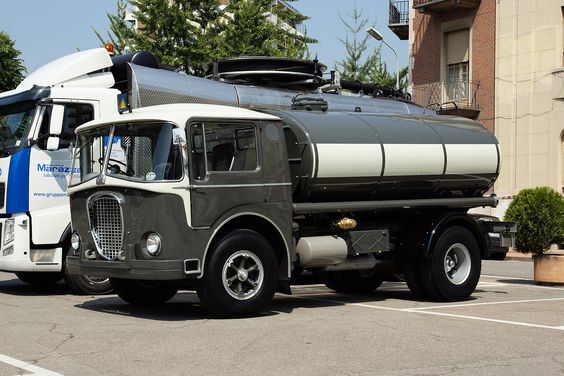 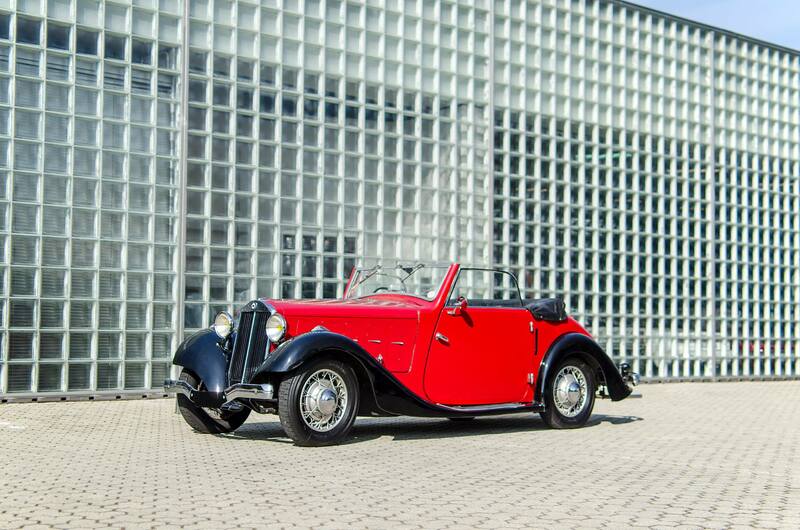 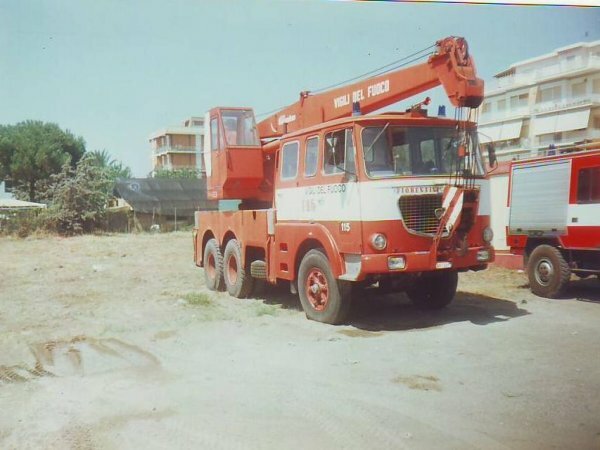 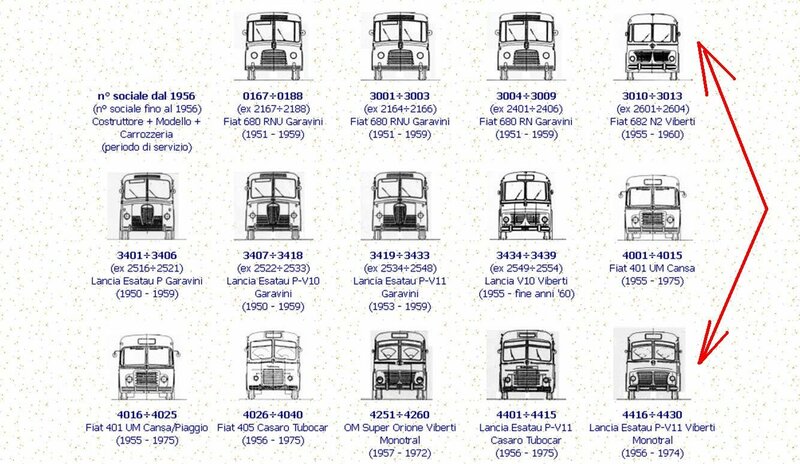 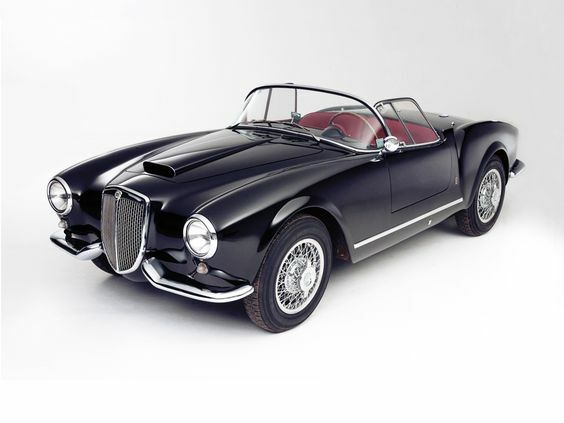 These were credible since Lancia models, by that time, shared common parts with Fiat and Alfa Romeo models that were imported, sold and maintained by an existing dealership network. 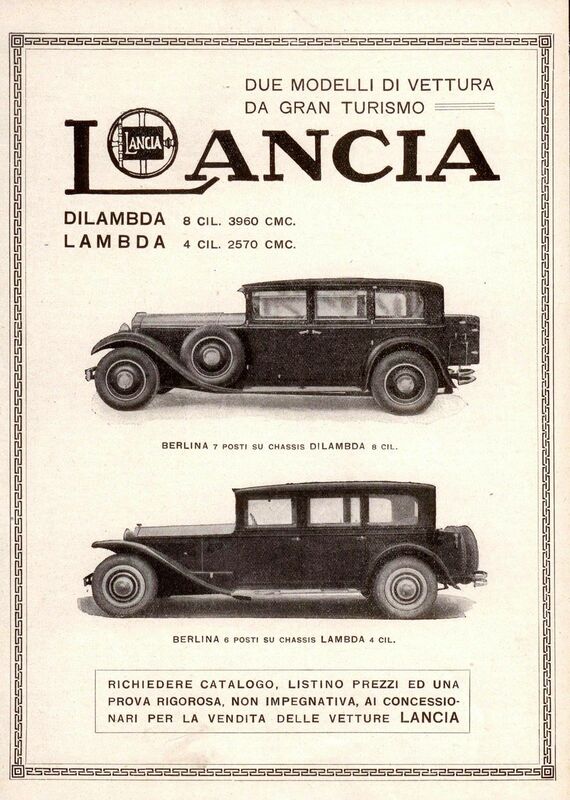 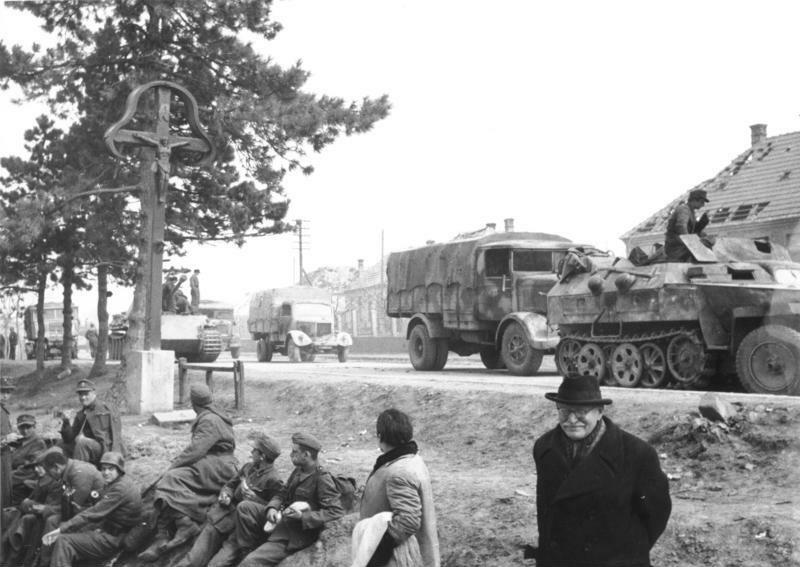 The cost to reestablish the brand were therefore minimal. 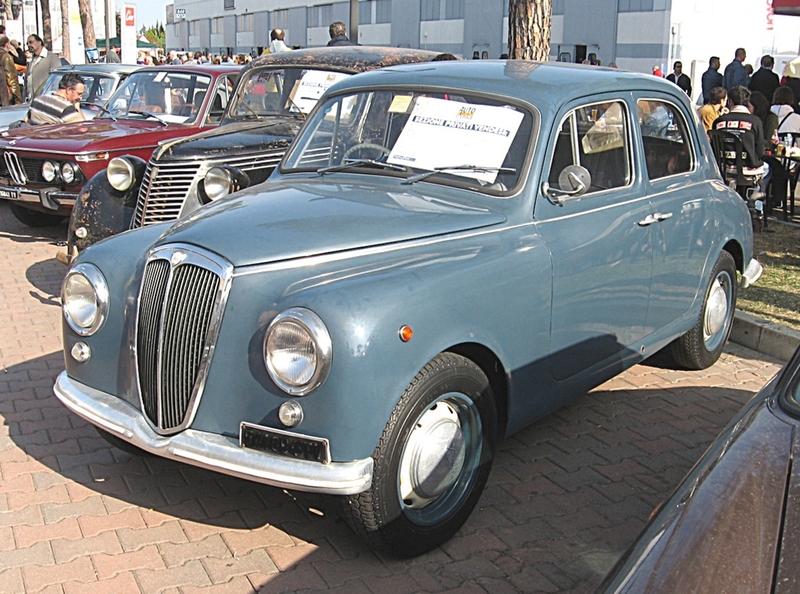 In December 2008, however, Fiat cancelled re–launch plans, due to financial concerns coinciding with the global financial crisis, and the recession. 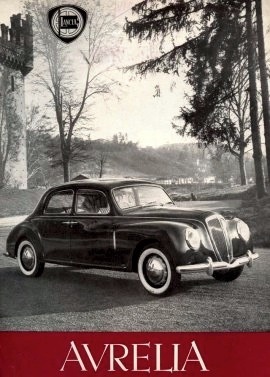 In 2011, Lancia Ypsilon and Delta models were eventually re–introduced to the United Kingdom, but were re–branded as Chrysler. 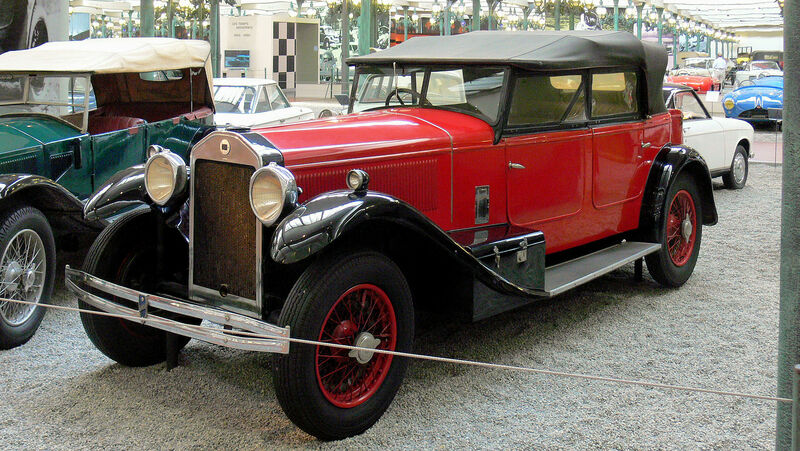 In January 2014, the Delta model was dropped from this line–up. 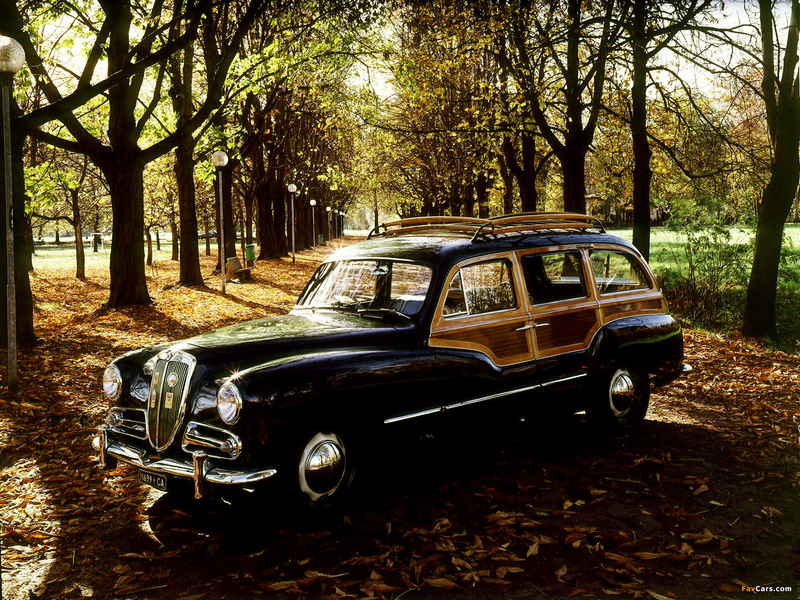 In March 2015, Fiat Group announced that the Chrysler brand would be discontinued in the U.K. in 2017, citing a desire to focus largely on the Jeep brand instead. 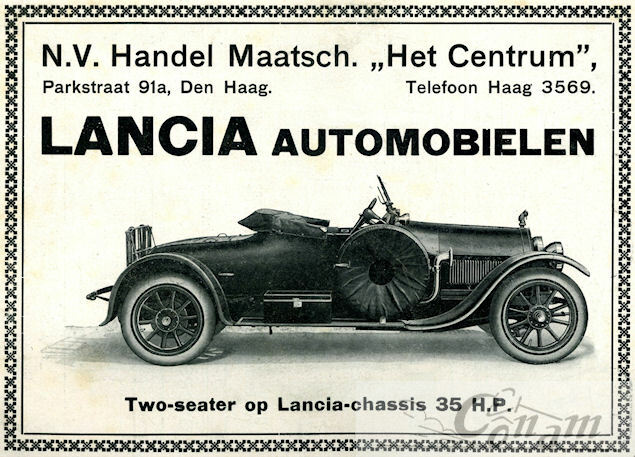 Lancia has been very successful in motorsport over the years, and mostly in the arena of rallying. 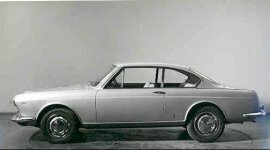 Prior to the forming of the World Rally Championship, Lancia took the final International Championship for Manufacturers title with the Fulvia in 1972. 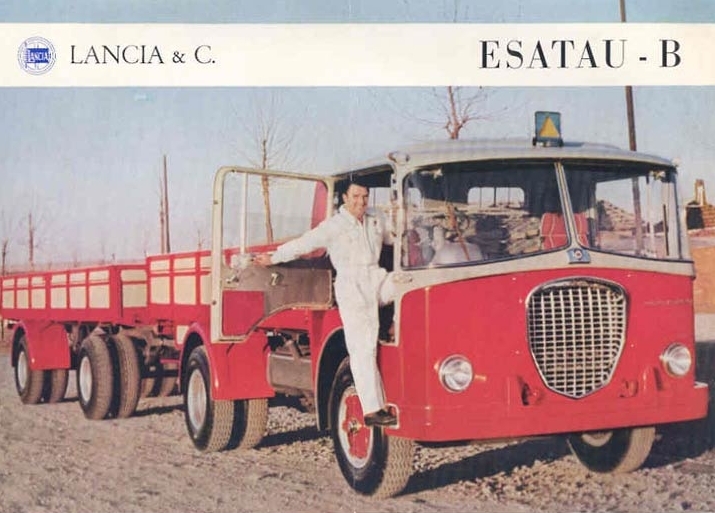 In the WRC, they remain the most statistically successful marque (despite having withdrawn at the end of the 1993 season), winning constructors’ titles with the Stratos (1974, 1975 and 1976), the 037(1983) and the Delta (six consecutive wins from 1987 to 1992). 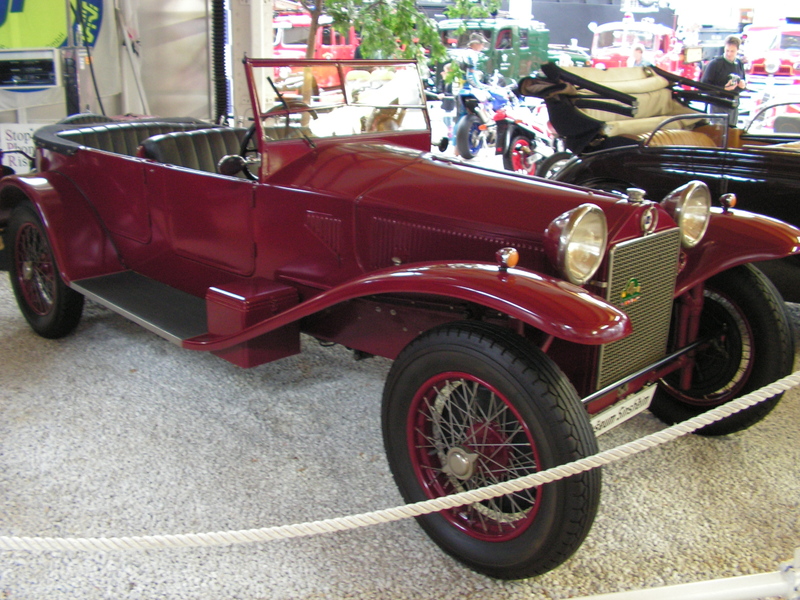 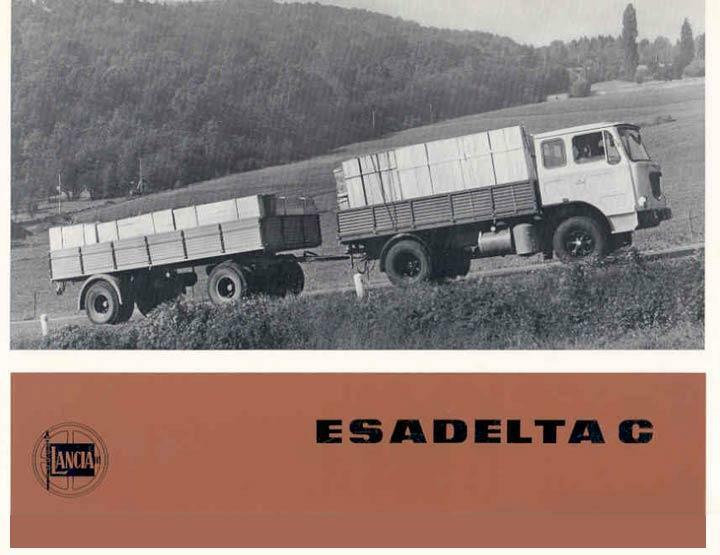 The Delta is also the most successful individual model designation ever to compete in rallying. 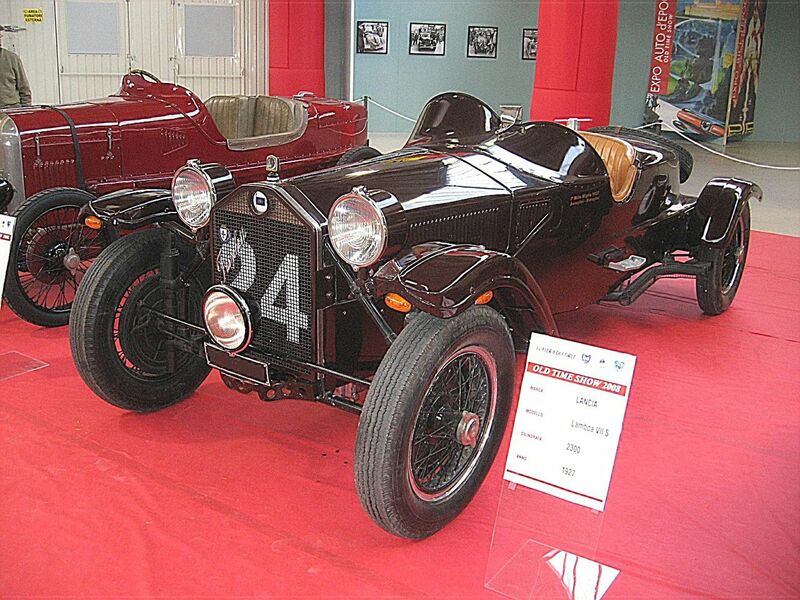 All this gave Lancia a total of 11 Championships over the years. 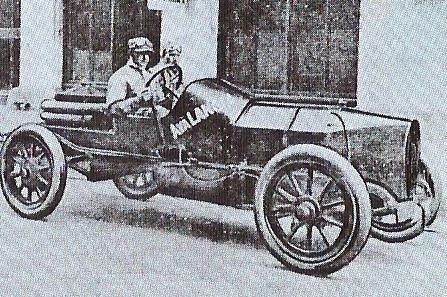 Juha Kankkunen and Miki Biasion both won two drivers’ titles with the Delta. 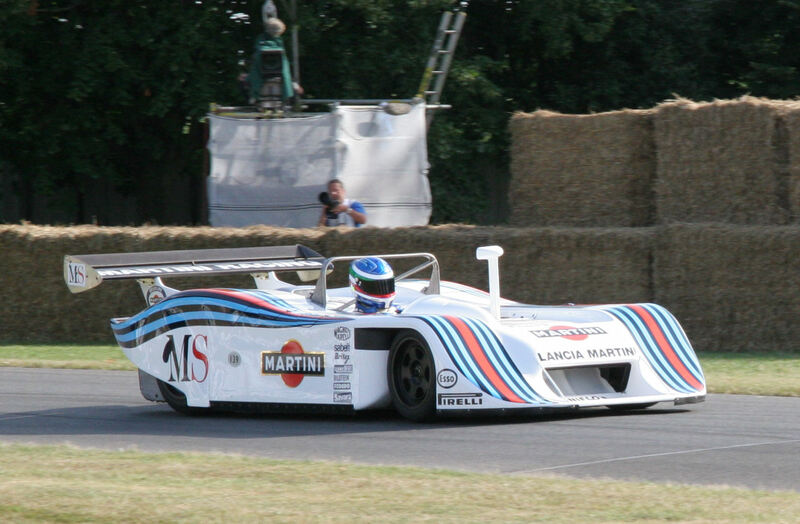 Among other drivers to take several World Rally Championship wins with Lancia were Markku Alén, Didier Auriol, Sandro Munari, Bernard Darniche,Walter Röhrl, Björn Waldegård and Henri Toivonen. 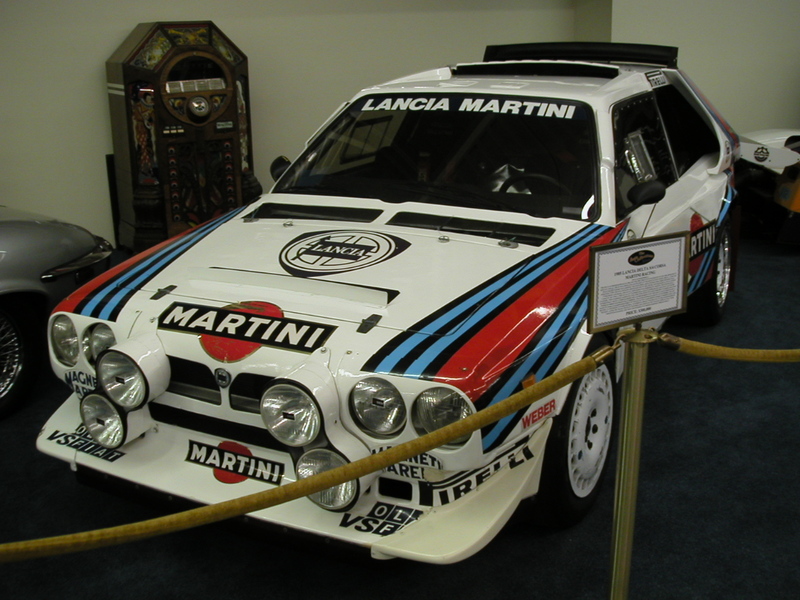 The history of the brand in rallying is also tainted with tragedy, with deaths of Italian driver Attilio Bettega at the 1985 Tour de Corse in a Lancia 037 and then Finnish championship favourite Toivonen in a Lancia Delta S4 at the same rally exactly a year later. 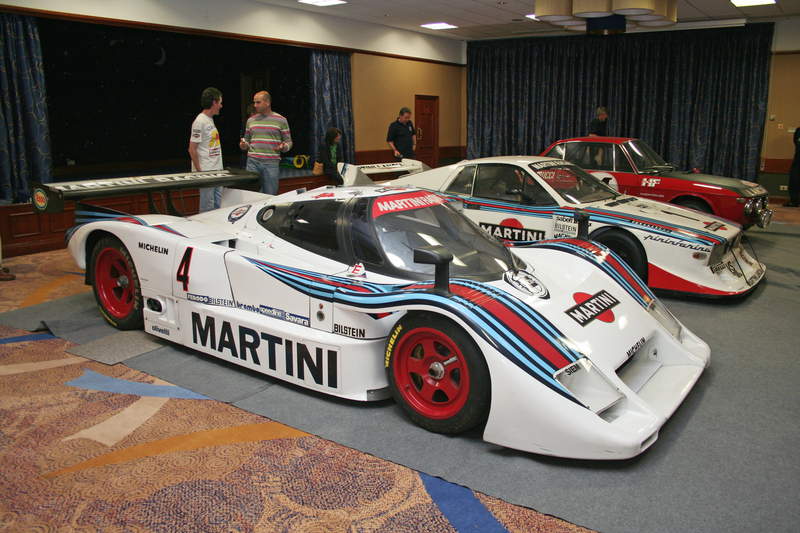 These deaths would eventually lead to the end of Group B rallying. 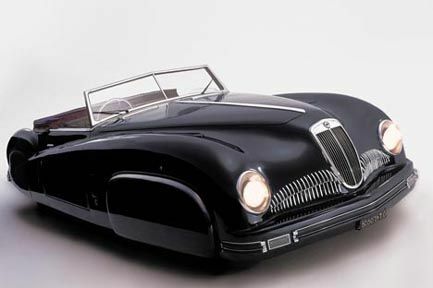 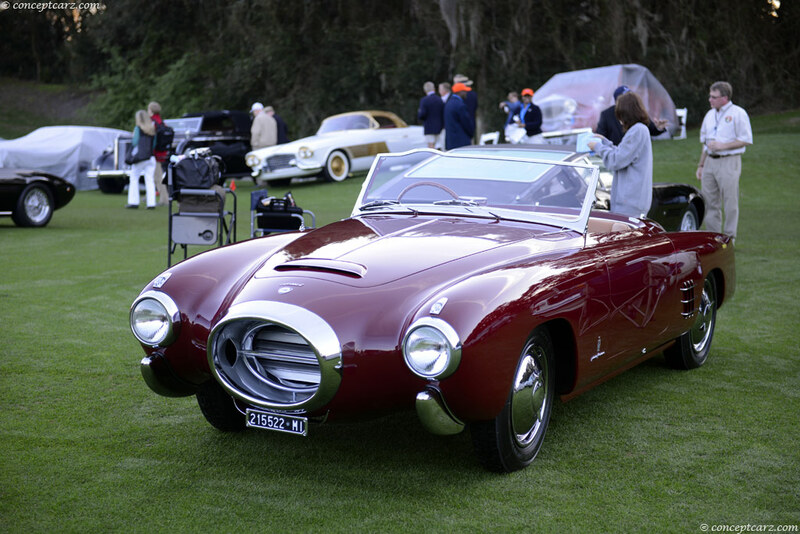 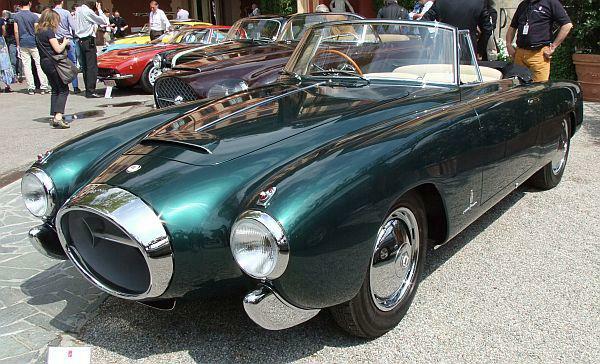 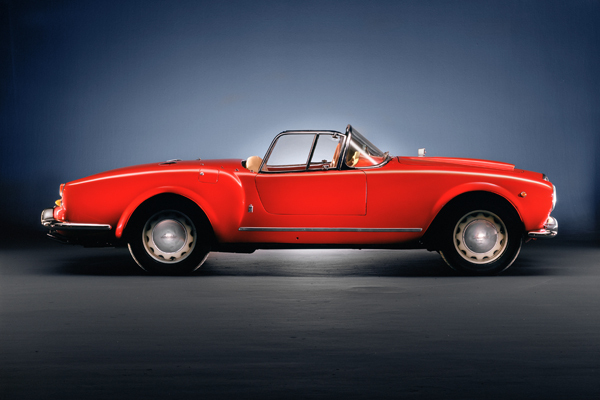 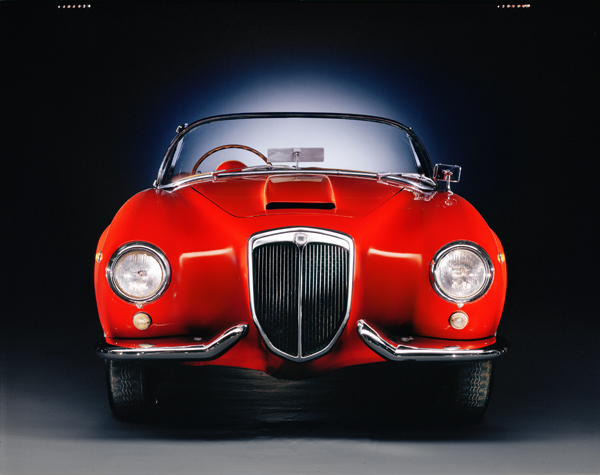 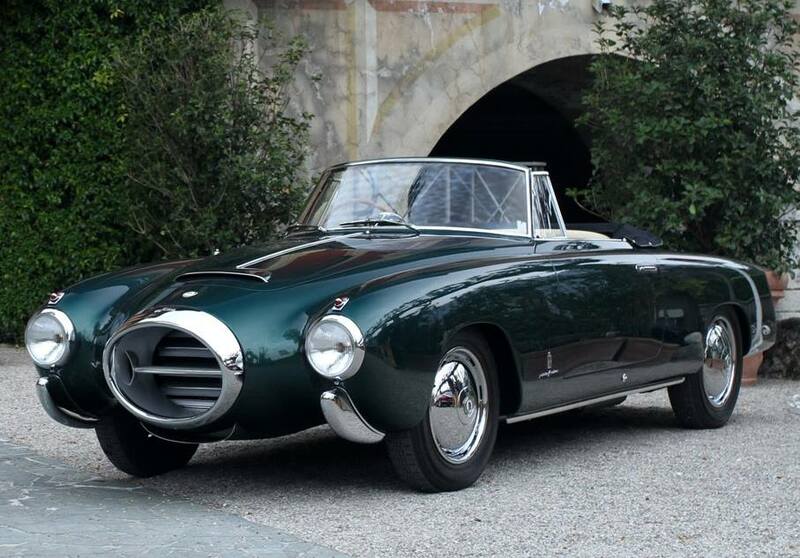 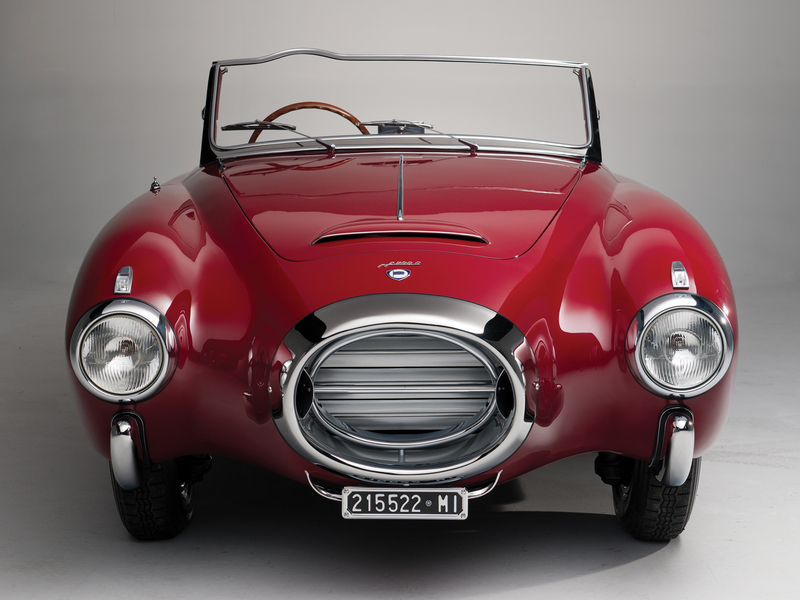 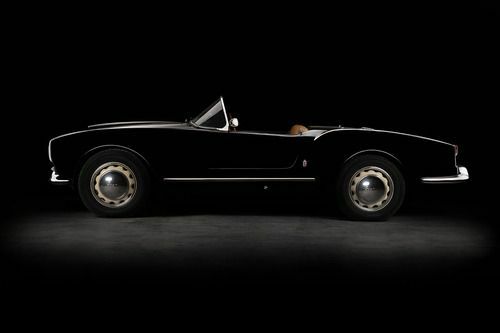 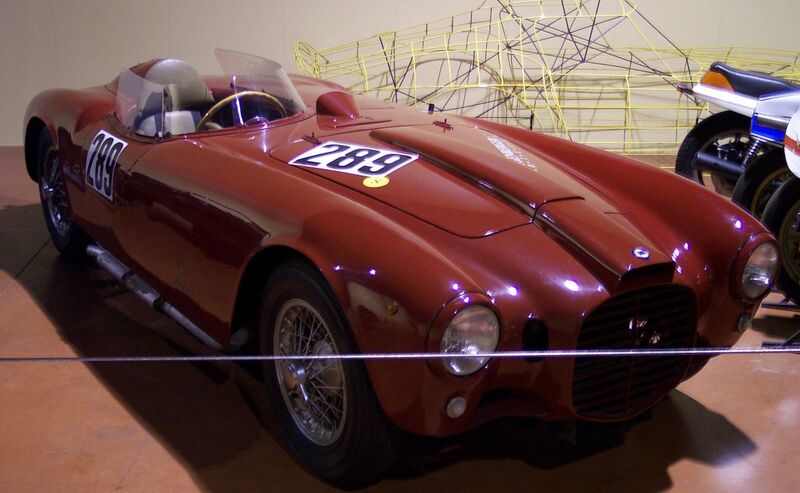 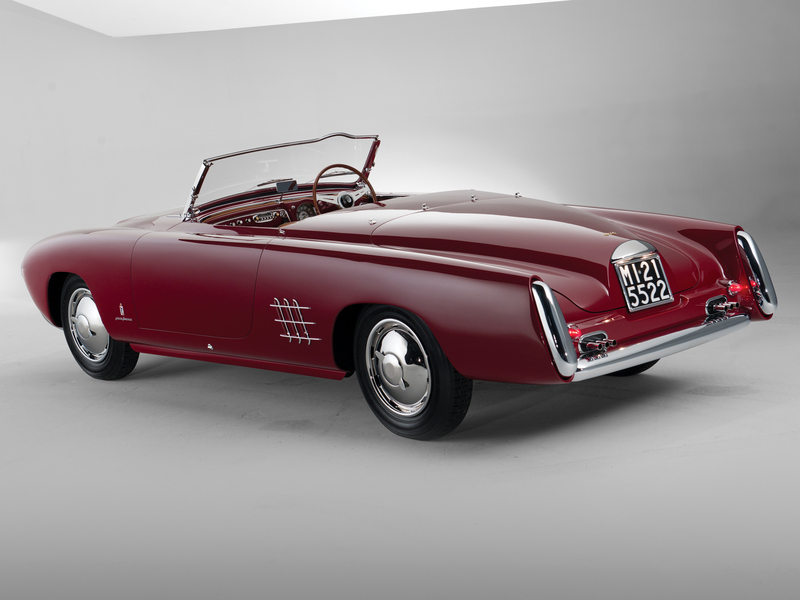 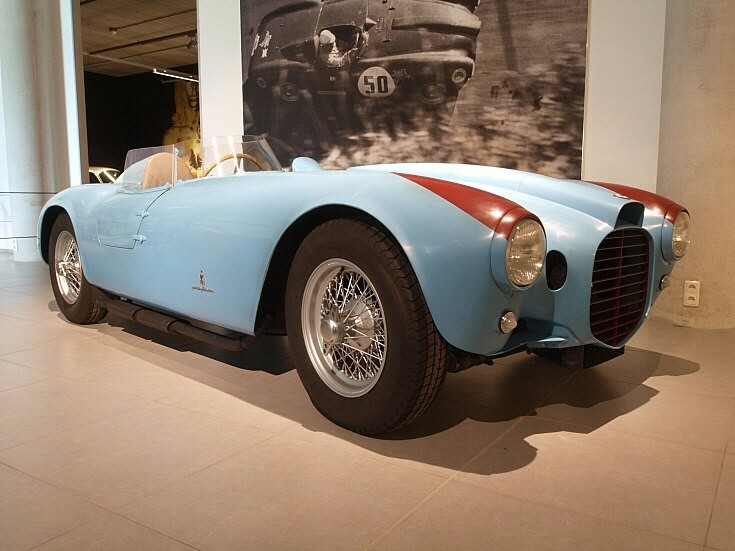 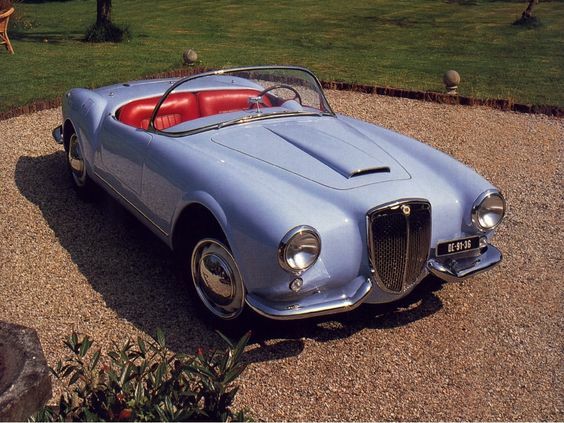 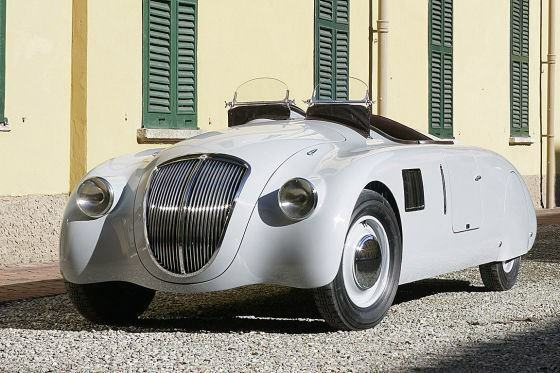 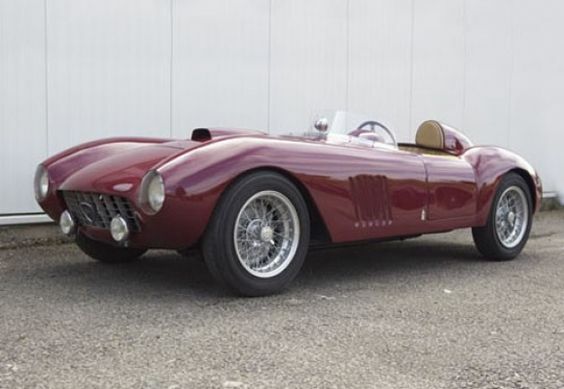 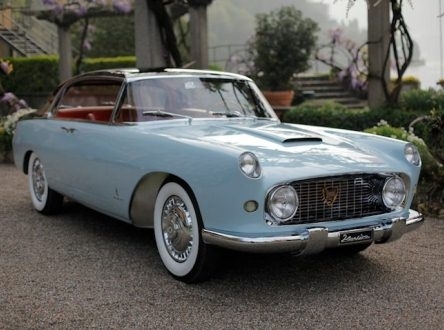 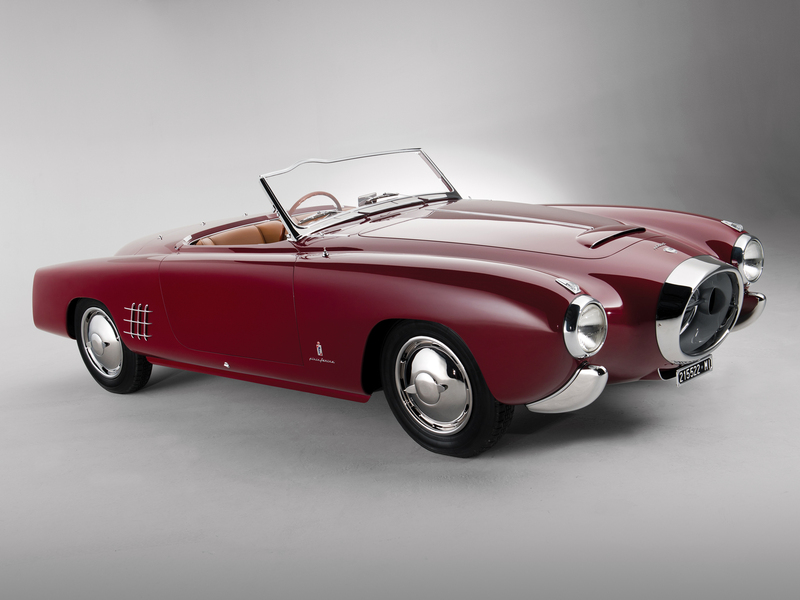 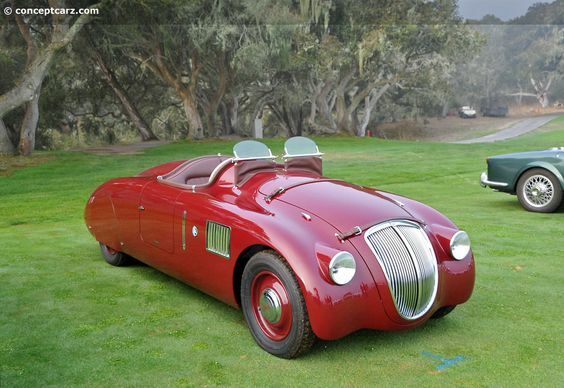 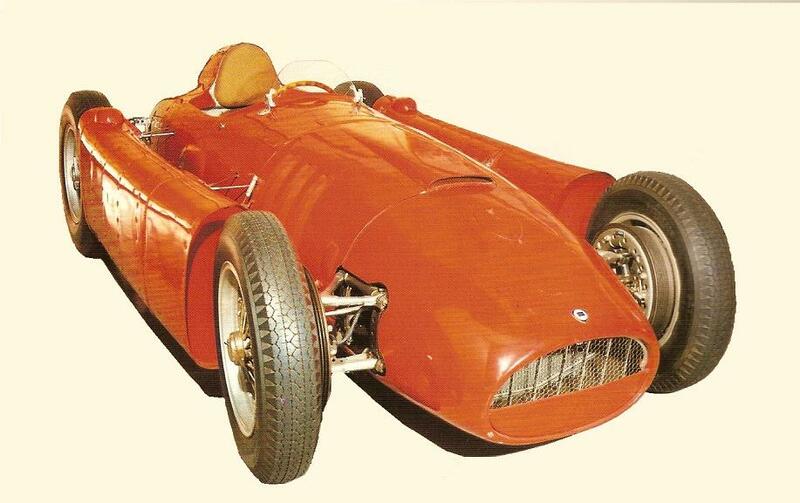 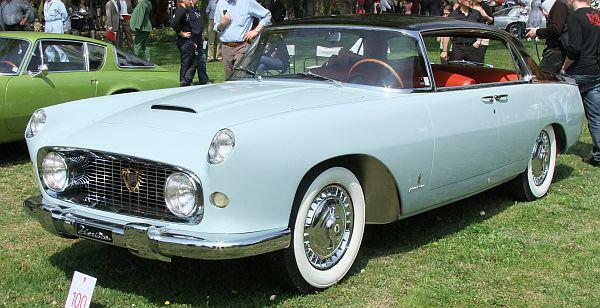 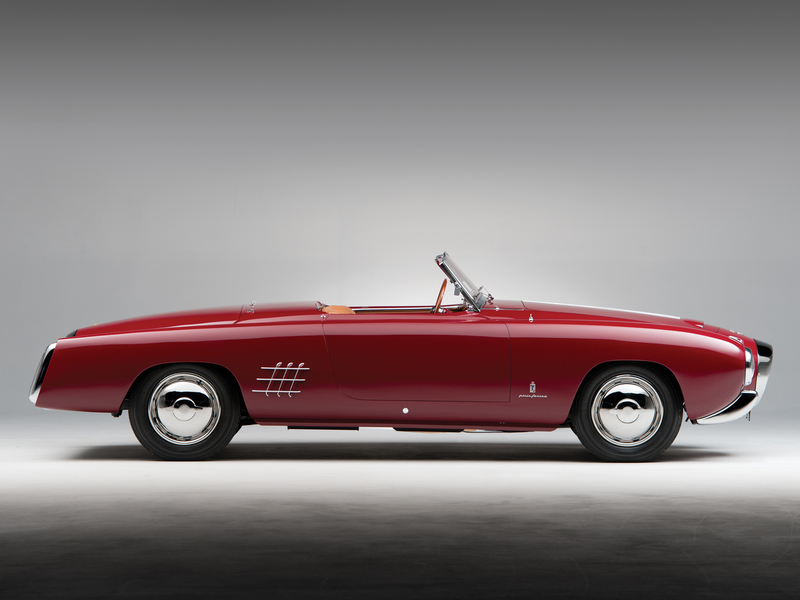 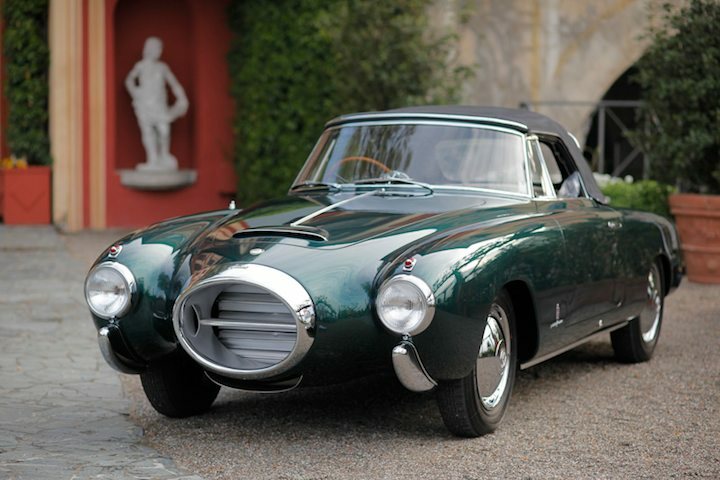 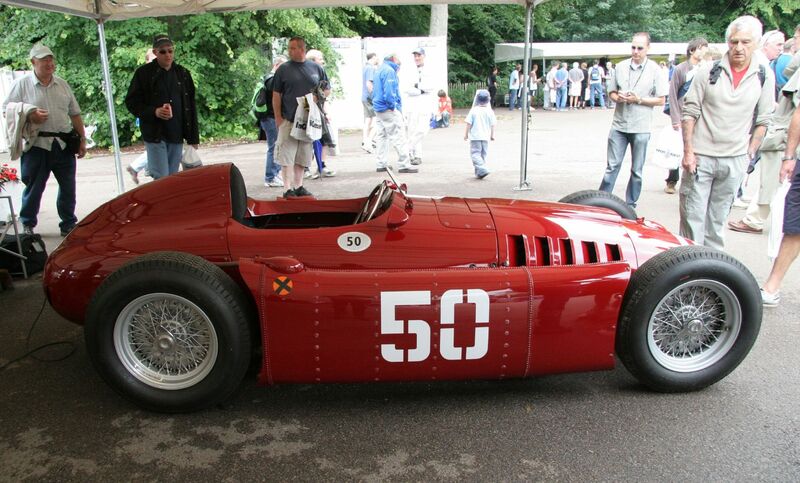 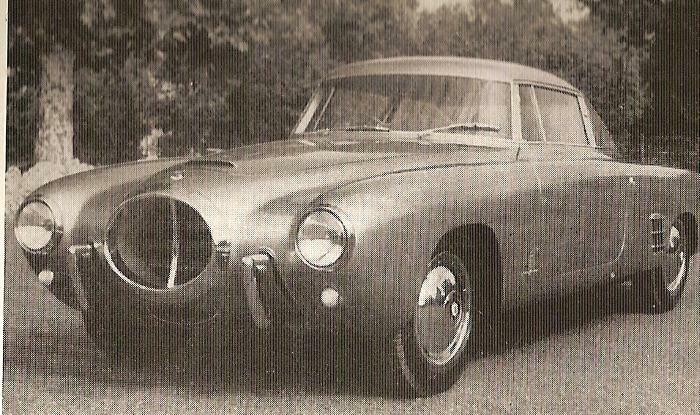 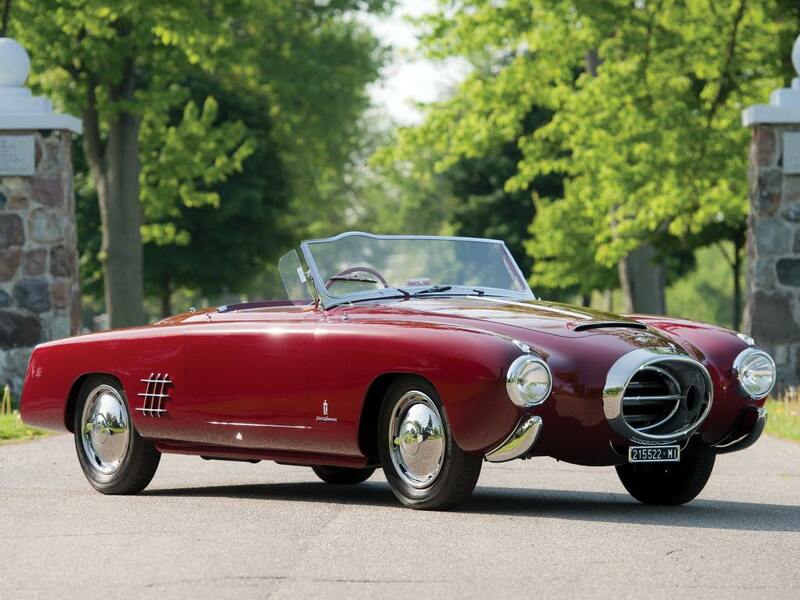 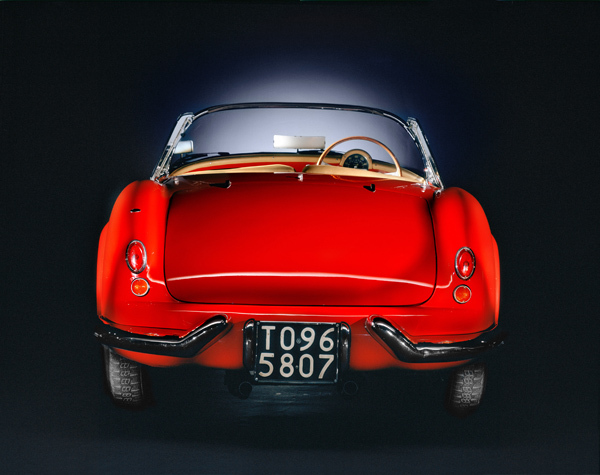 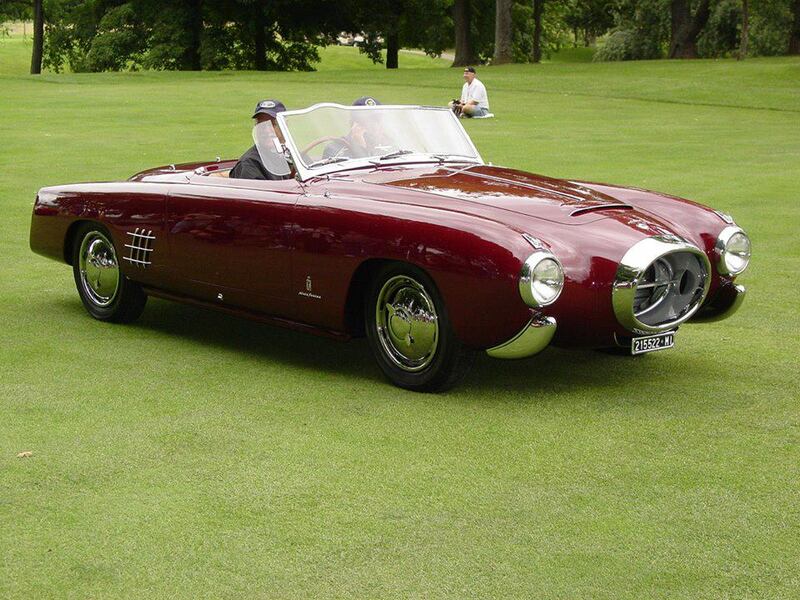 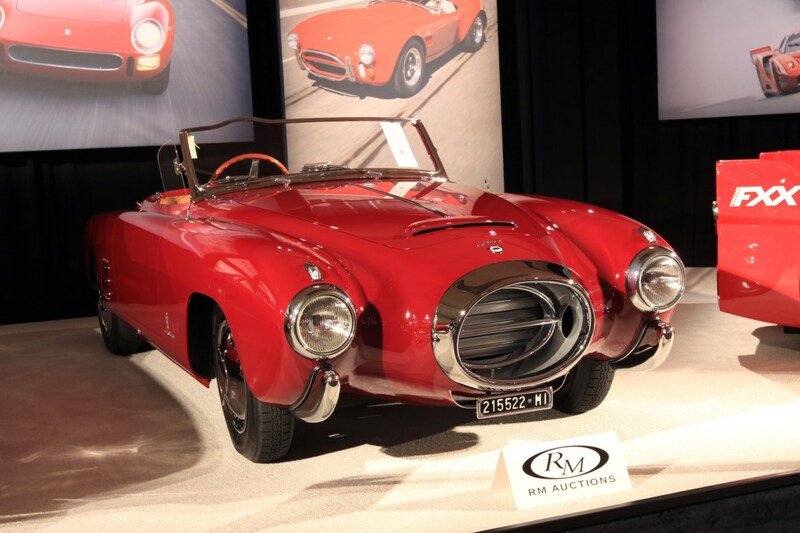 In 1953 Lancia introduced D24 sports racer, being an evolution of D23 model, bodied as spider by Pinin Farina. 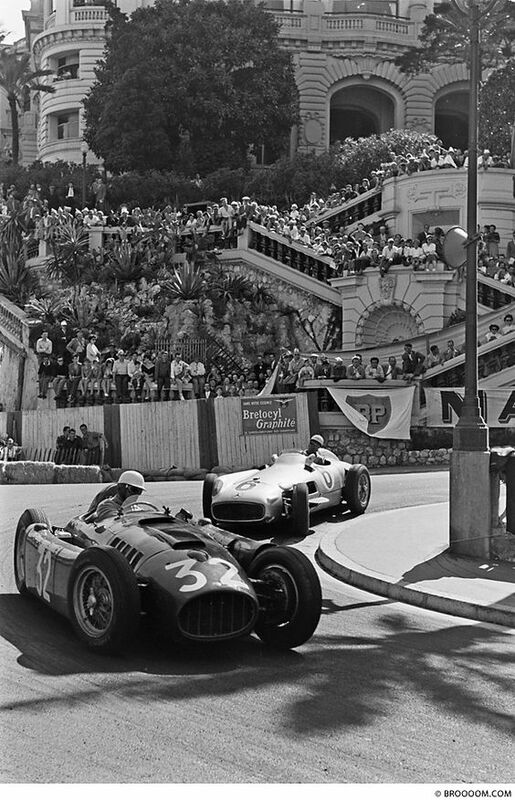 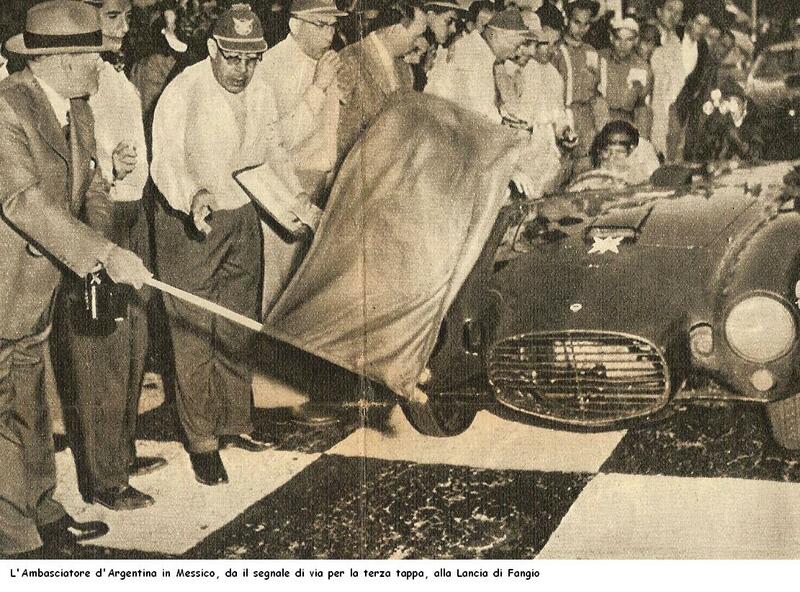 Most significant victories were: 1953 Carrera Panamericana, 1954 Mille Miglia and 1954 Targa Florio. 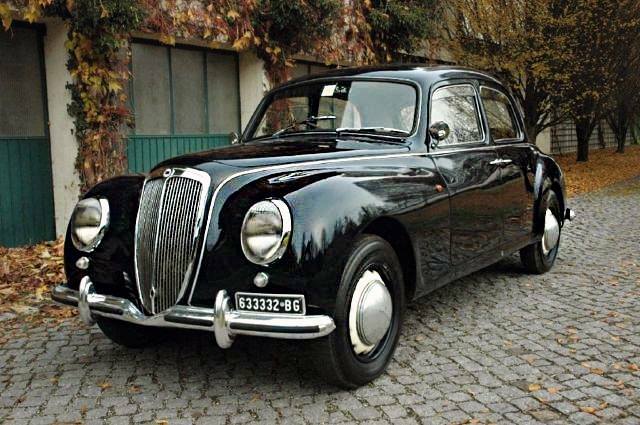 In 2009, the British motoring television show Top Gear suggested that Lancia had more ‘great’ models than any other car company. 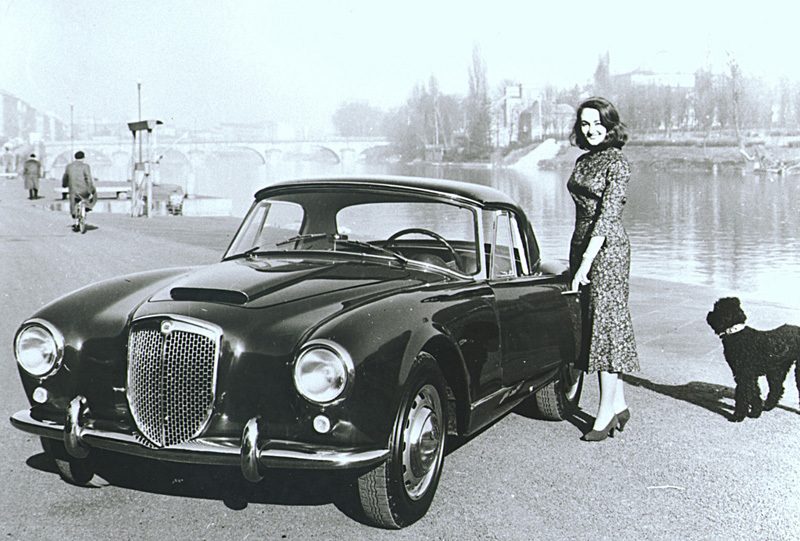 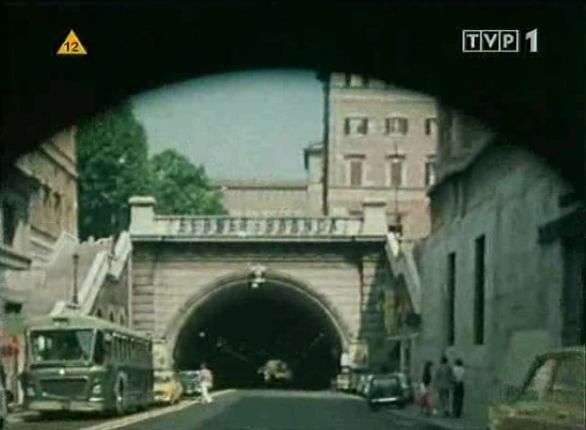 The presenters went on to test the Gamma Coupé, Fulvia Coupé, Aprilia, Montecarlo, Beta Coupé, HPE, Stratos, 037, Delta Integrale Evo II and Thema 8.32. 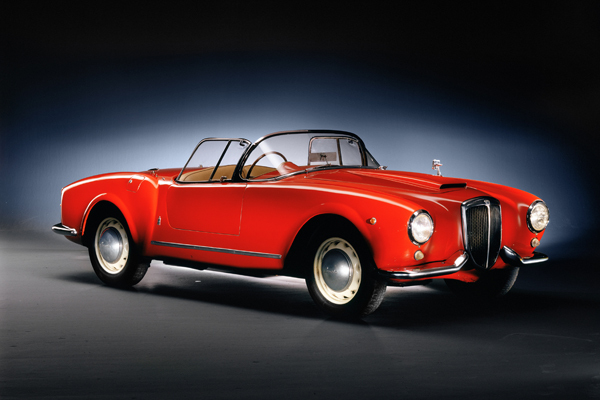 They also stated during their review that Lancia made the best looking cars, even though they are unreliable.